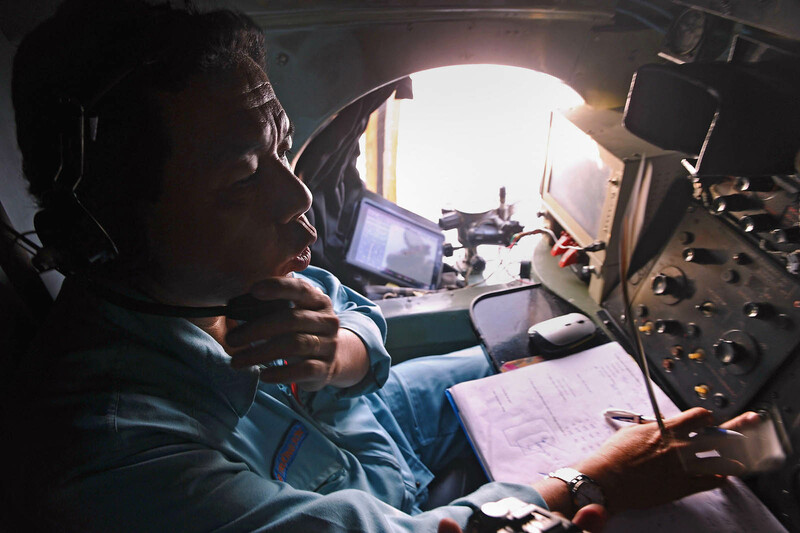 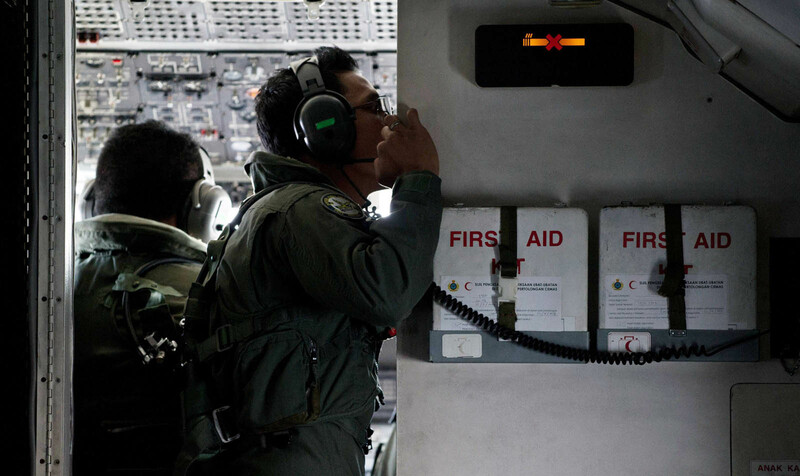 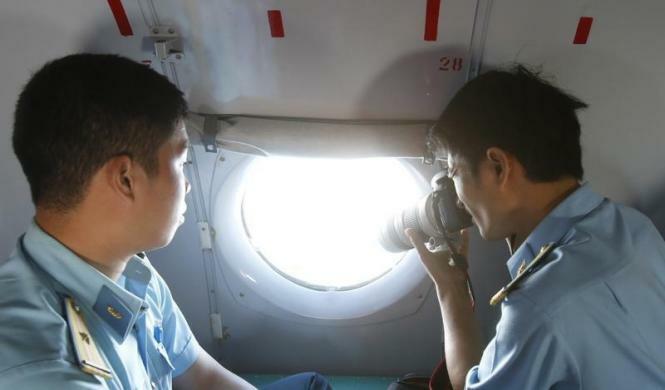 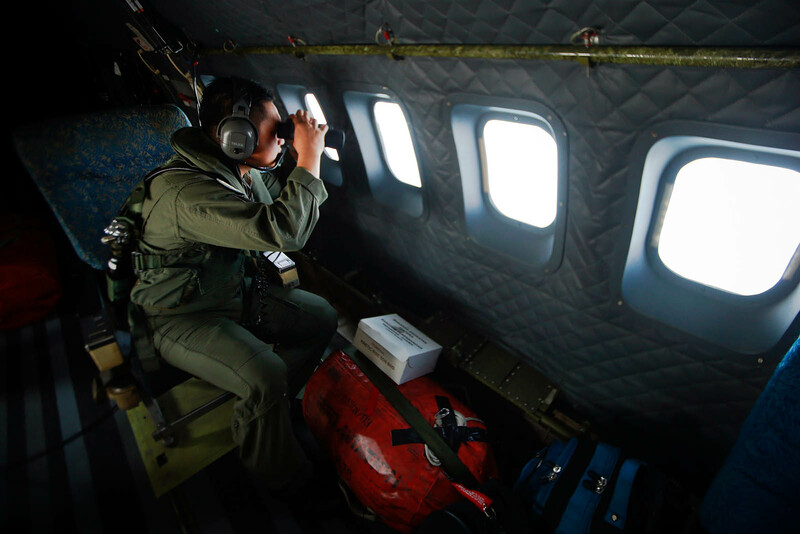 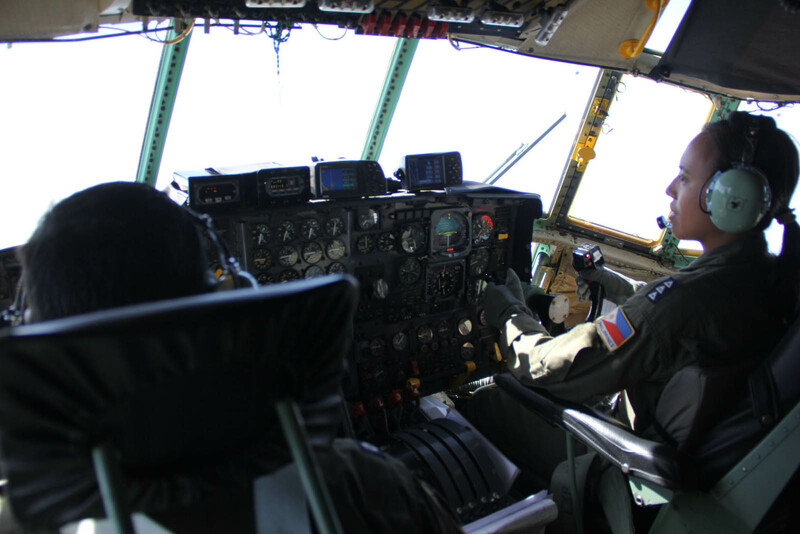 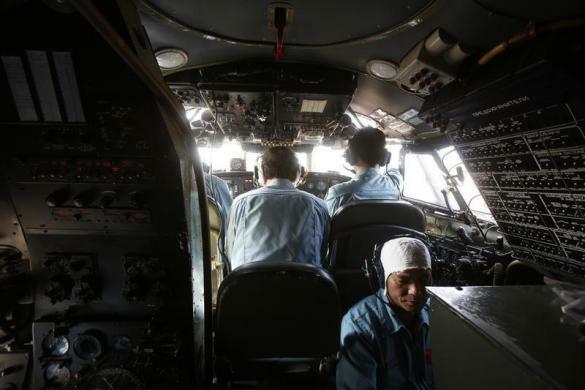 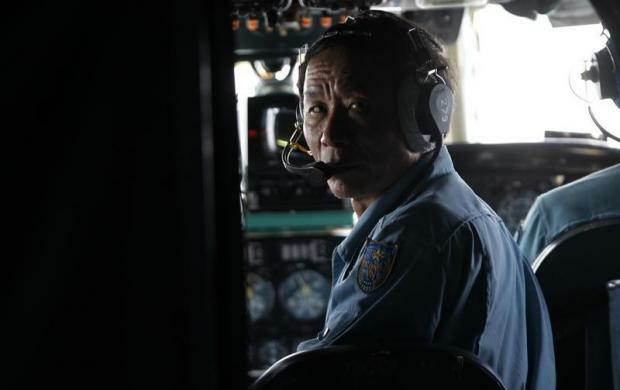 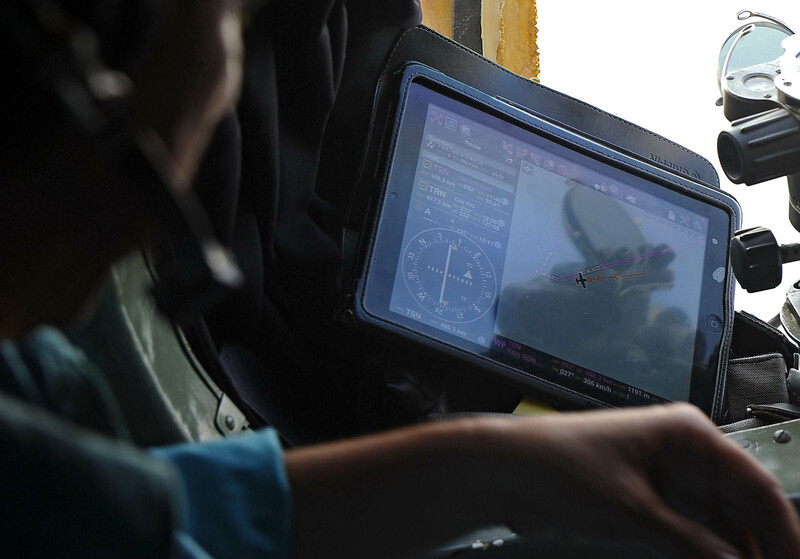 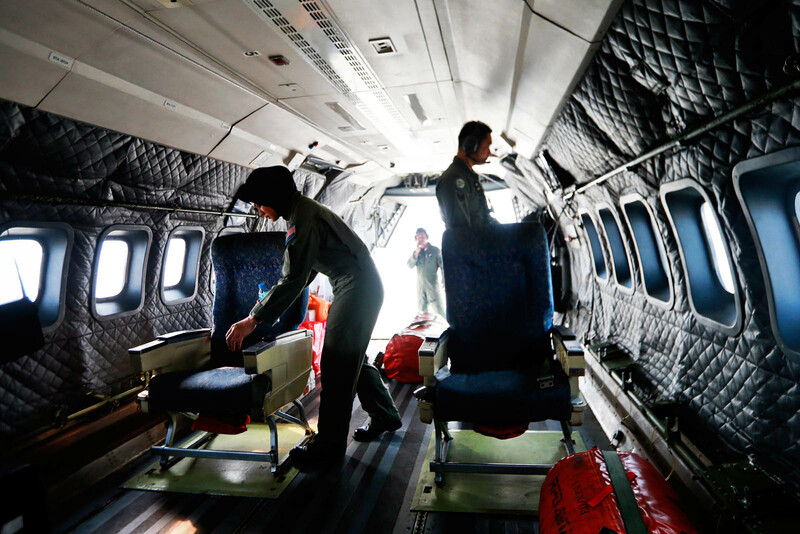 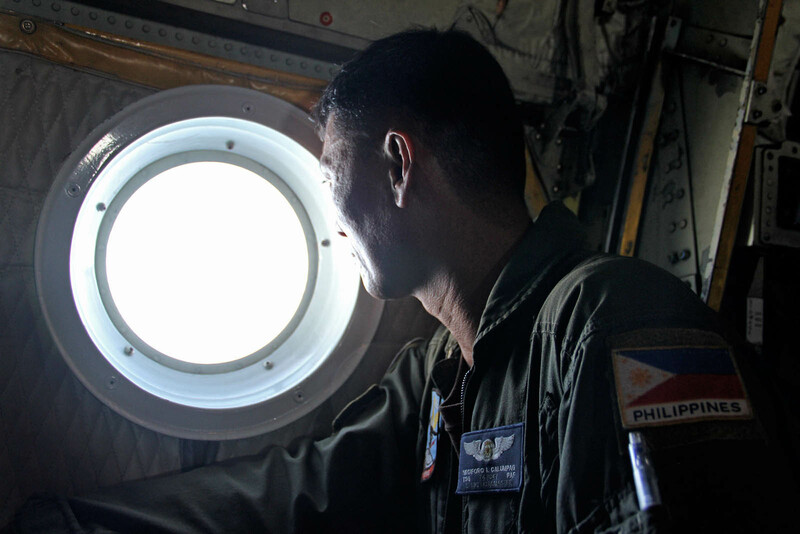 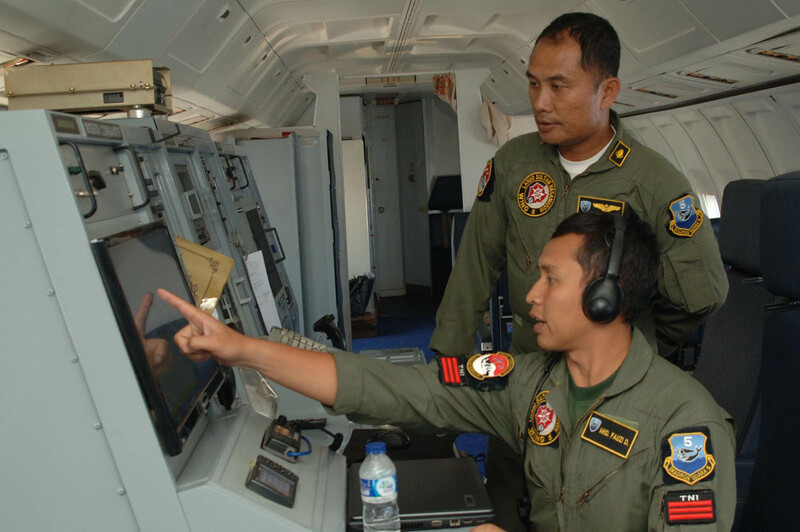 Military officer Pham Tuan Minh looks through a window of a Vietnam Air Force AN-26 aircraft during a mission to find the missing Malaysia Airlines flight MH370, off Con Dao island March 13, 2014. 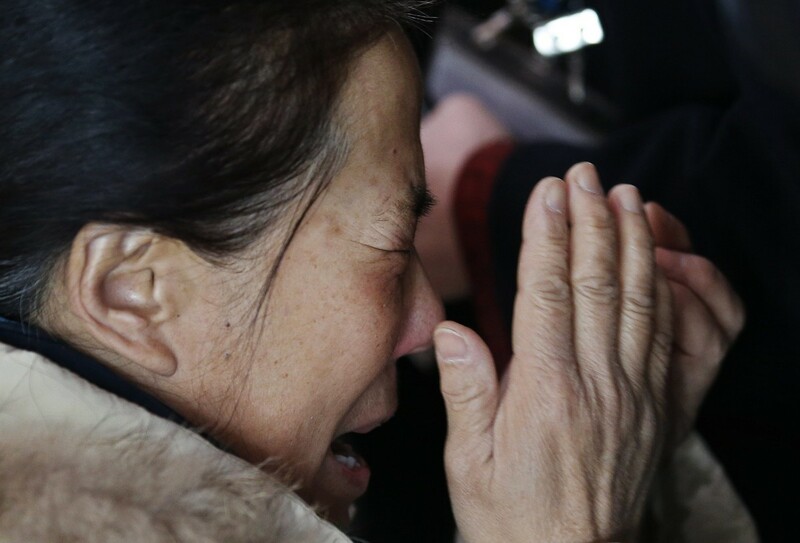 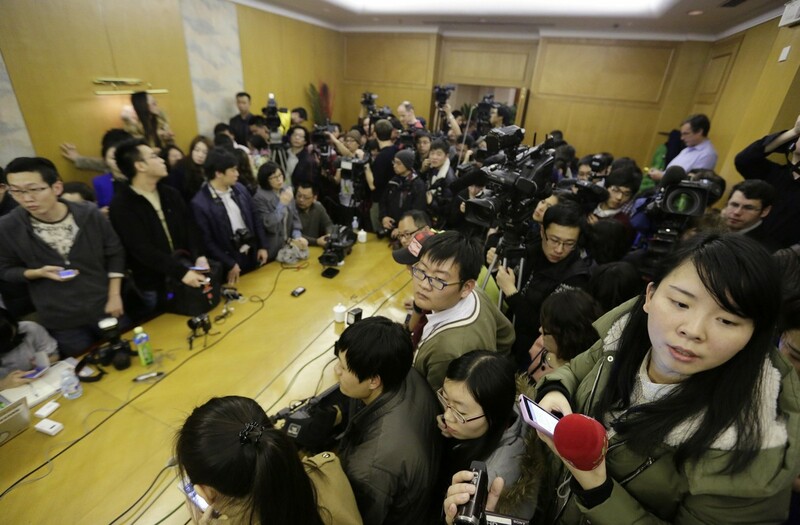 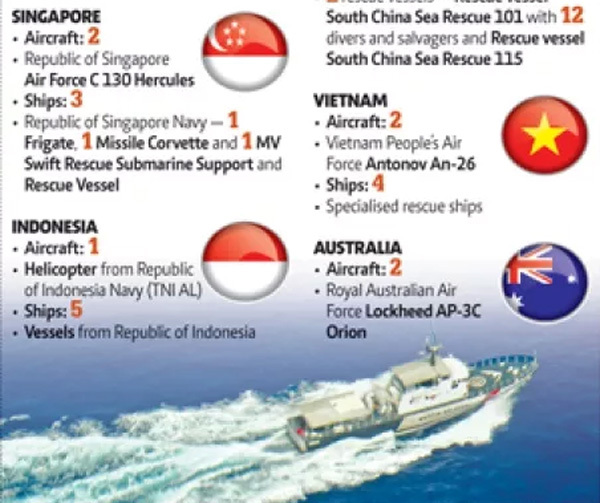 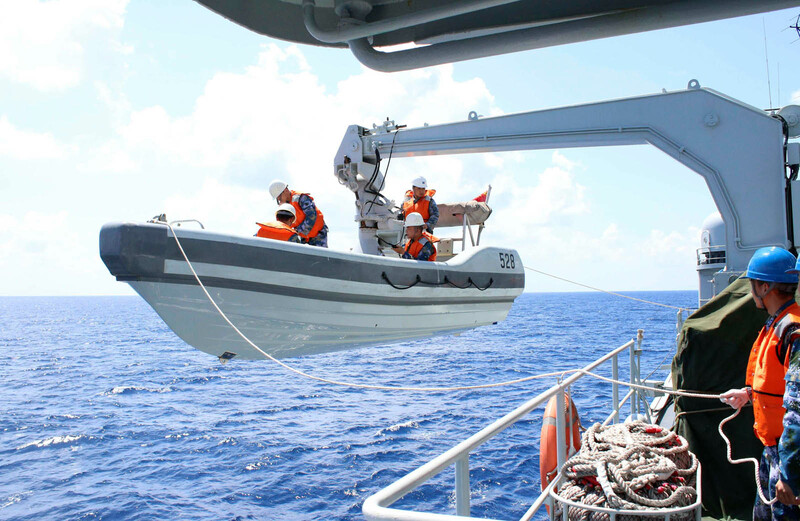 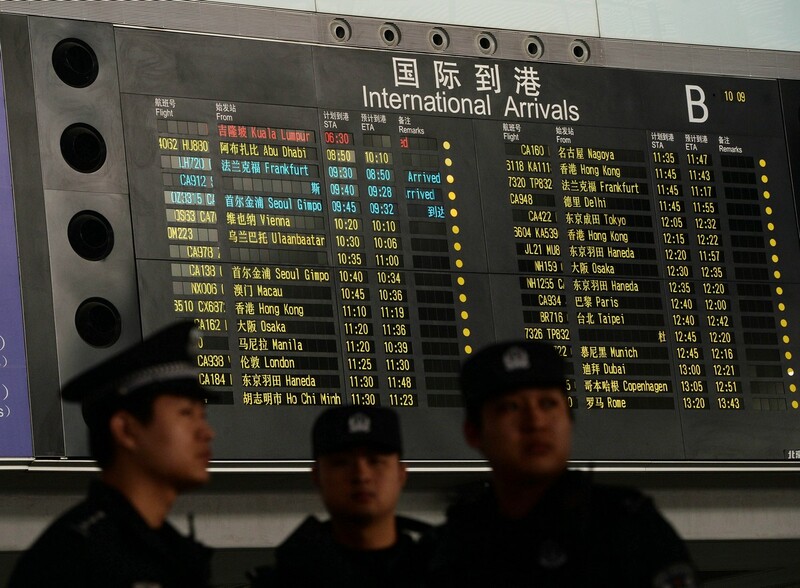 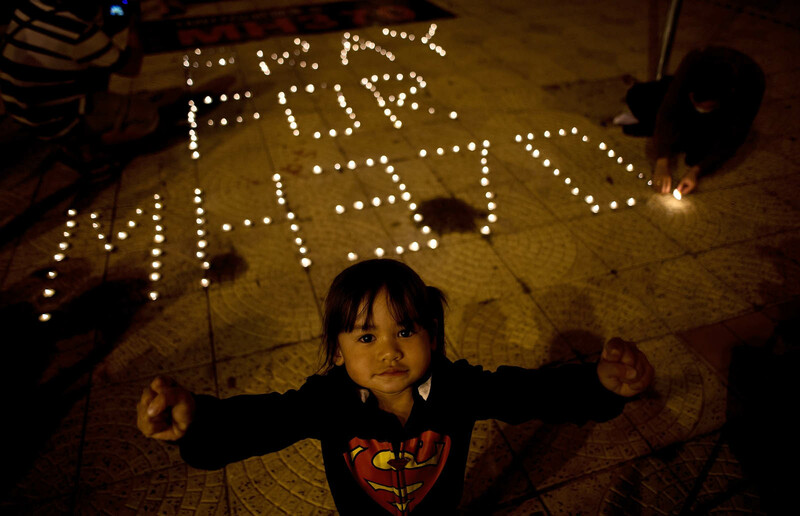 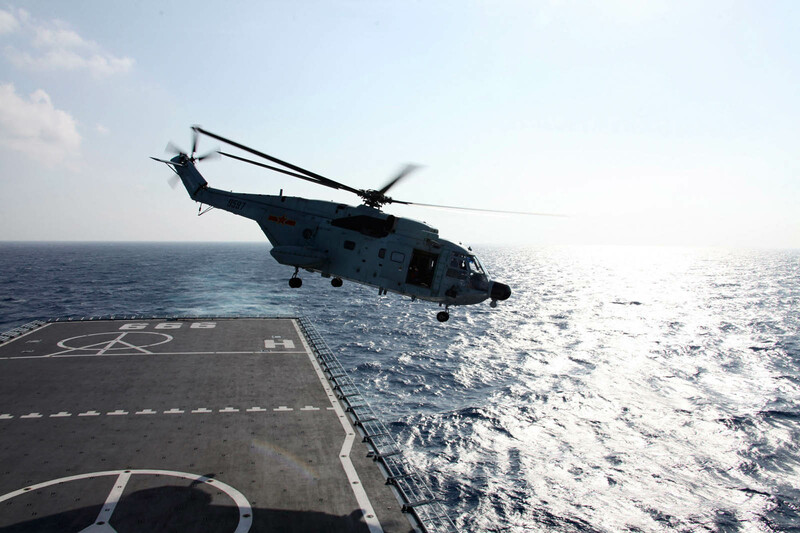 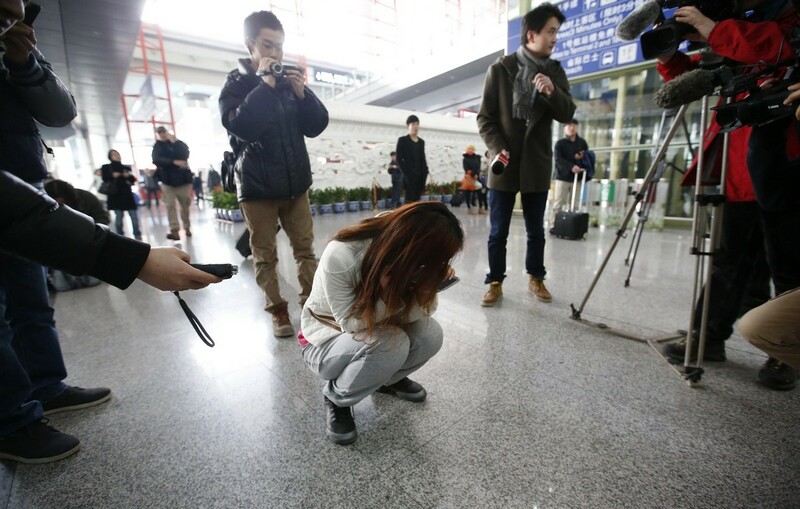 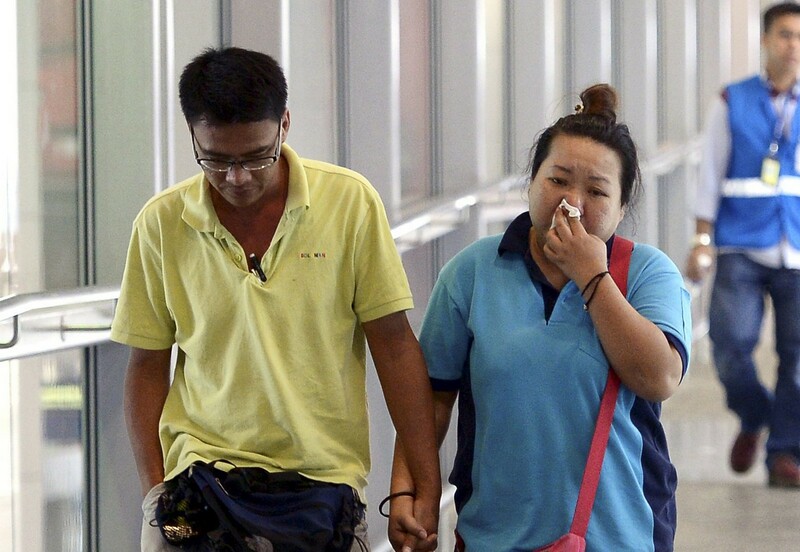 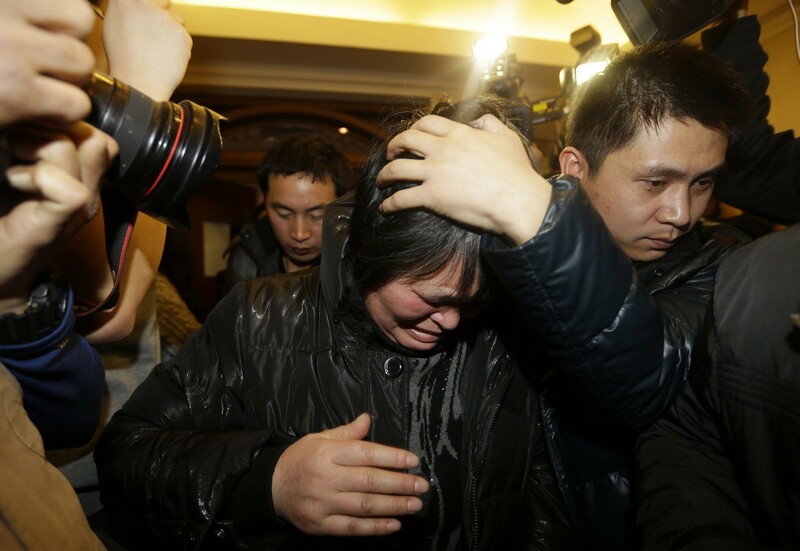 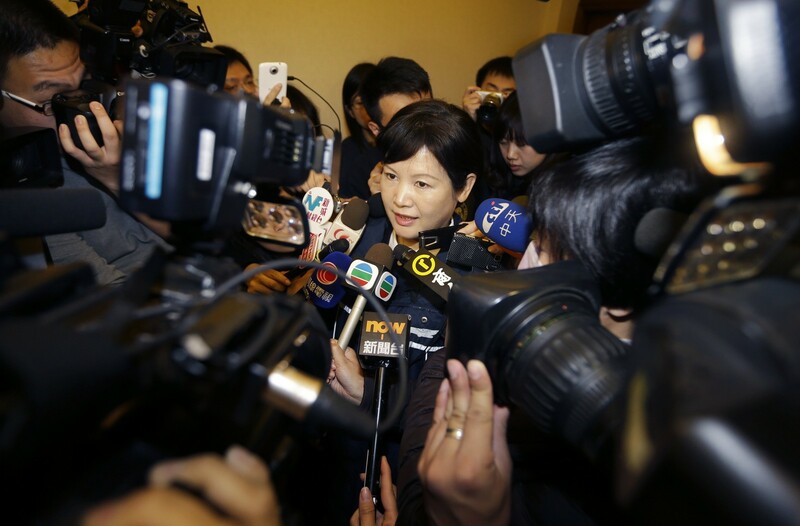 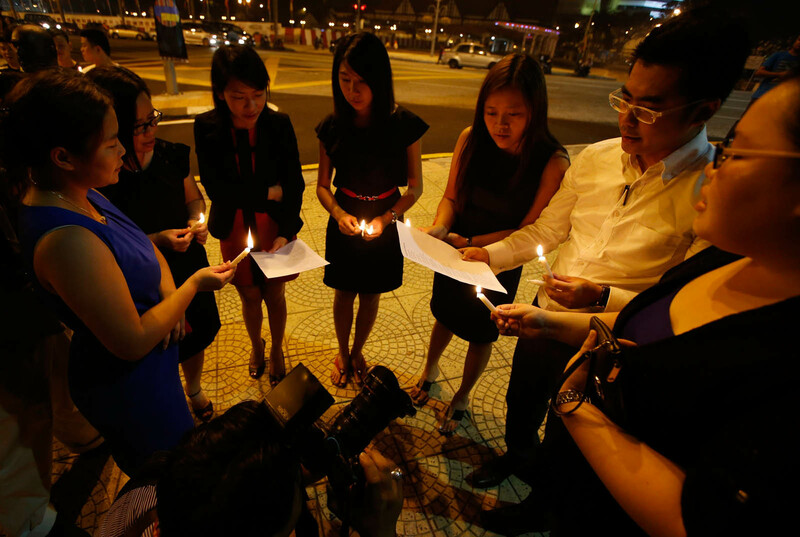 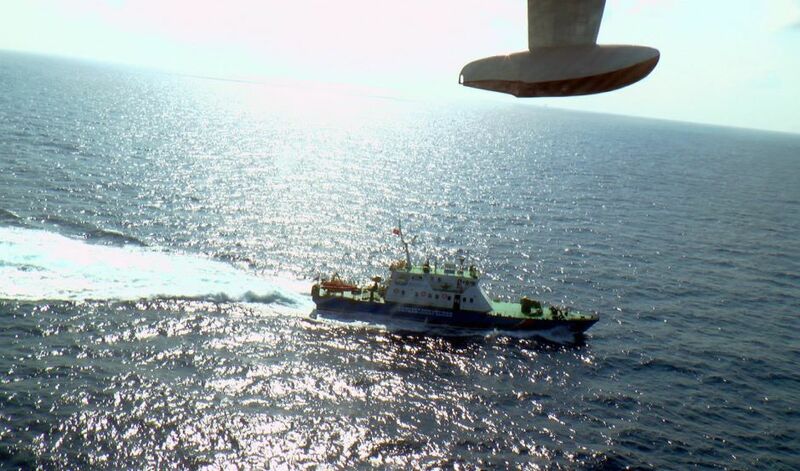 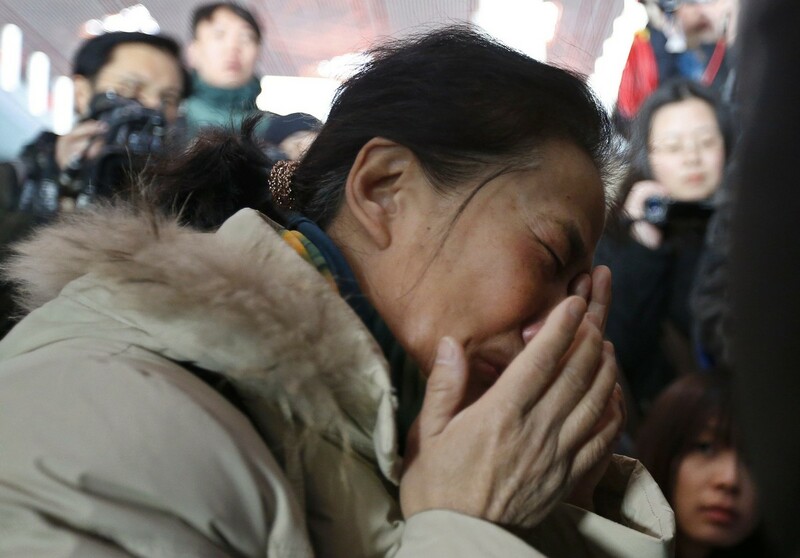 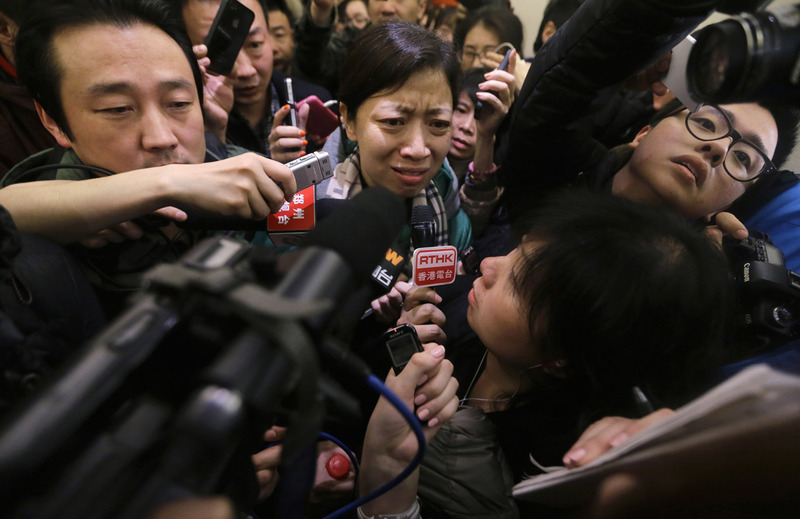 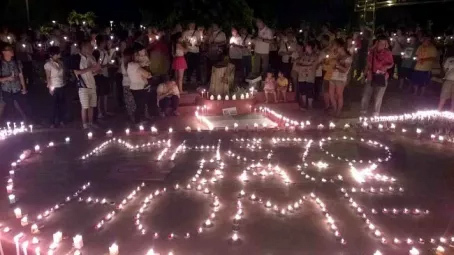 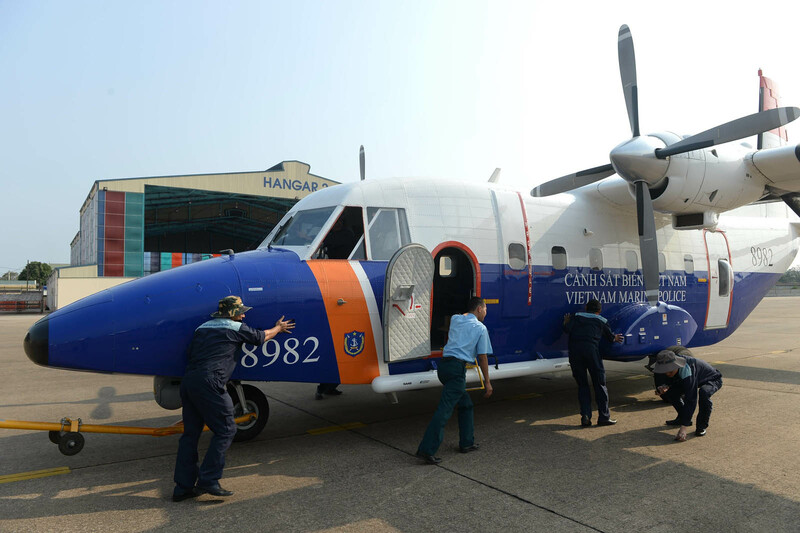 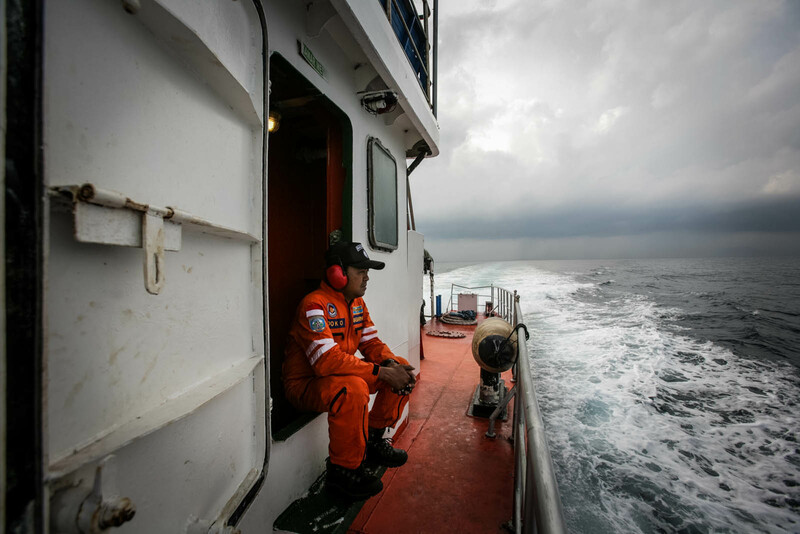 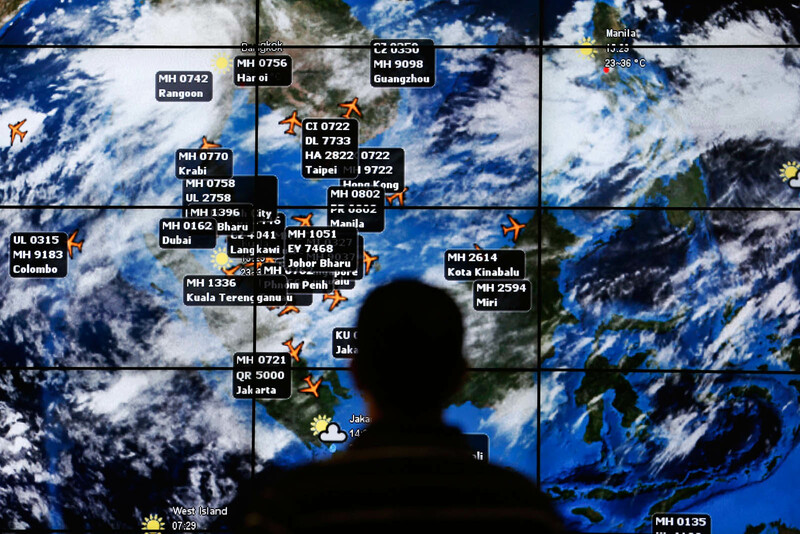 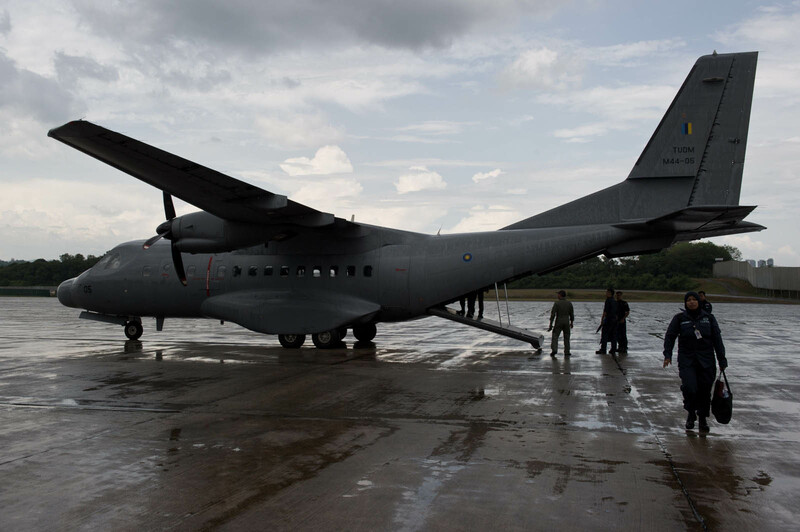 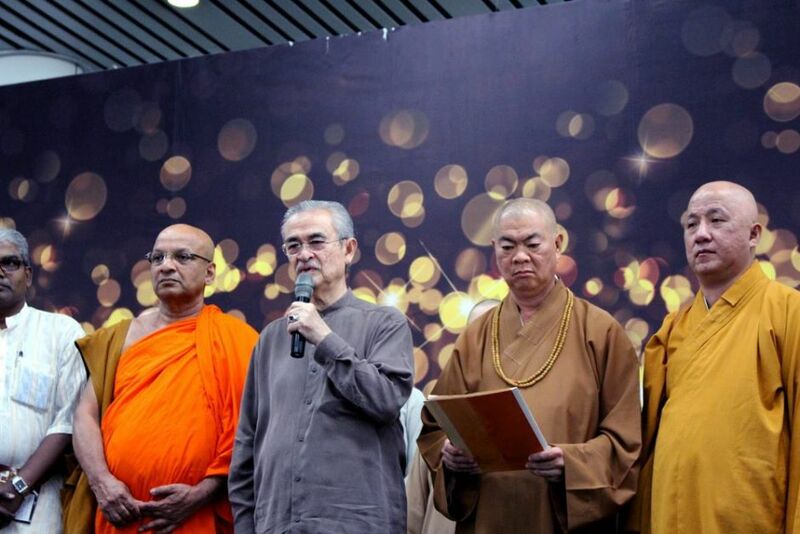 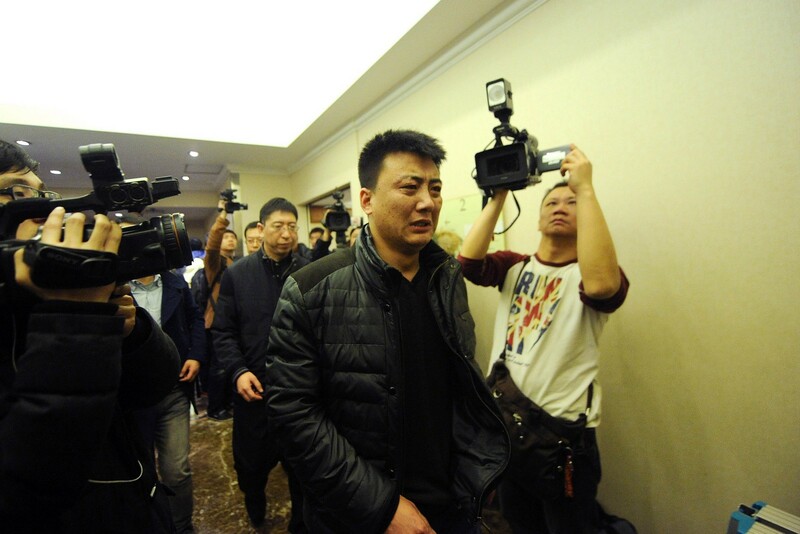 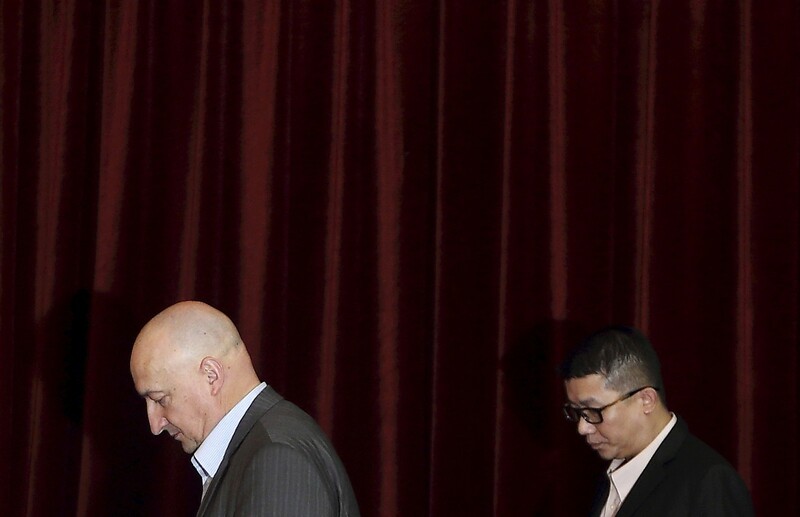 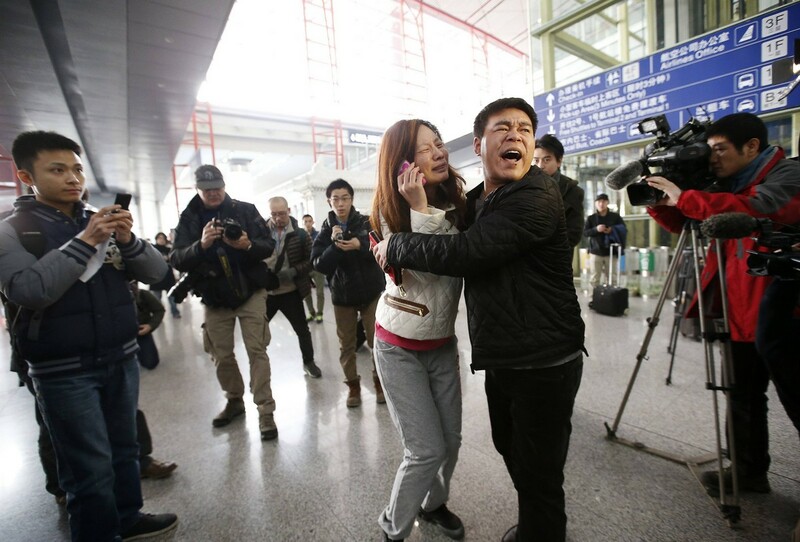 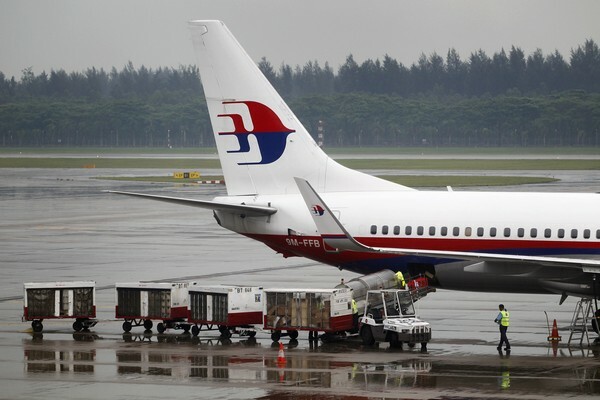 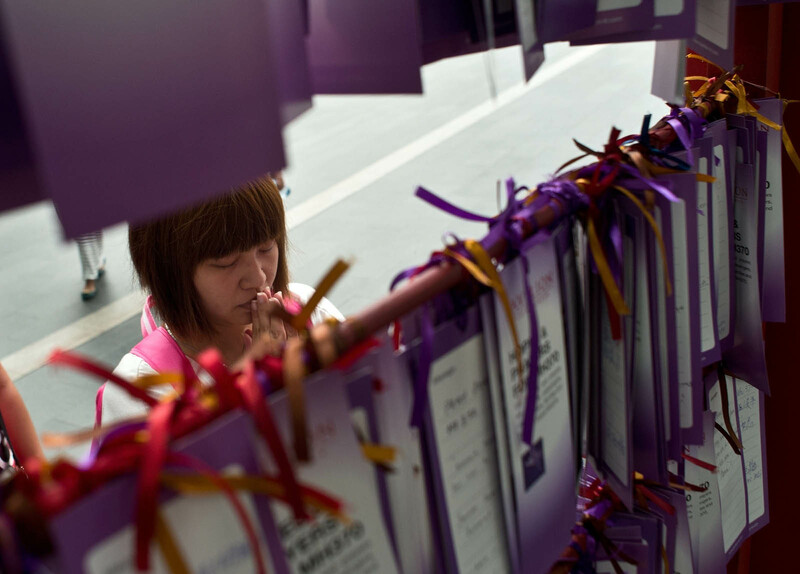 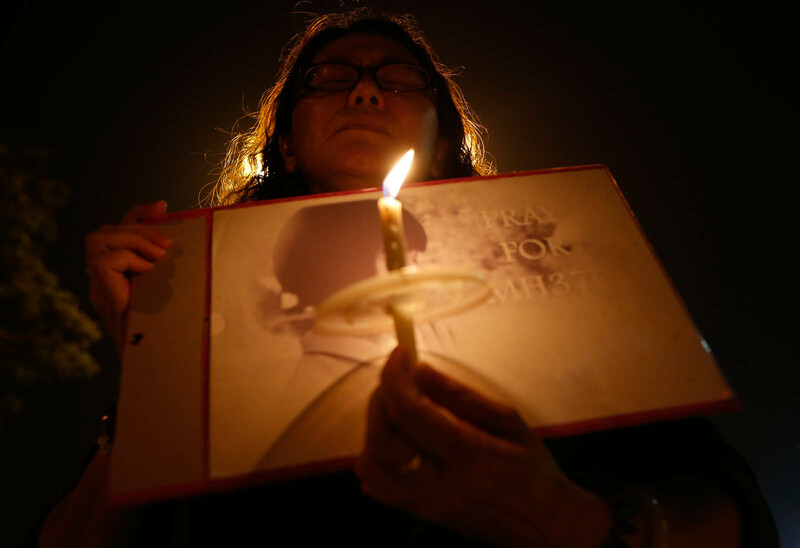 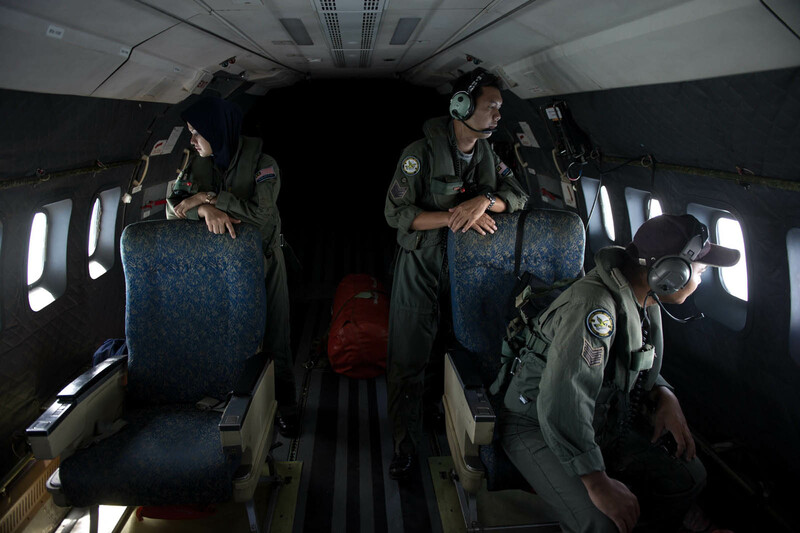 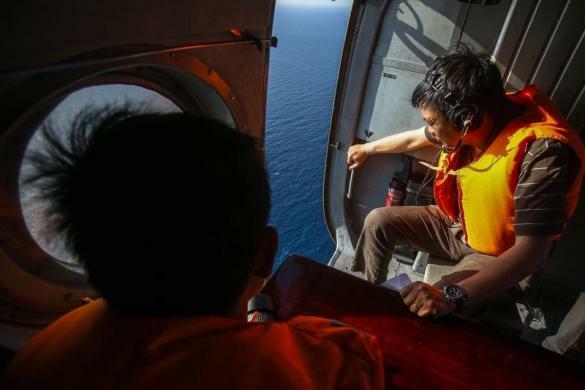 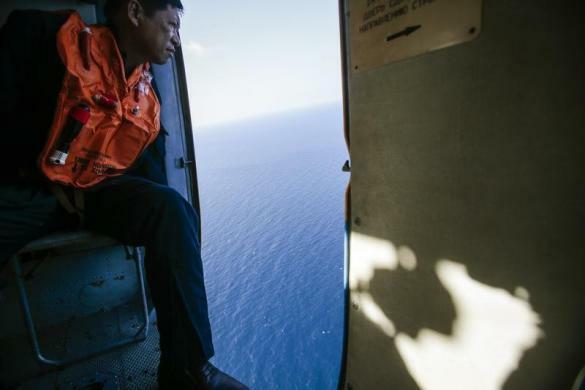 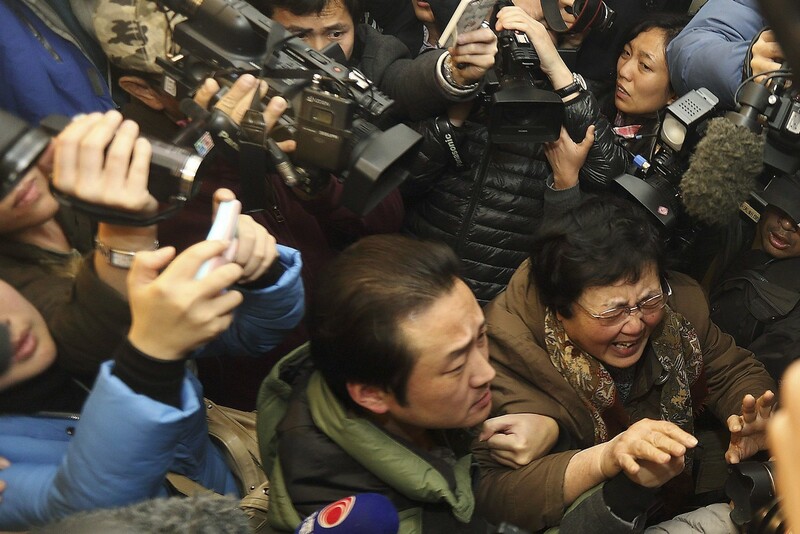 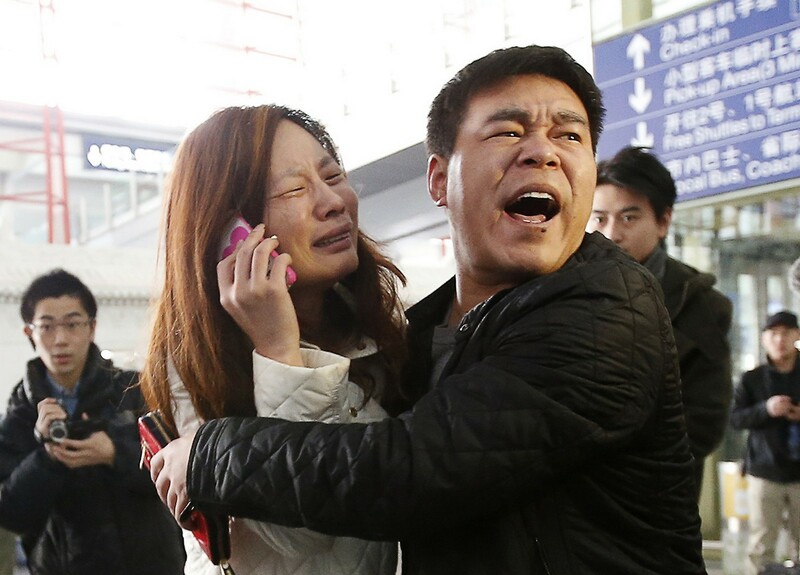 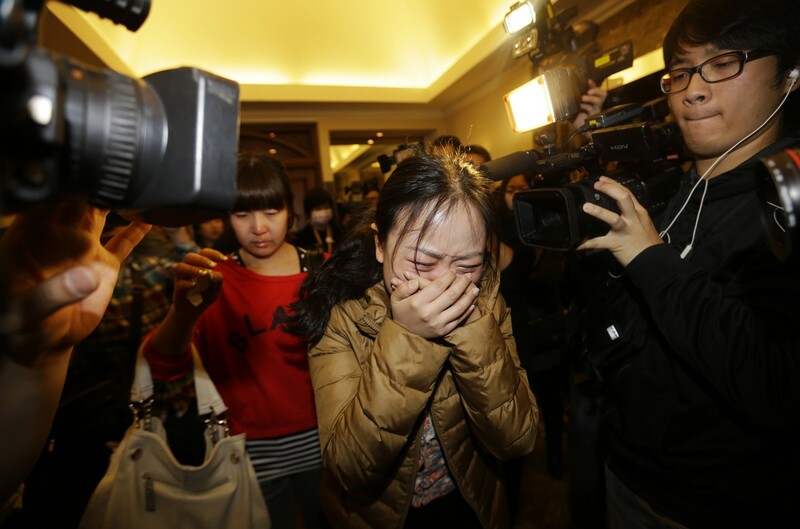 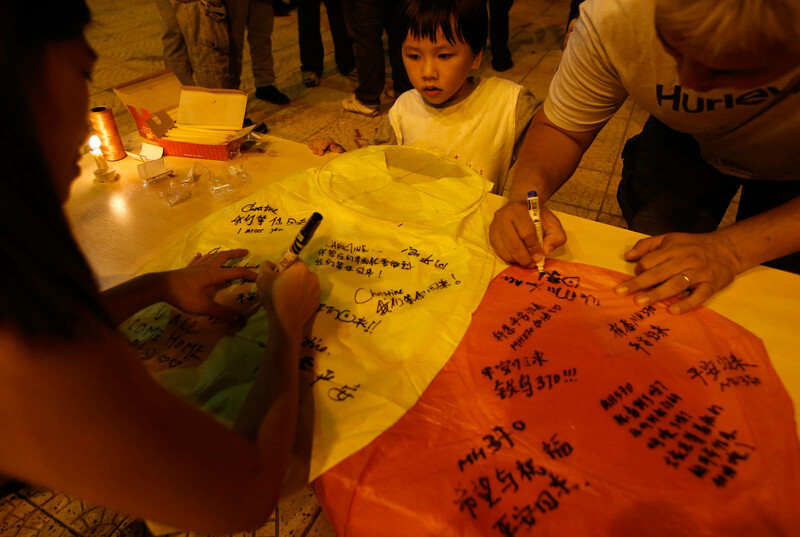 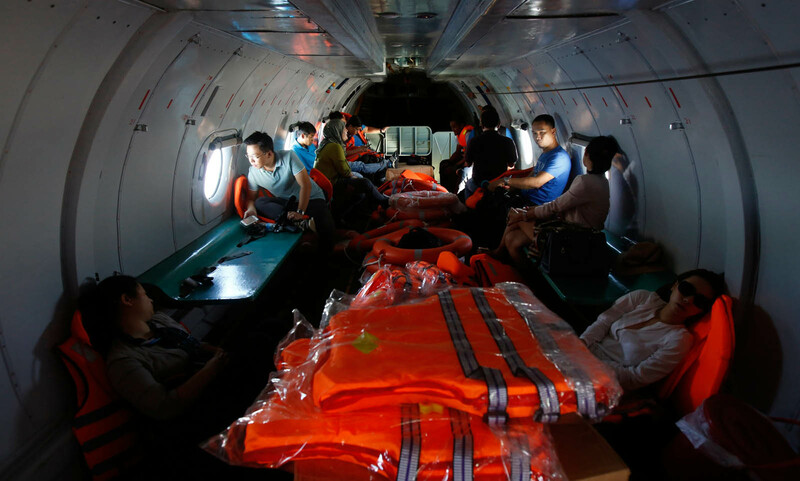 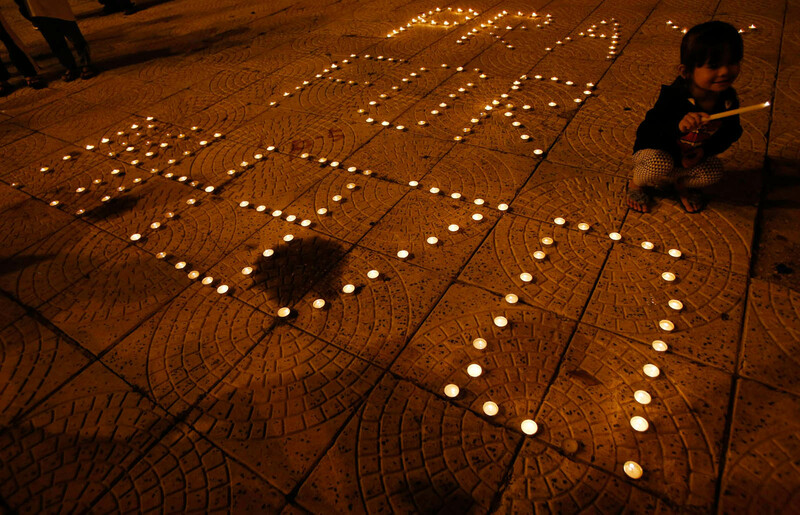 A search by two Vietnamese aircraft responding to information provided by a Chinese satellite has failed to locate objects suspected of being wreckage from the missing Malaysian airliner, a Reuters journalist on board a search plane said on Thursday. 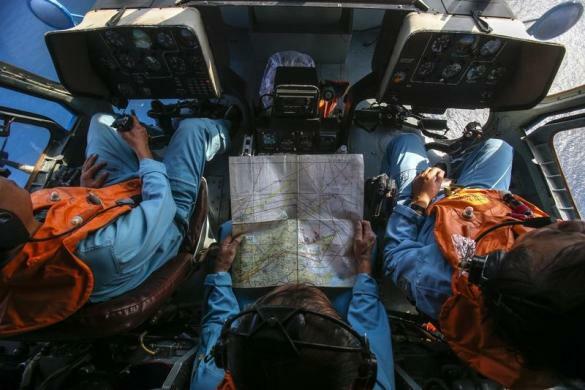 KUALA LUMPUR/PHU QUOC, Vietnam - Search planes found no sign on Thursday of a missing Malaysia Airlines aircraft in an area where satellite images had shown debris, taking the as-yet fruitless hunt into the sixth day. 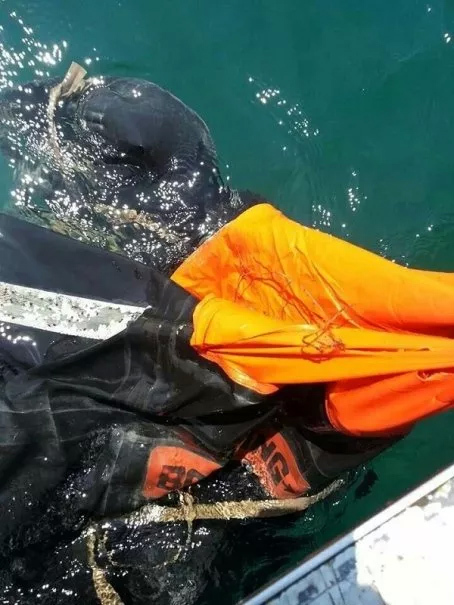 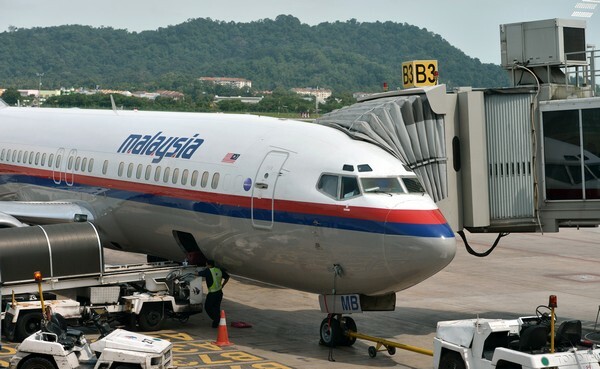 Adding to the deepening mystery surrounding the fate of the plane and 239 people on board, the Wall Street Journal reported on Thursday that US investigators suspect the aircraft flew for about four hours after reaching its last confirmed location under conditions that remain murky. 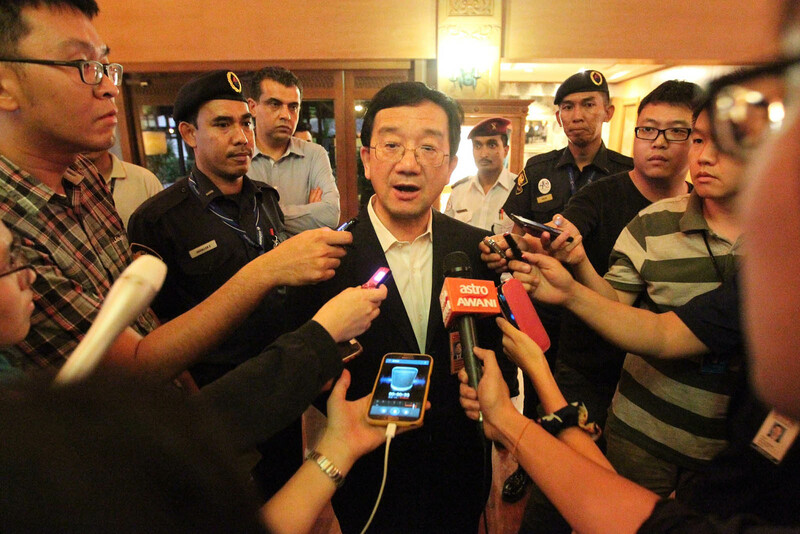 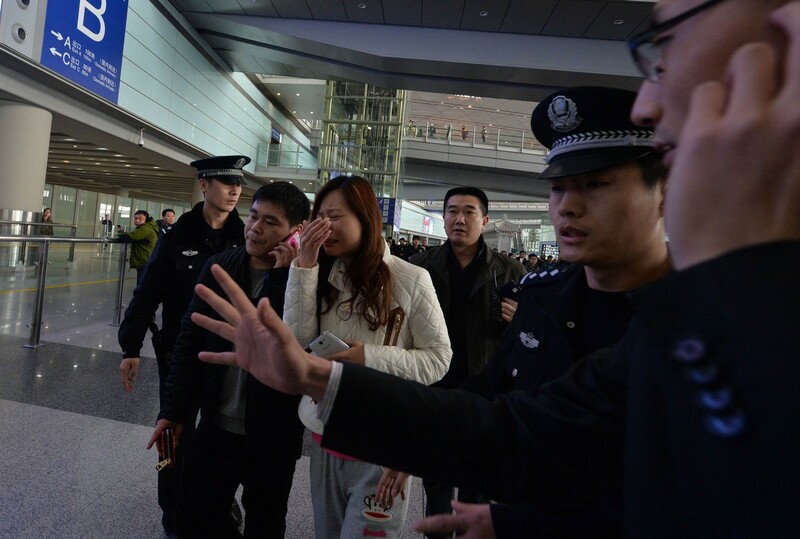 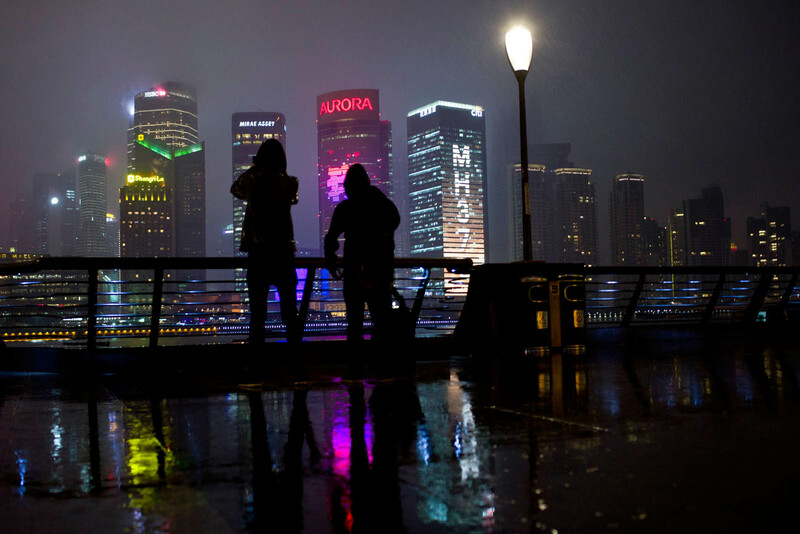 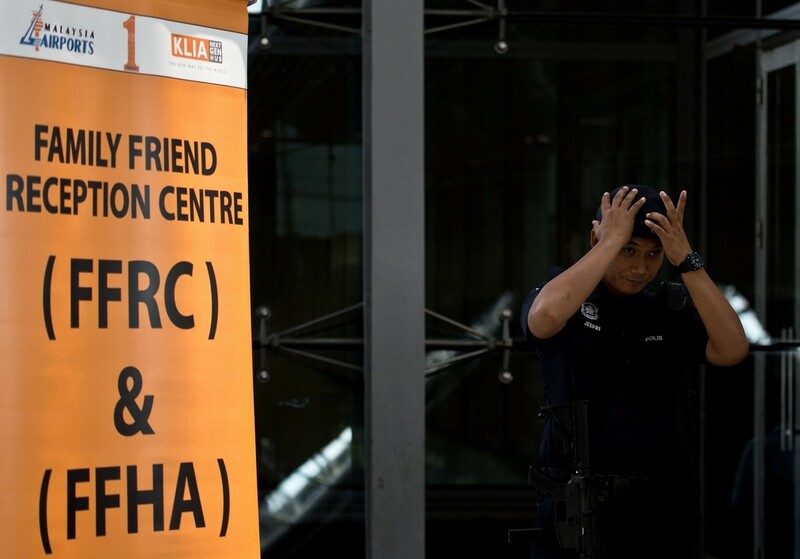 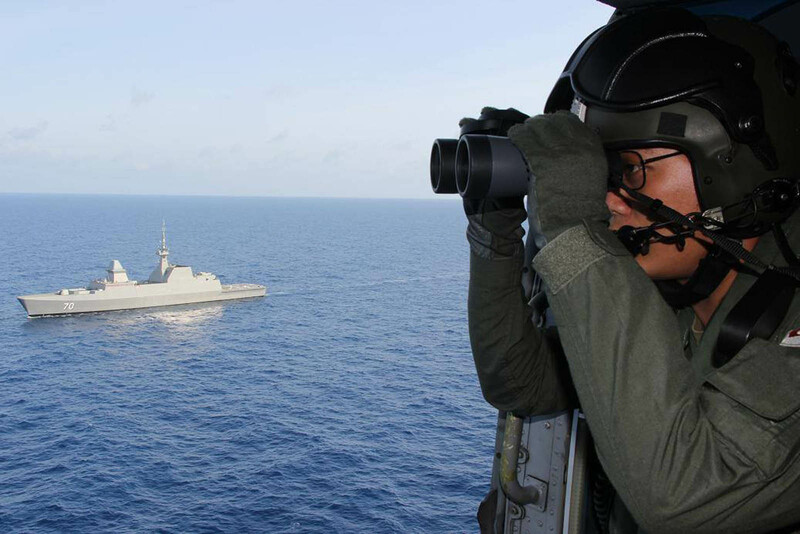 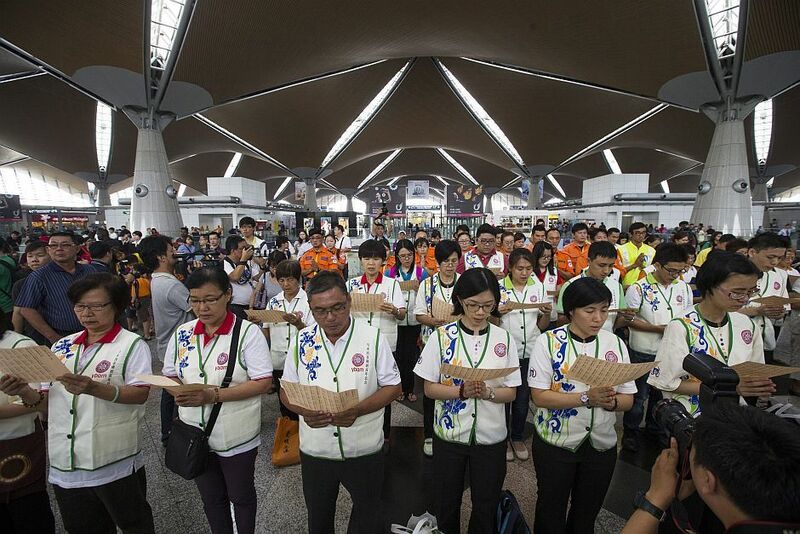 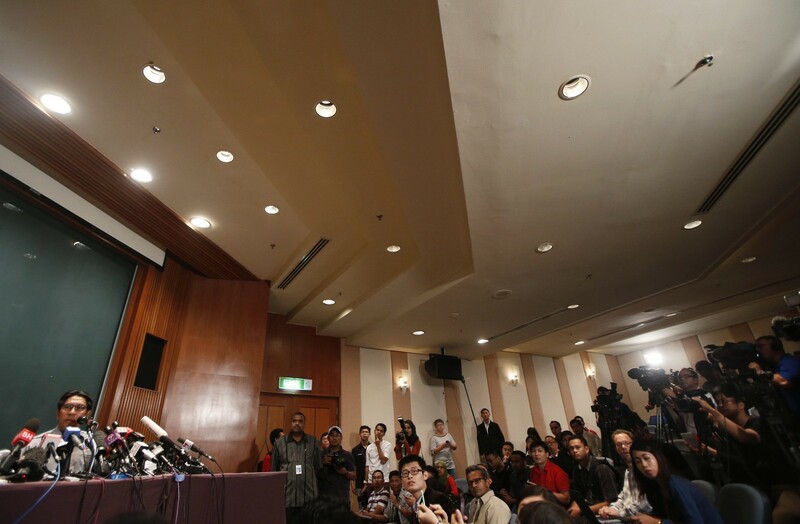 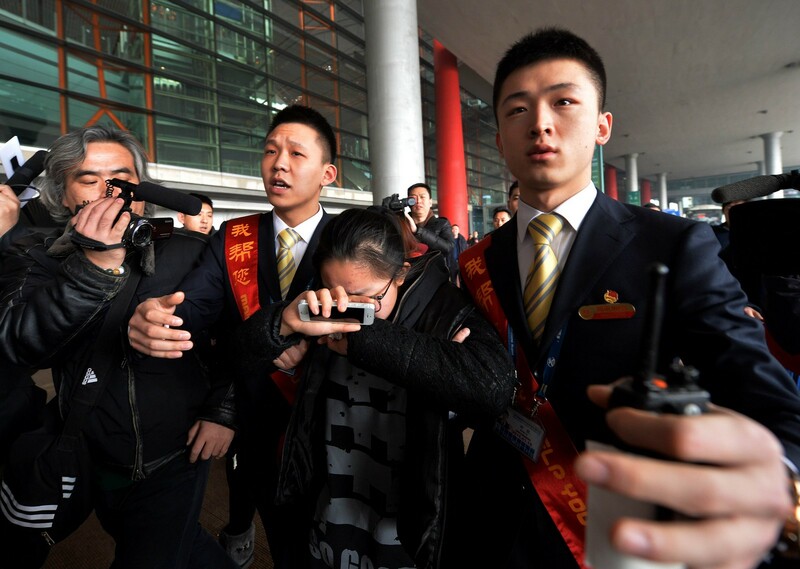 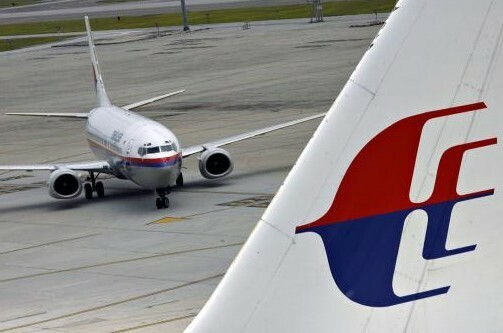 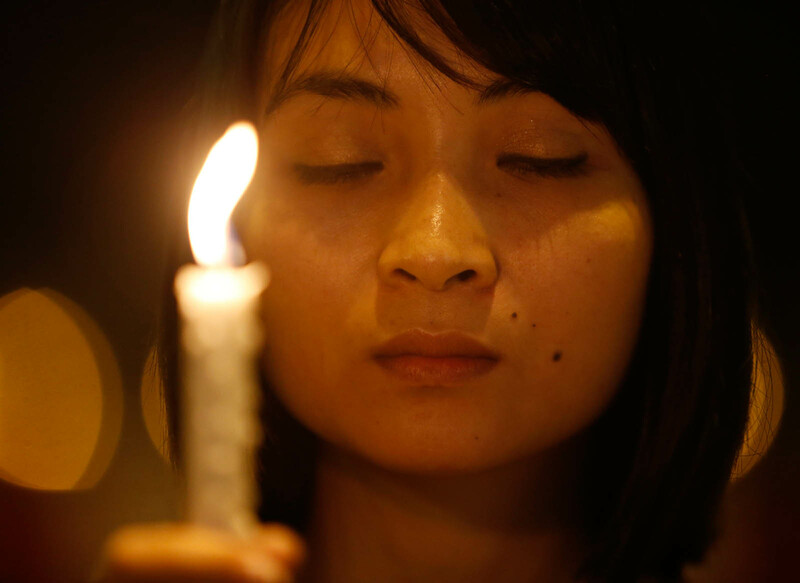 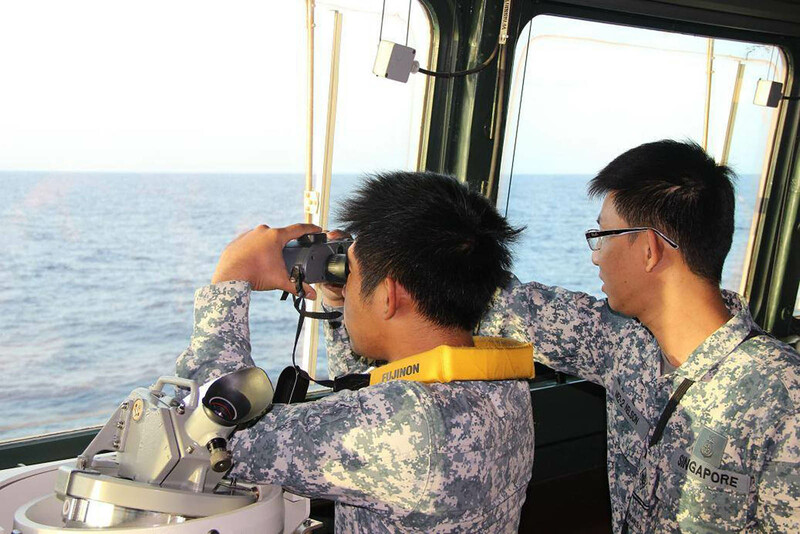 At the same time, China heaped pressure on Malaysia to improve its coordination over the search for the Boeing 777, which disappeared early on Saturday on a flight from Kuala Lumpur to Beijing. 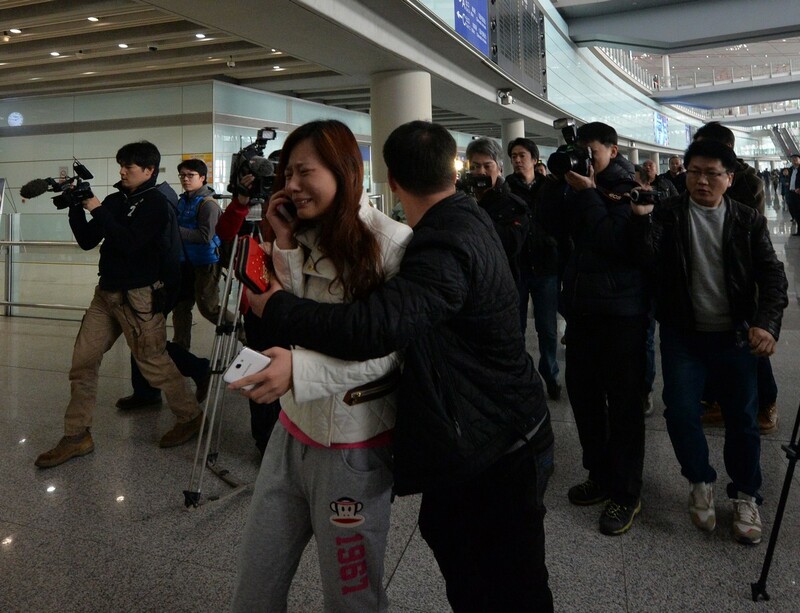 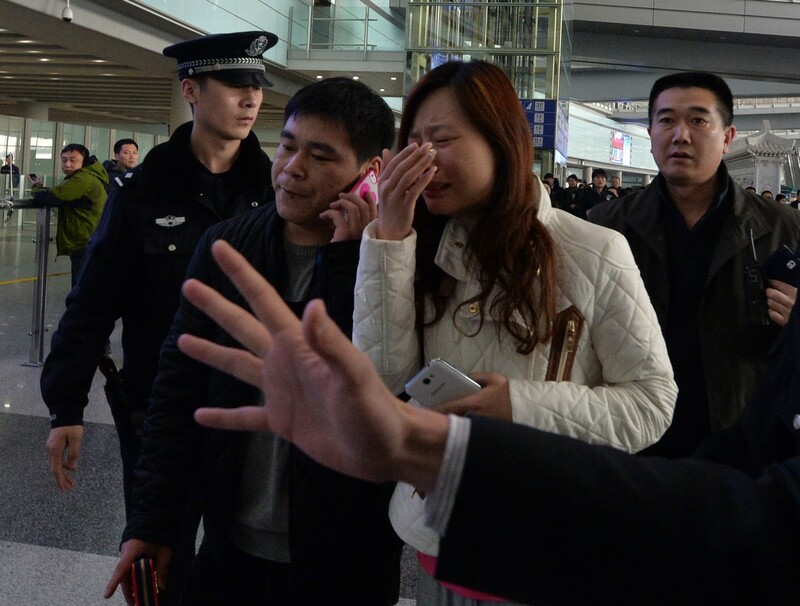 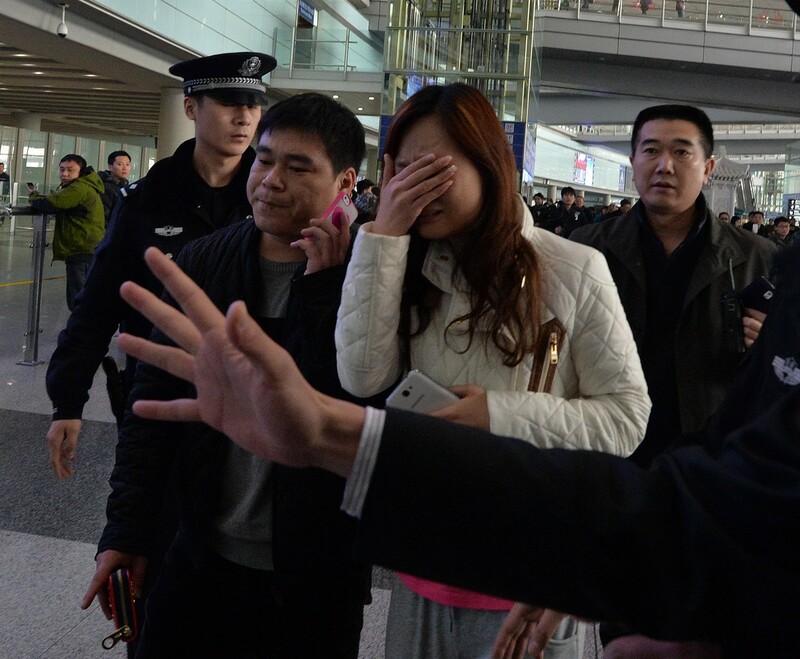 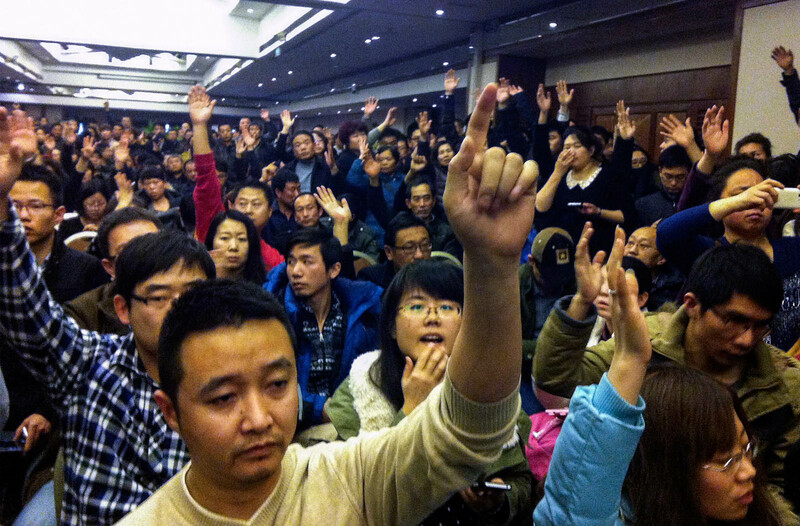 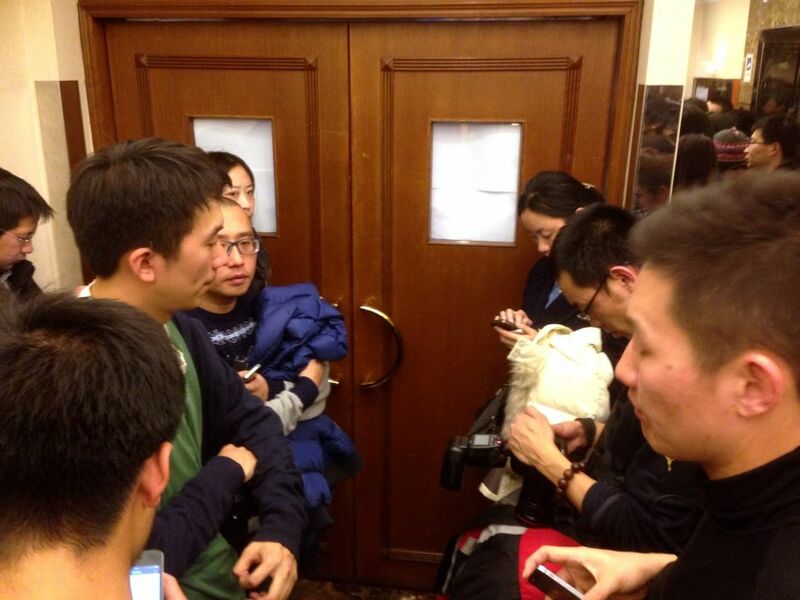 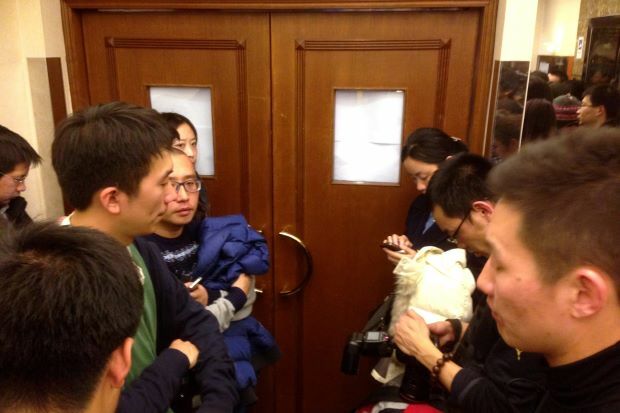 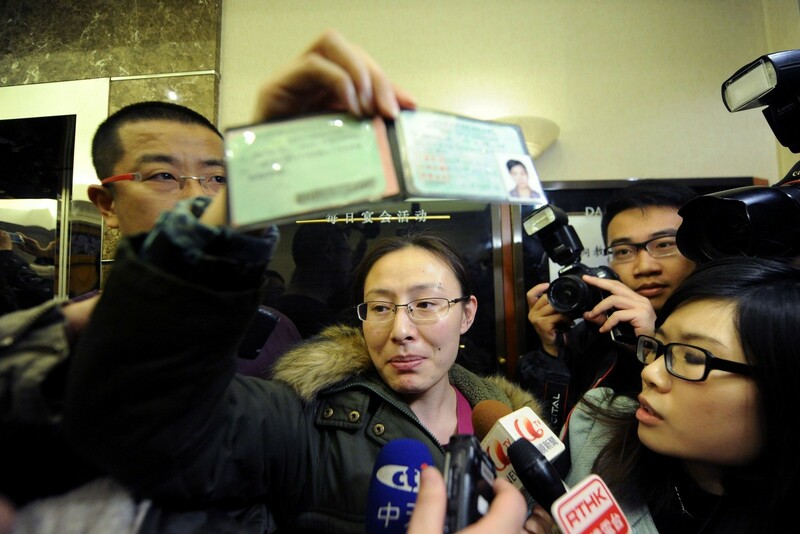 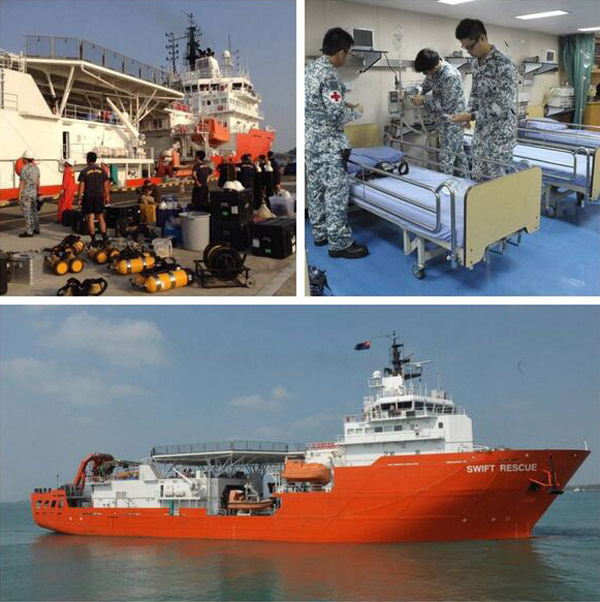 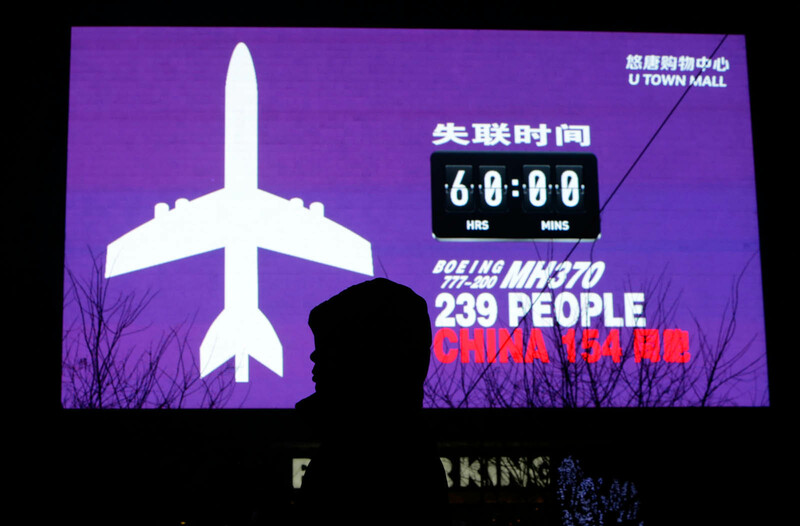 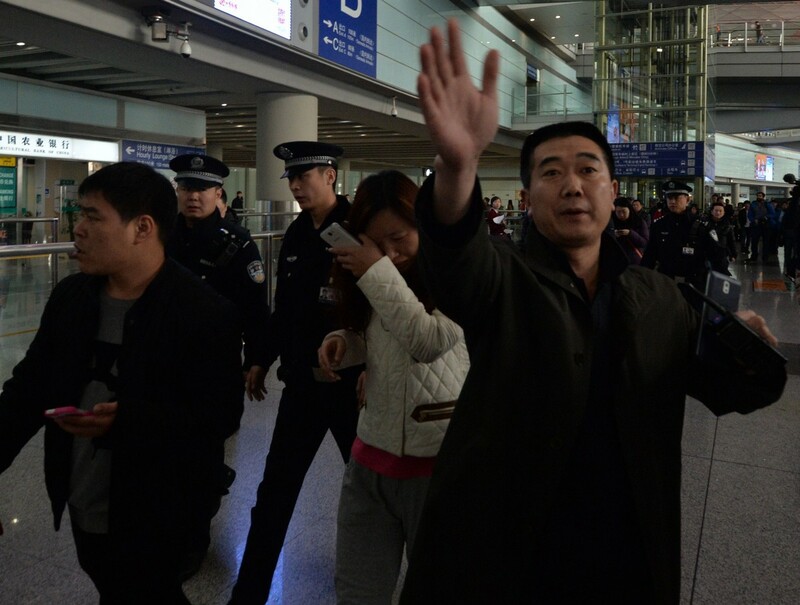 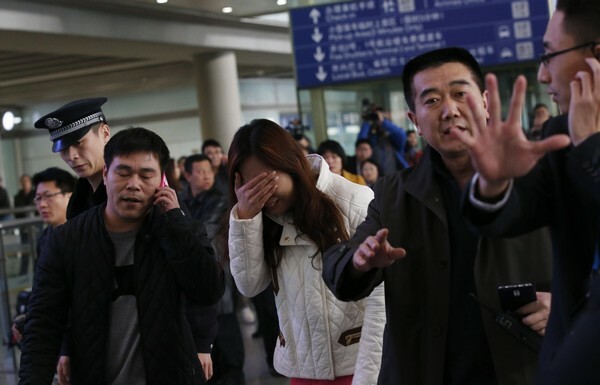 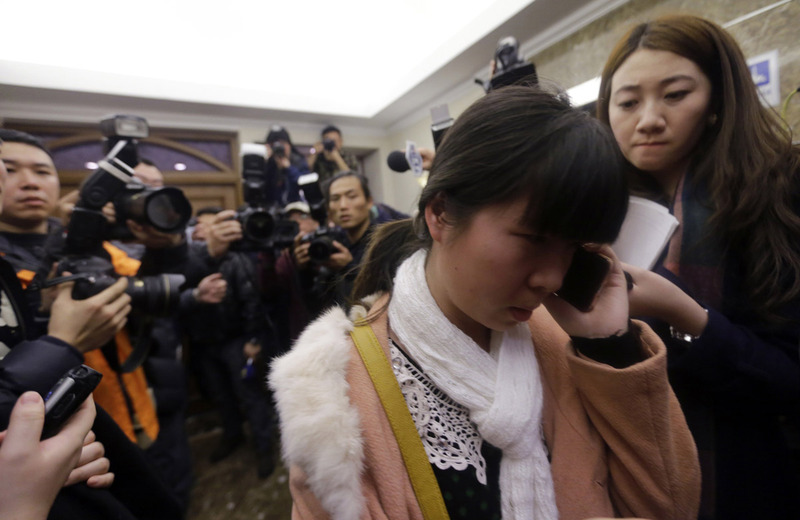 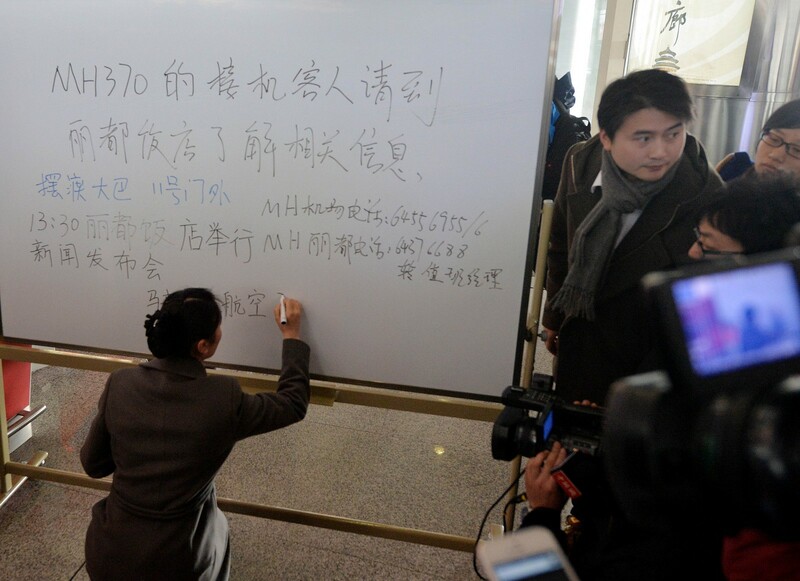 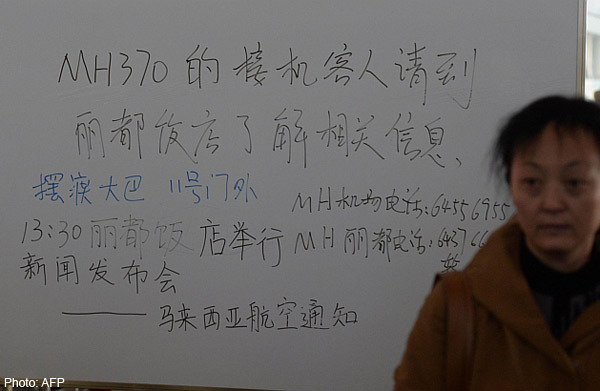 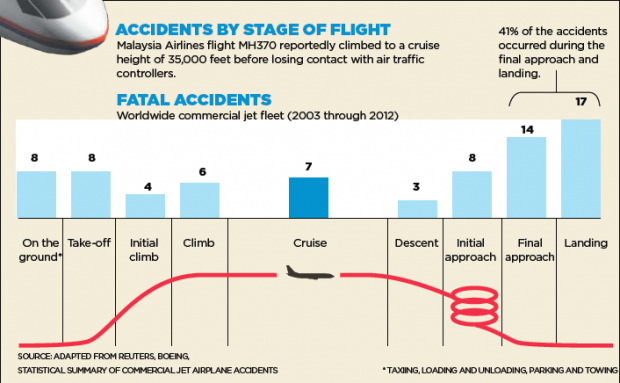 Of the 239 people on board, up to 154 were Chinese. 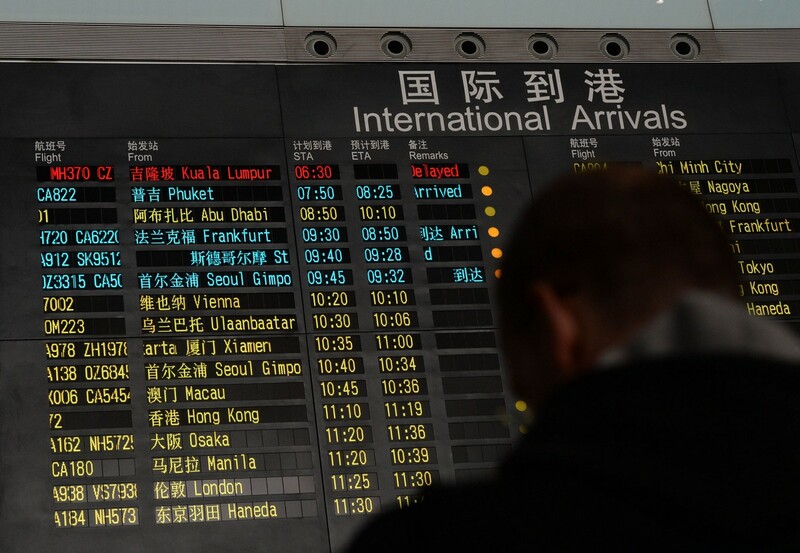 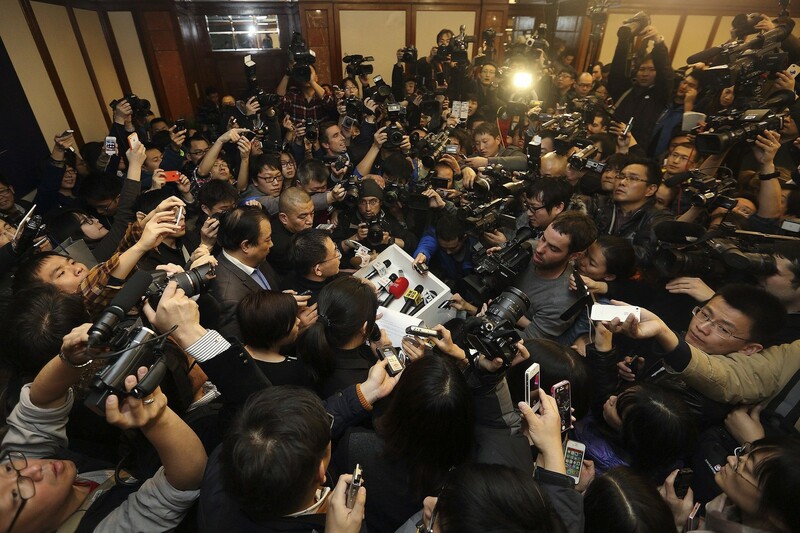 Premier Li Keqiang, speaking at a news conference in Beijing, demanded that the "relevant party" step up coordination while China's civil aviation chief said he wanted a "smoother"flow of information from Malaysia, which has come under heavy criticism for its handling of the disaster. 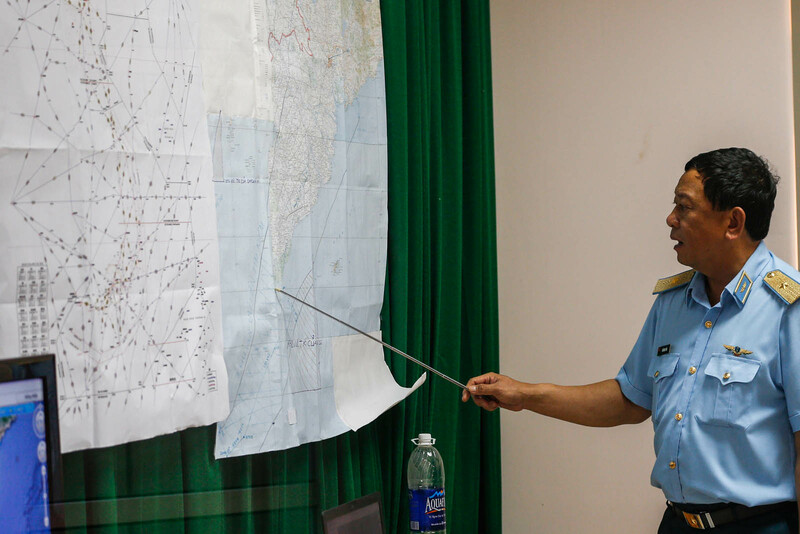 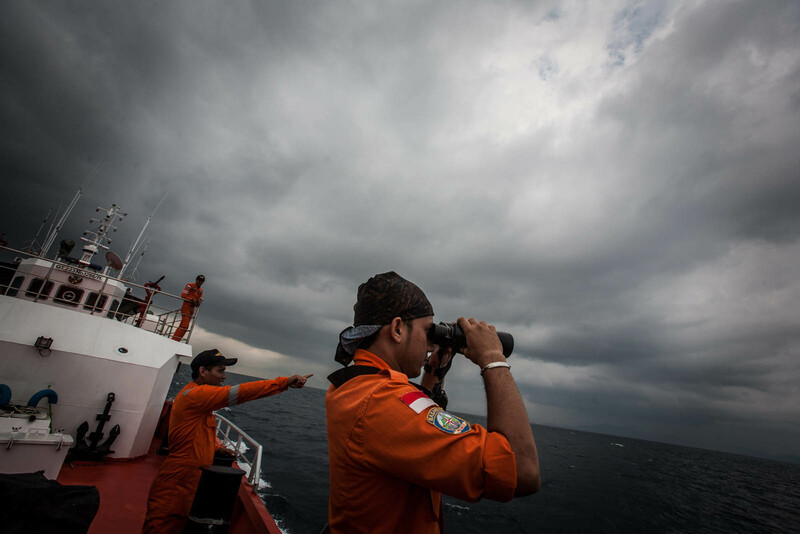 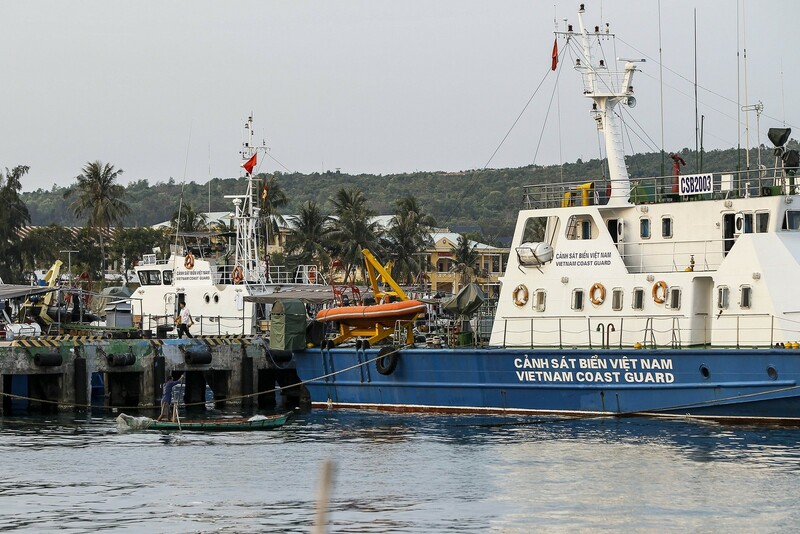 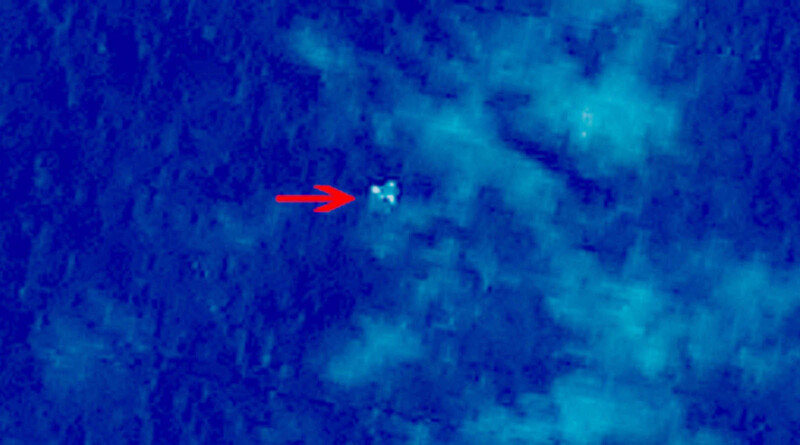 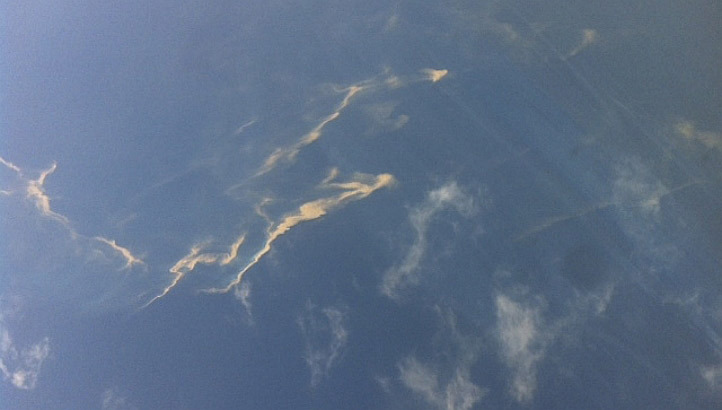 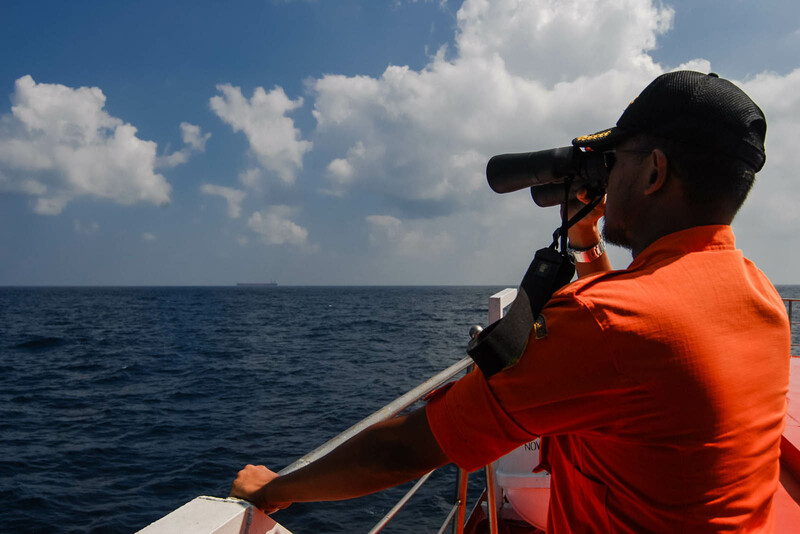 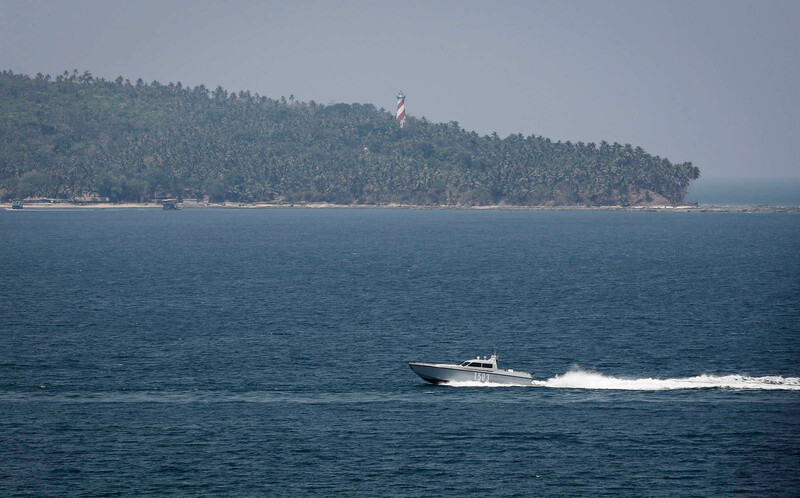 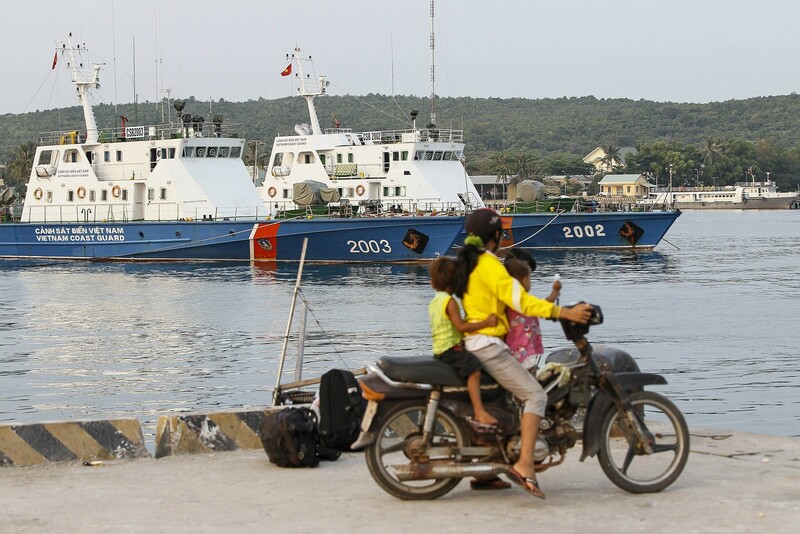 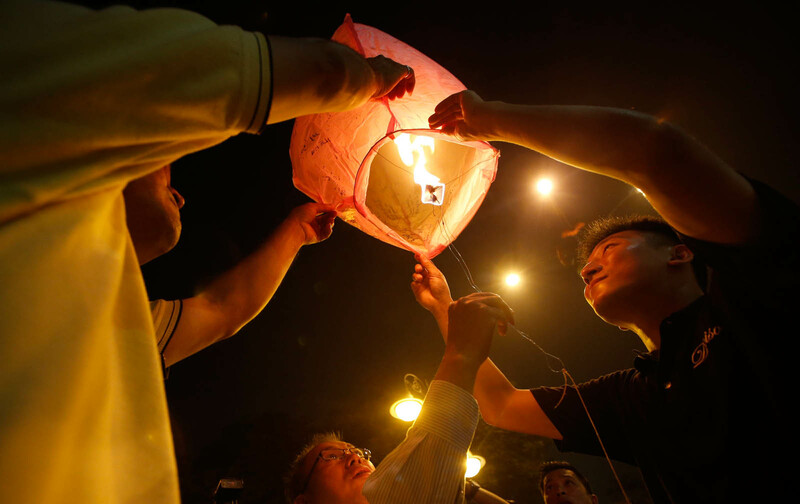 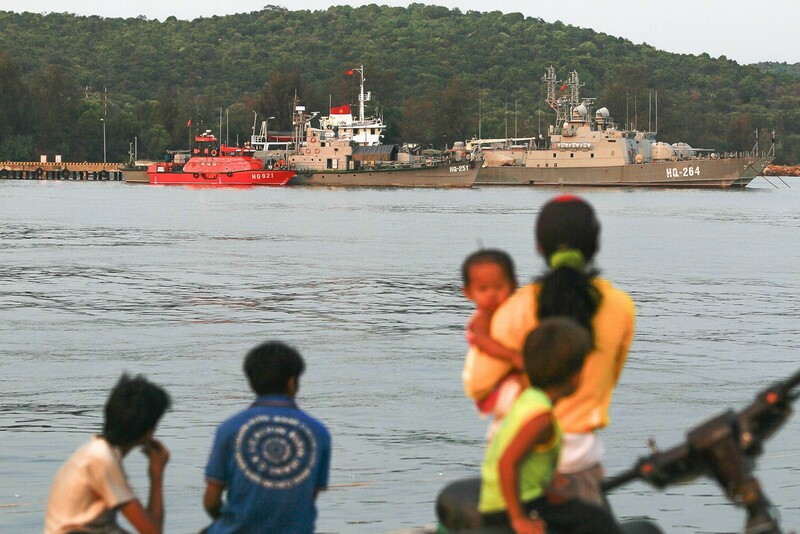 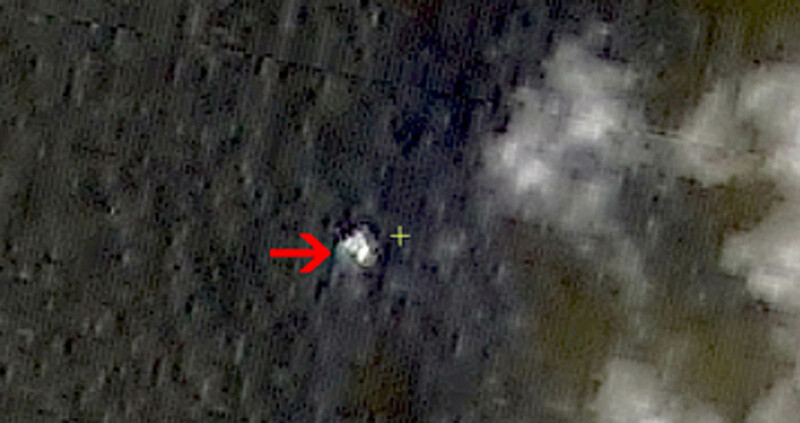 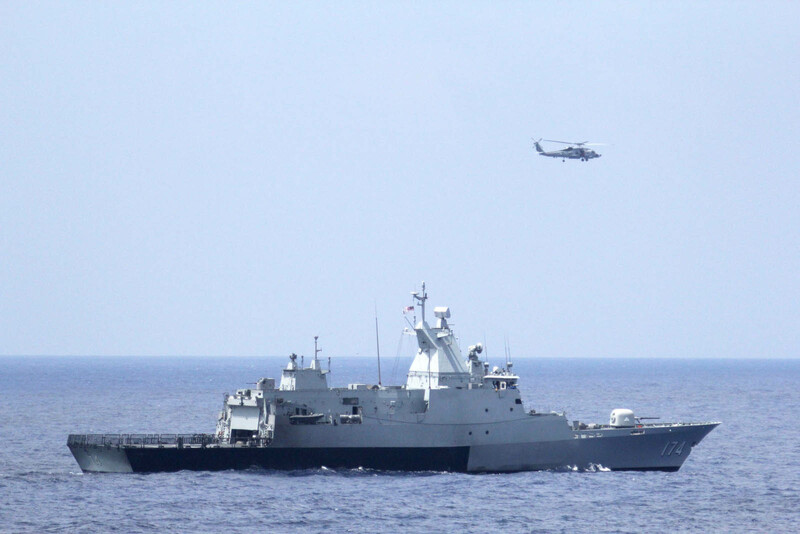 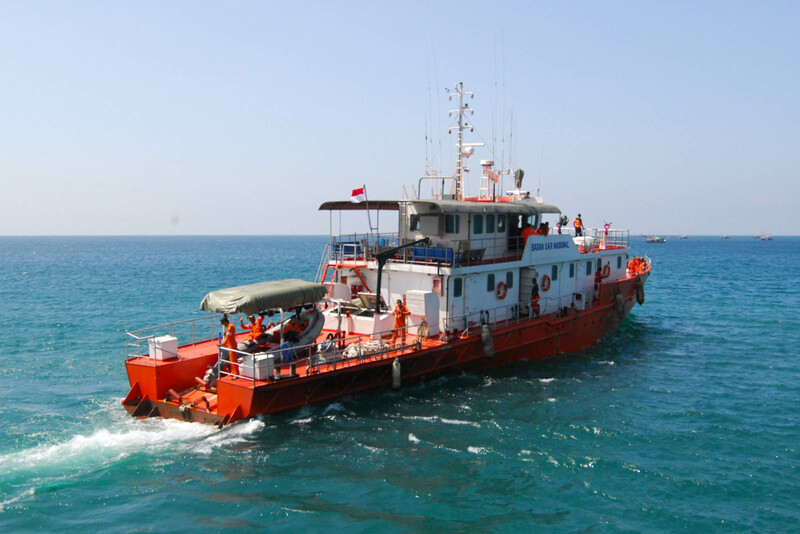 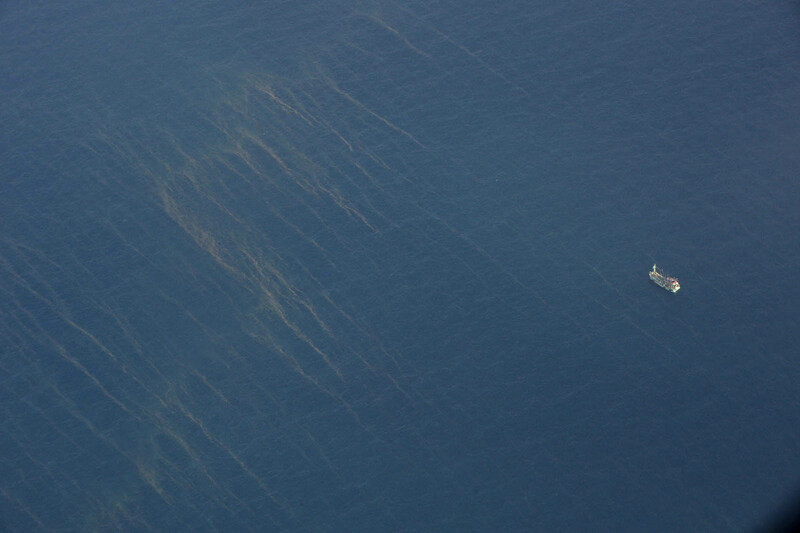 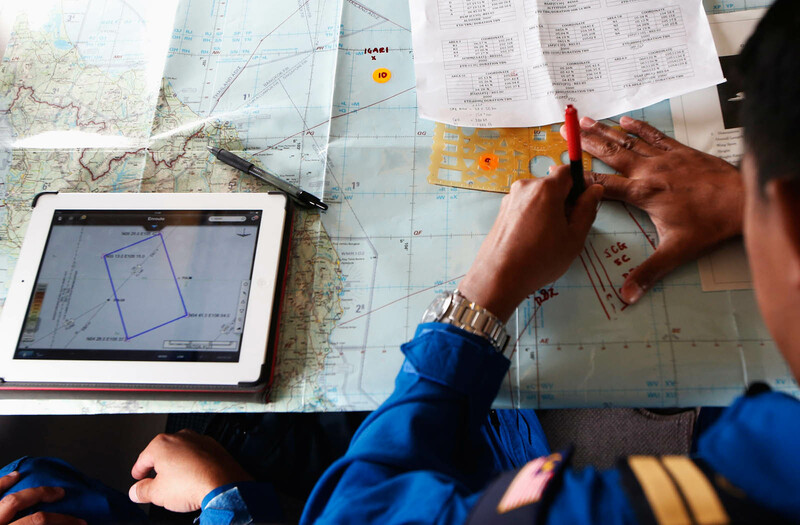 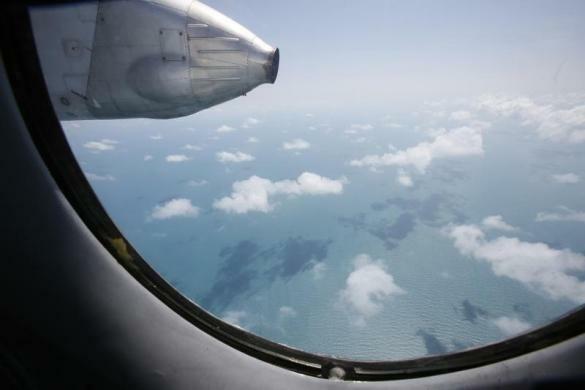 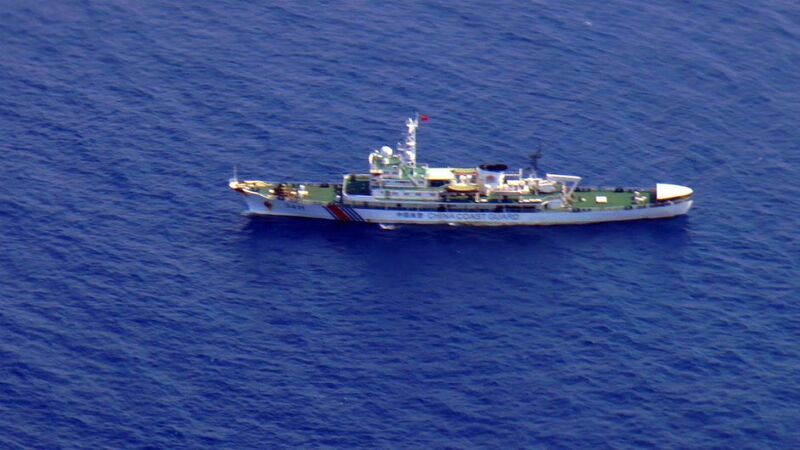 Vietnamese and Malaysian planes scanned waters where a Chinese government agency website said a satellite had photographed three "suspicious floating objects" on Sunday. 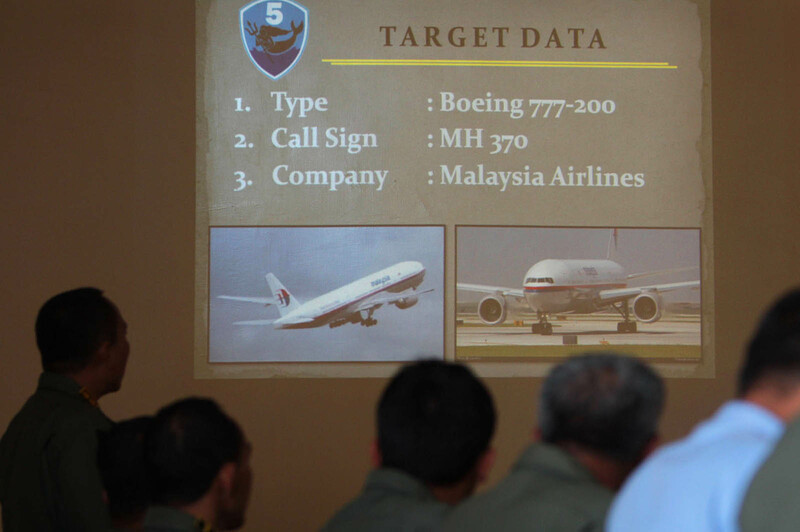 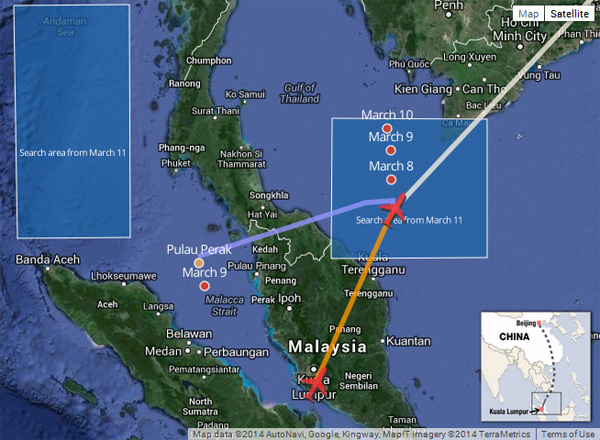 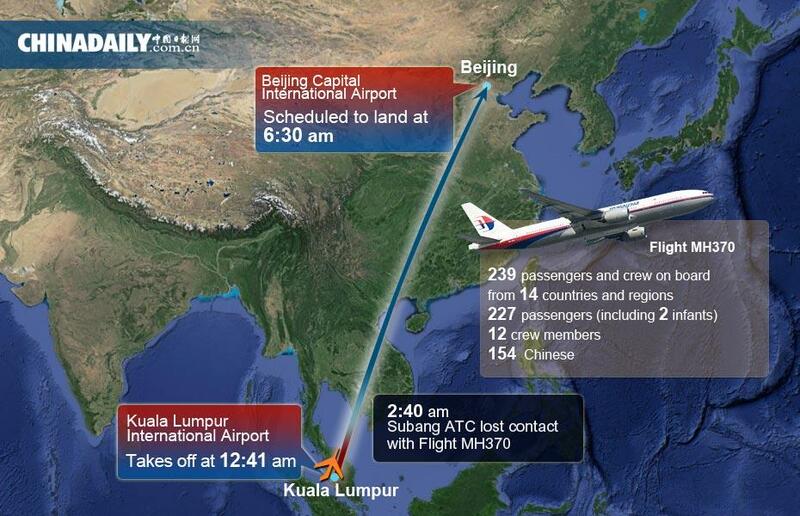 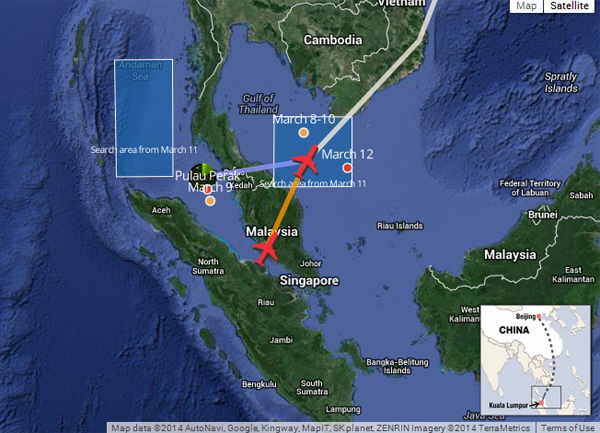 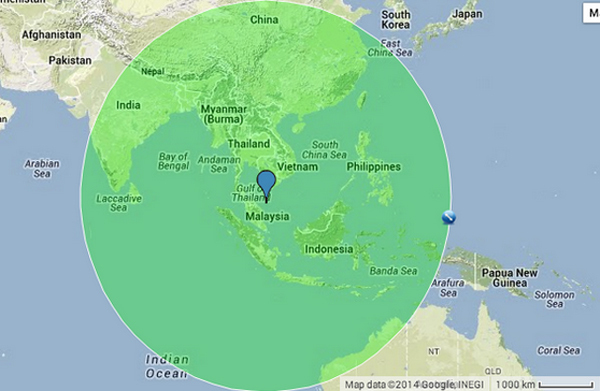 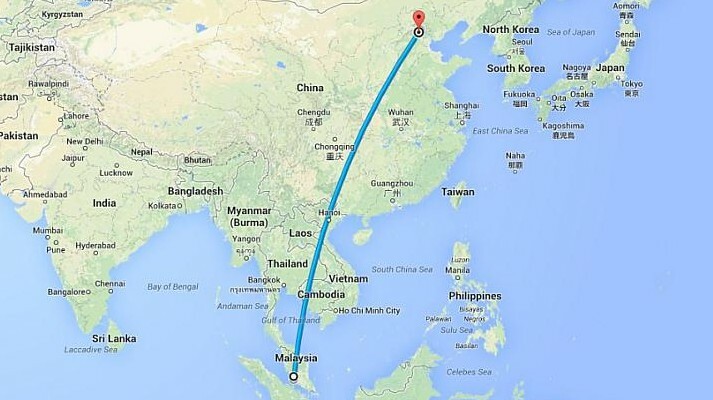 The location was close to where the plane, Flight MH370, lost contact with air traffic control. 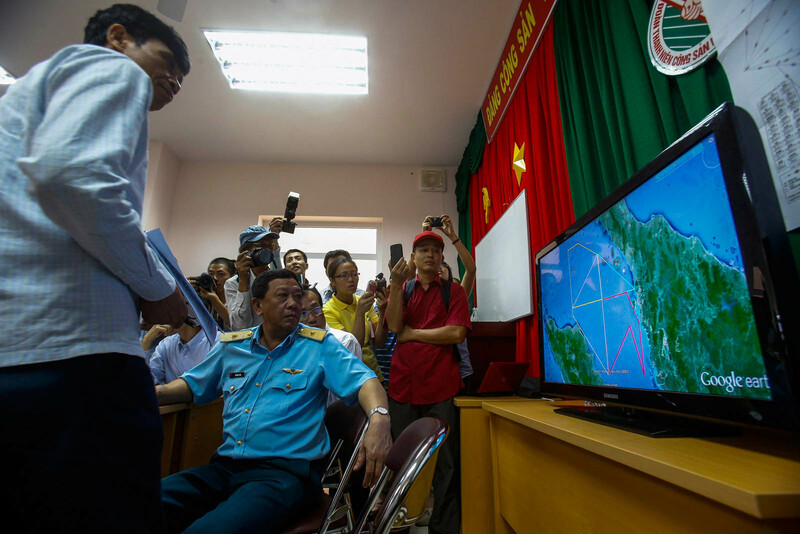 Aircraft repeatedly circled the area over the South China Sea but were unable to detect any objects, said a Reuters journalist, who was aboard one of the planes. 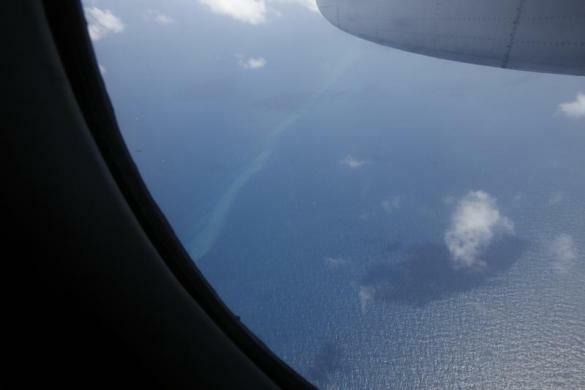 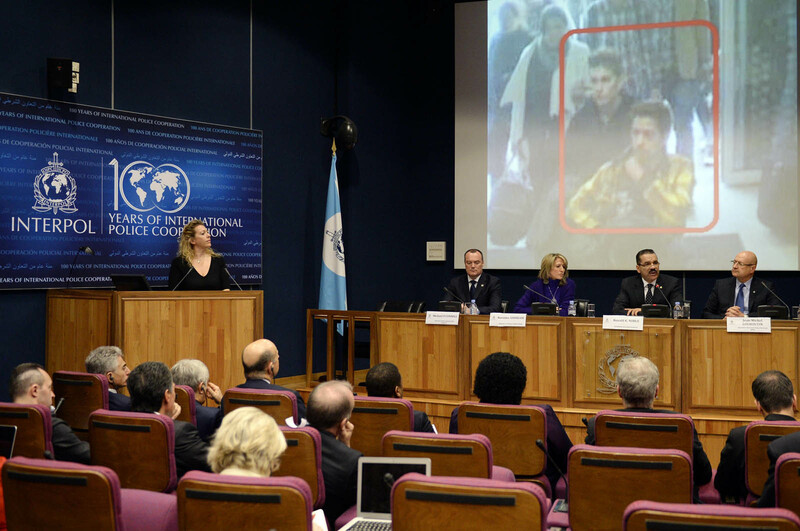 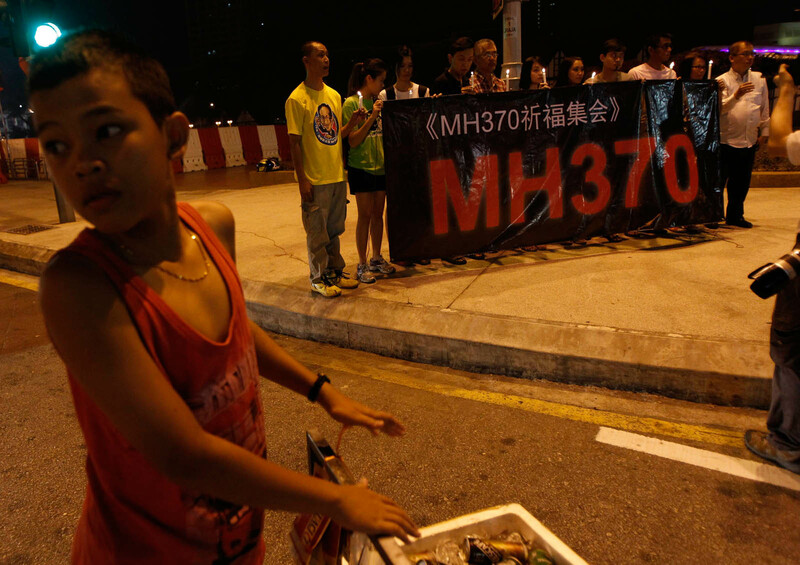 One US official close to the plane investigation said the Chinese satellite report was a "red herring". 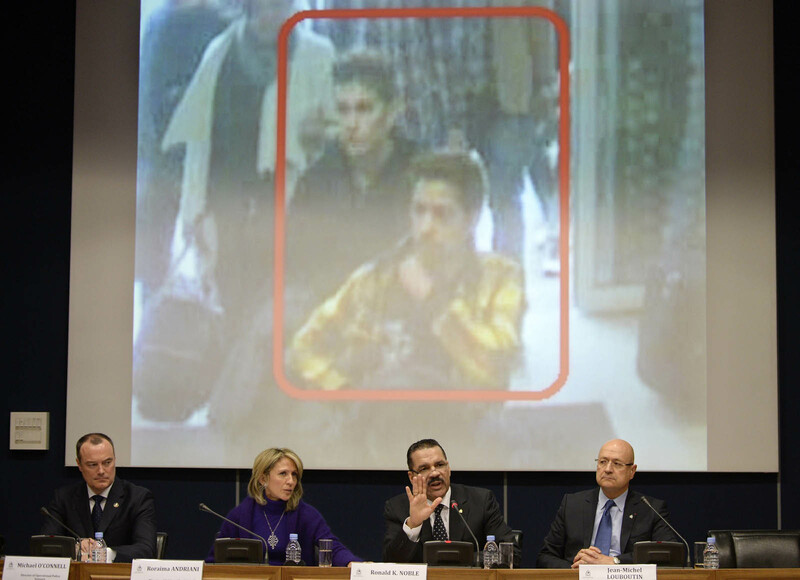 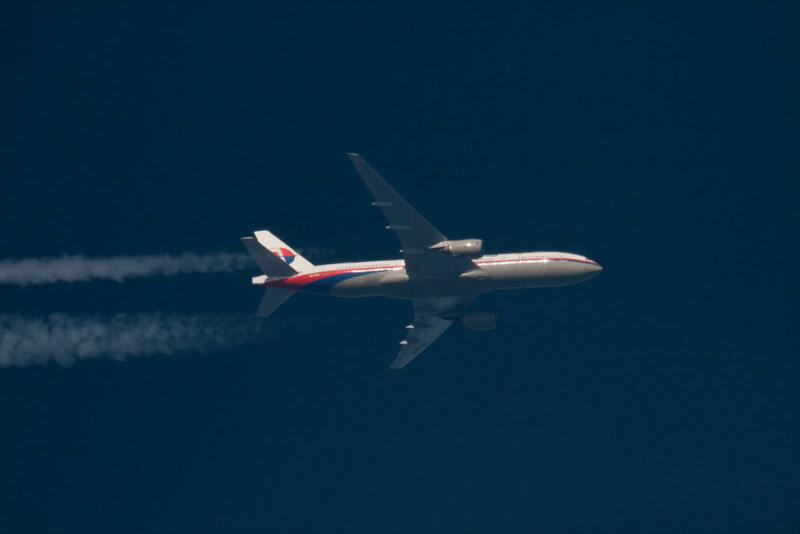 It was the latest in a series of false signals given to the multi-national search team that has been combing 27,000 square nautical miles (93,000 square km), an area the size of Hungary, for the Boeing 777-200ER. 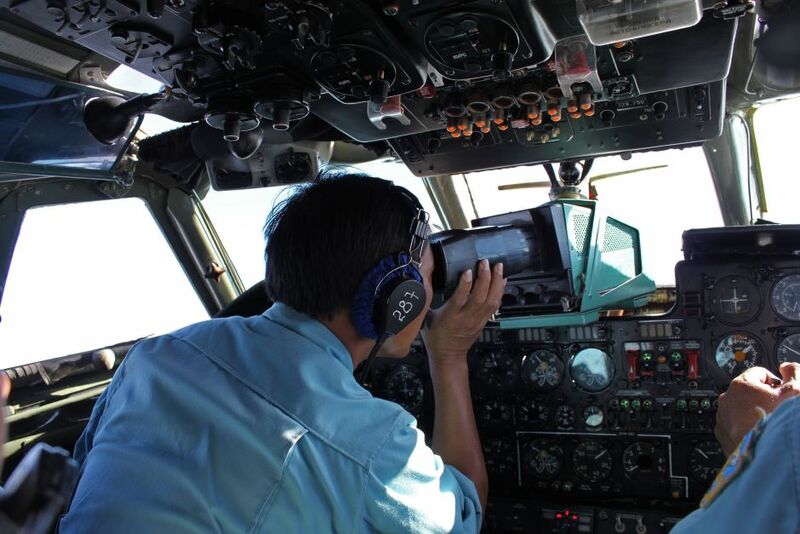 On Wednesday, Malaysia's air force chief said military radar had traced what could have been the jetliner to an area south of the Thai holiday island of Phuket, hundreds of miles to the west of its last known position. 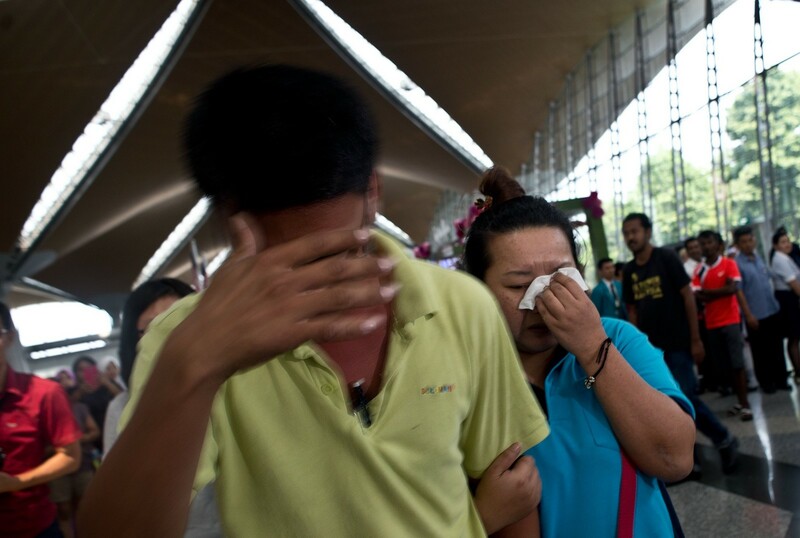 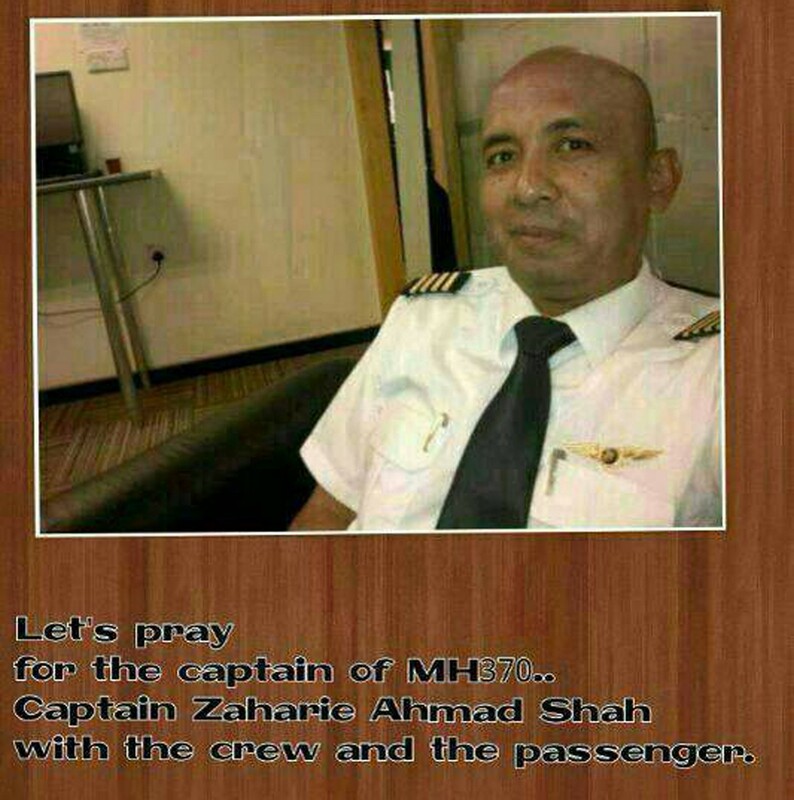 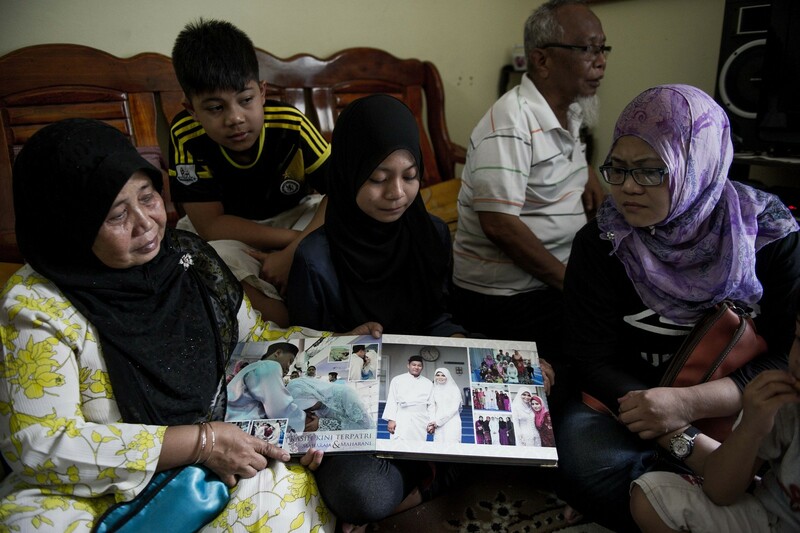 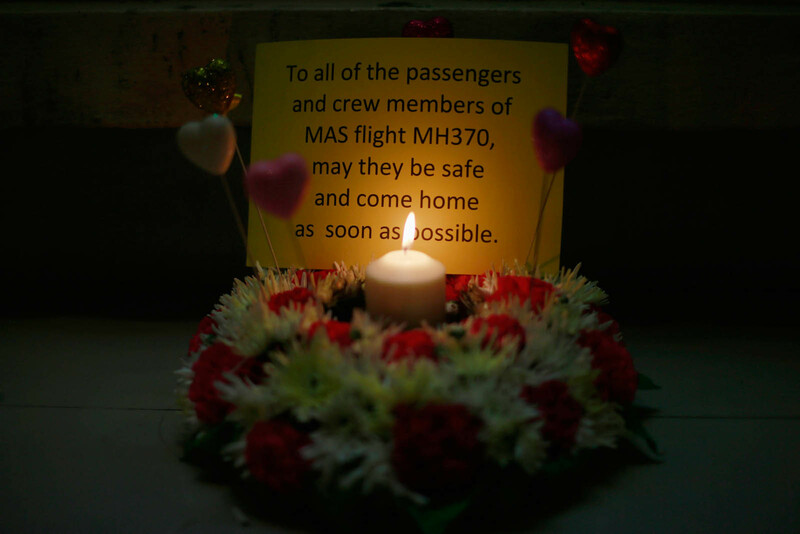 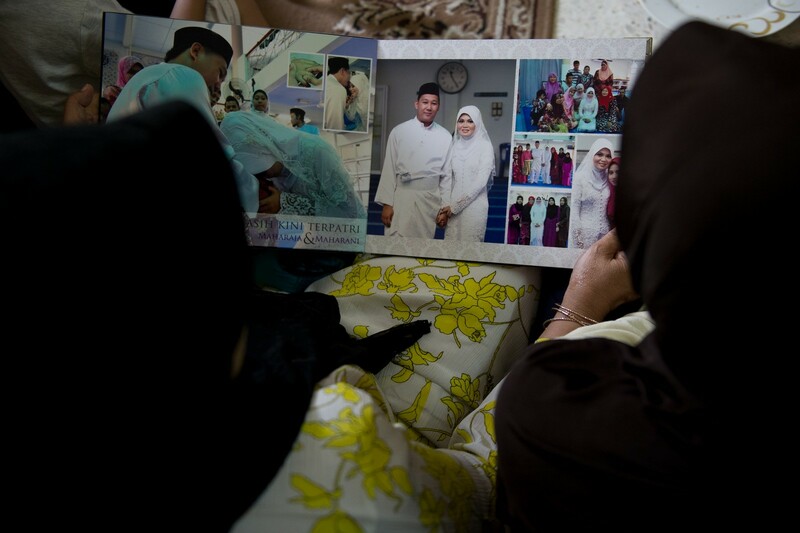 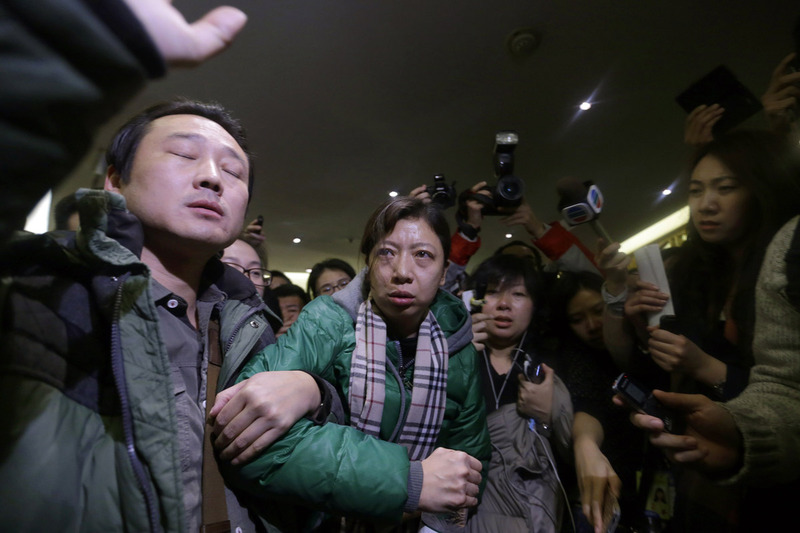 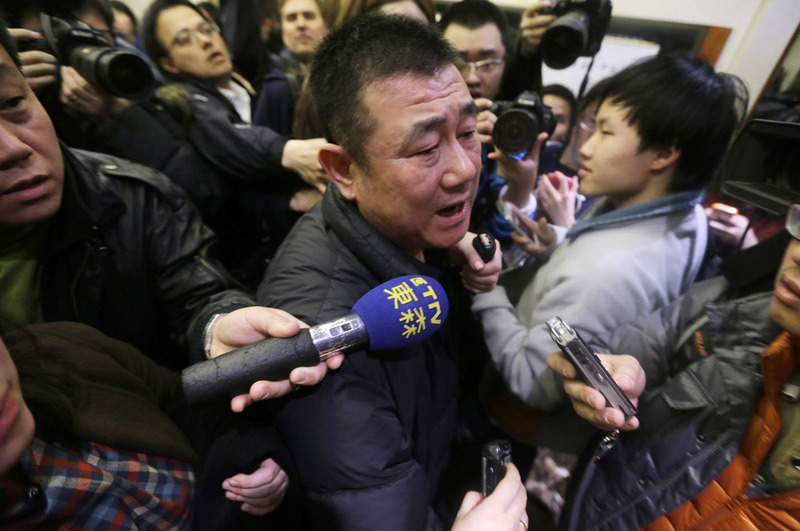 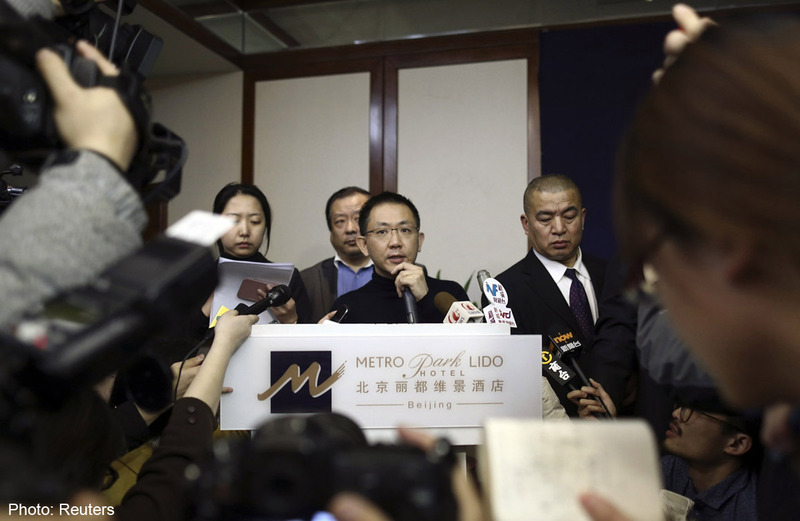 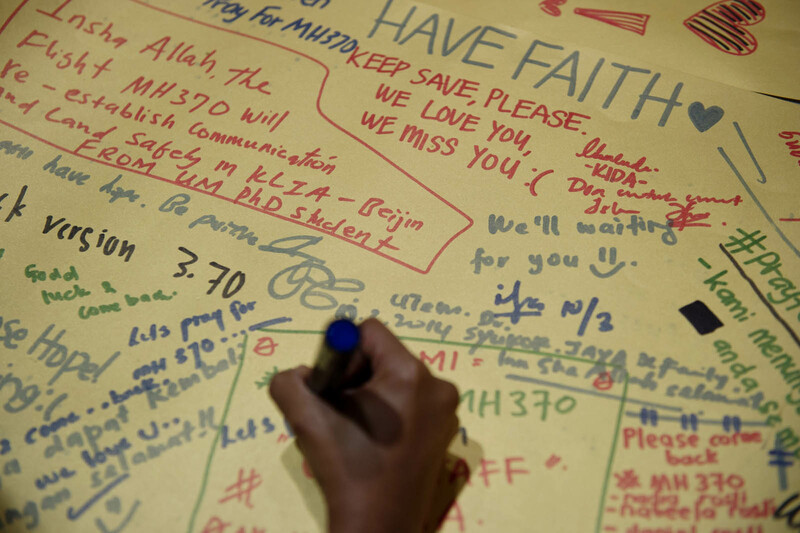 His statement followed a series of conflicting accounts of the flight path of the plane, which left authorities uncertain even which sea to search in for Flight MH370. 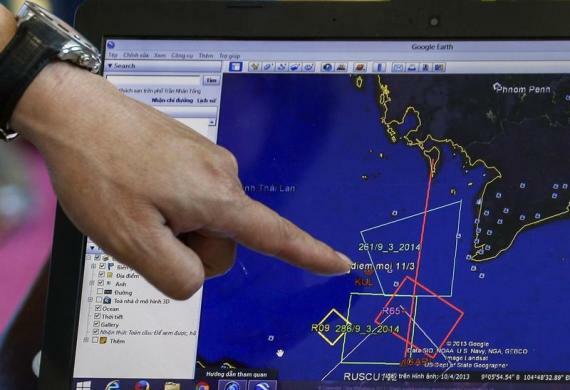 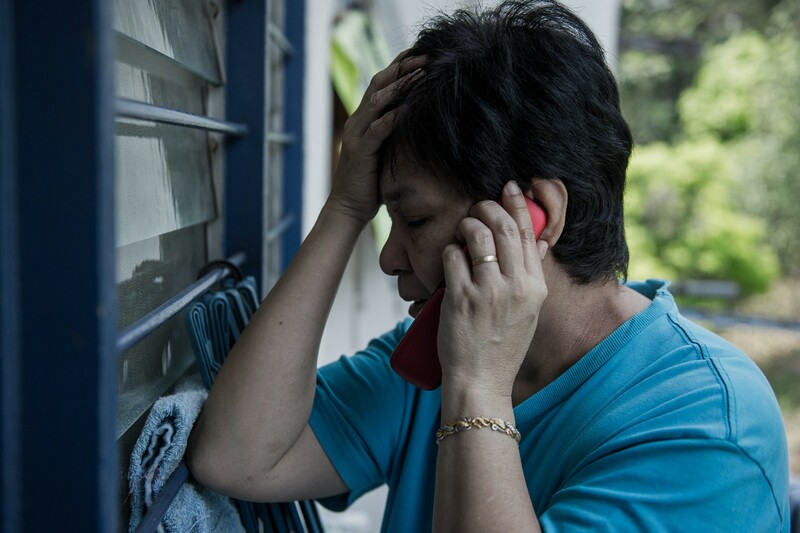 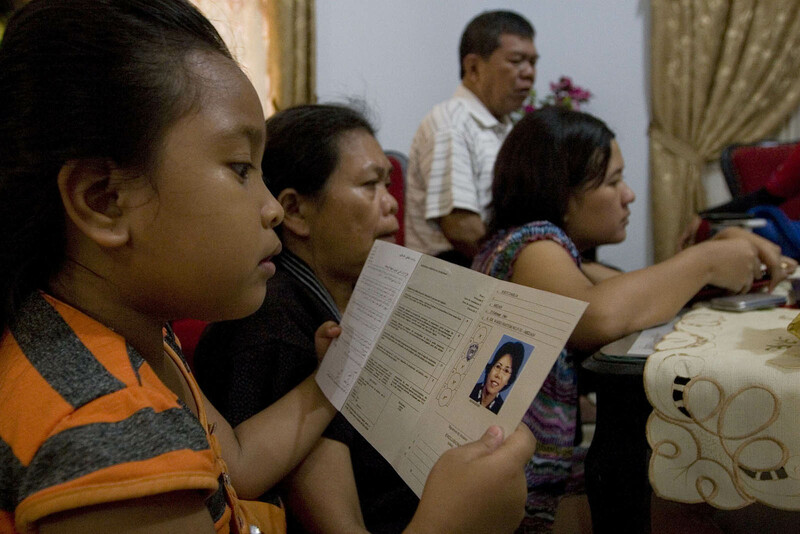 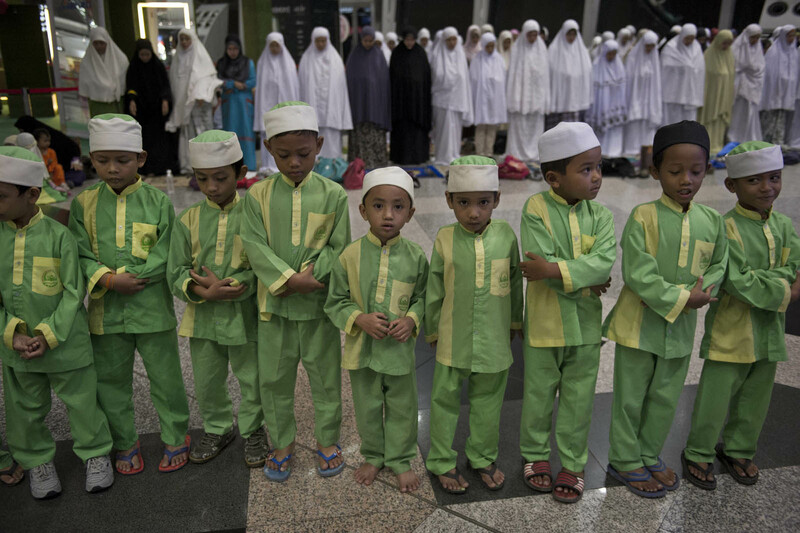 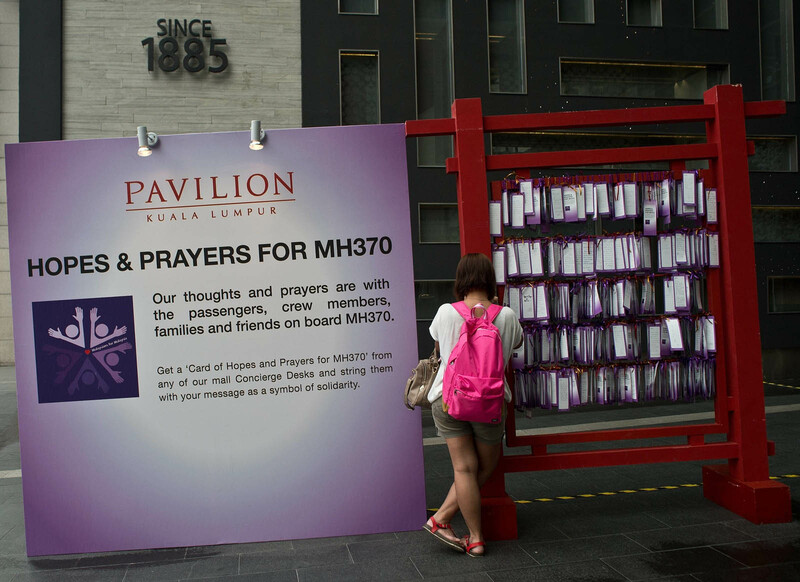 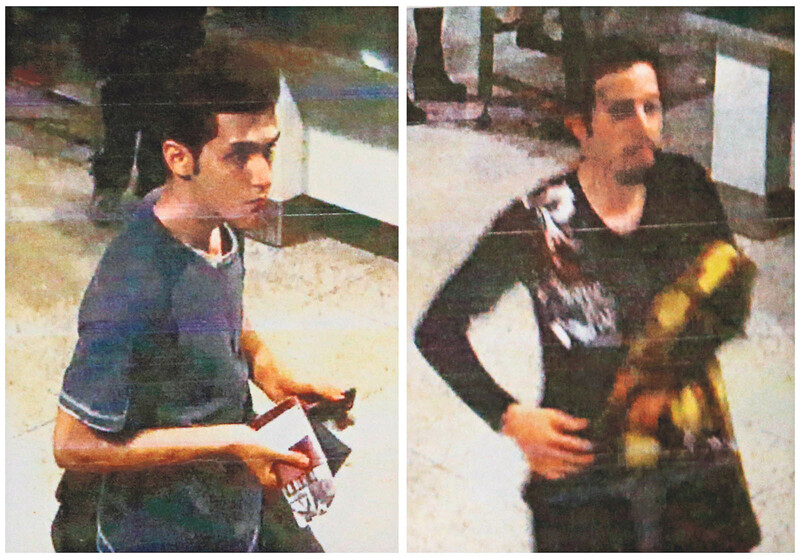 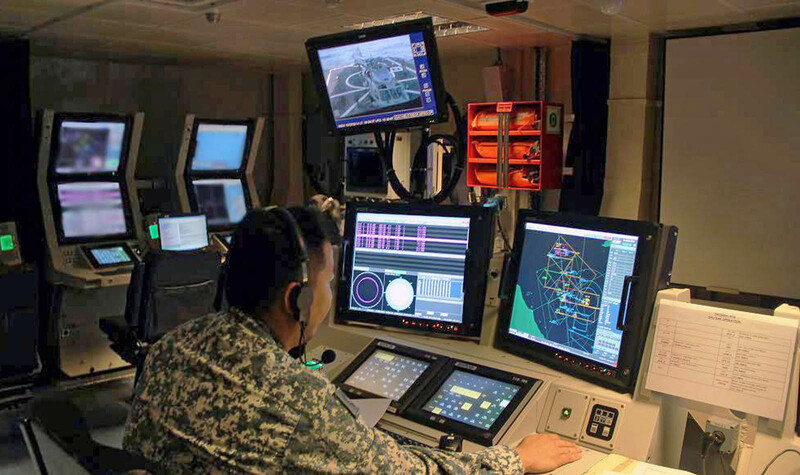 The last definitive sighting on civilian radar screens came shortly before 1:30 a.m. on Saturday, less than an hour after the plane took off from Kuala Lumpur, as it flew northeast across the mouth of the Gulf of Thailand. 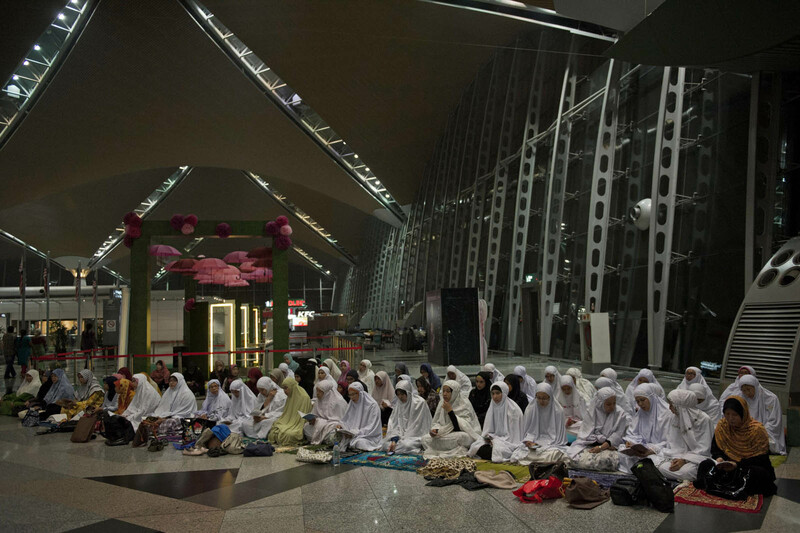 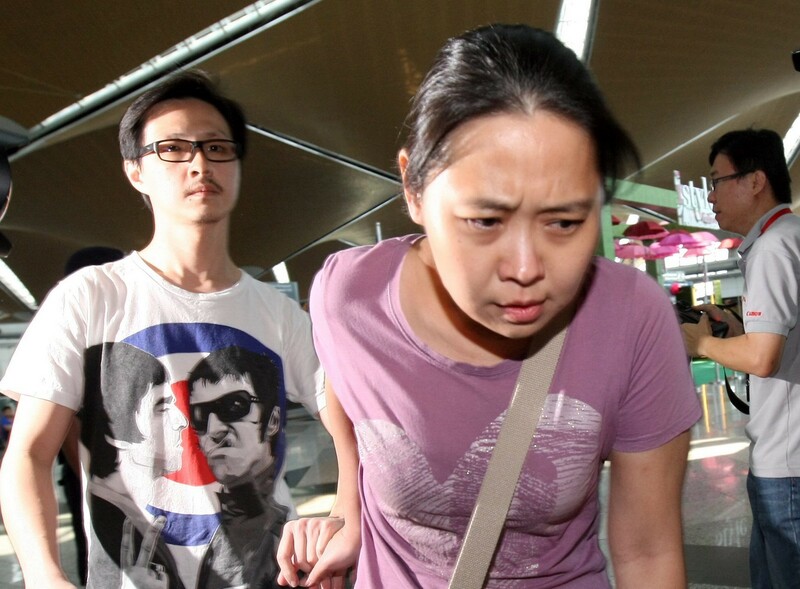 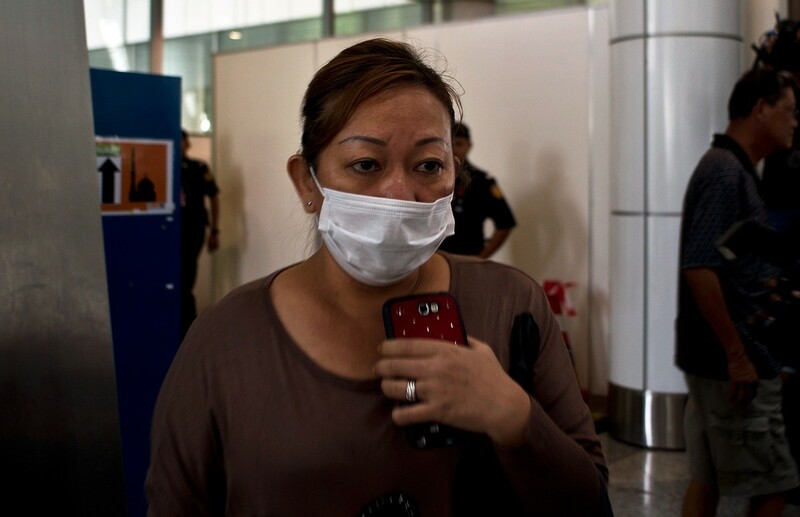 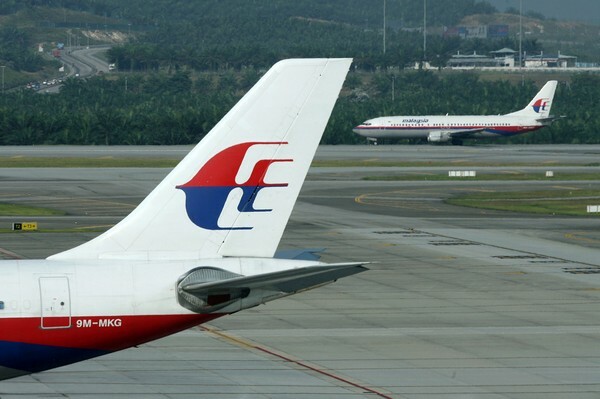 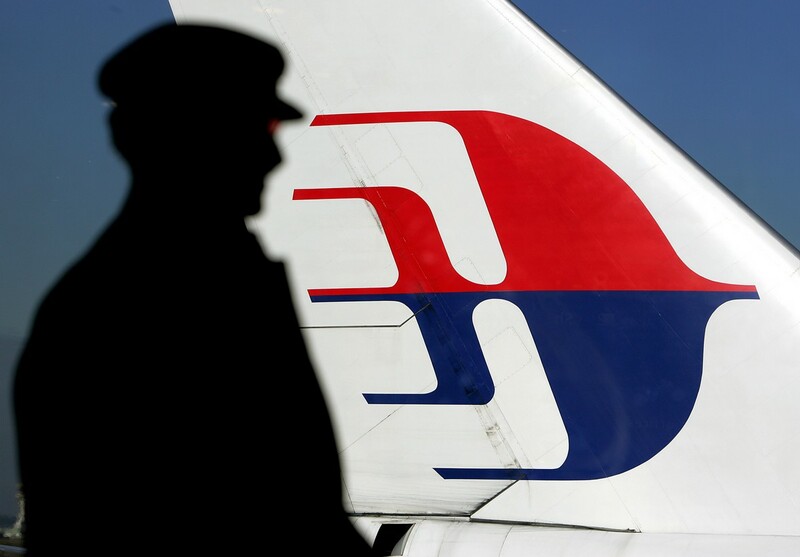 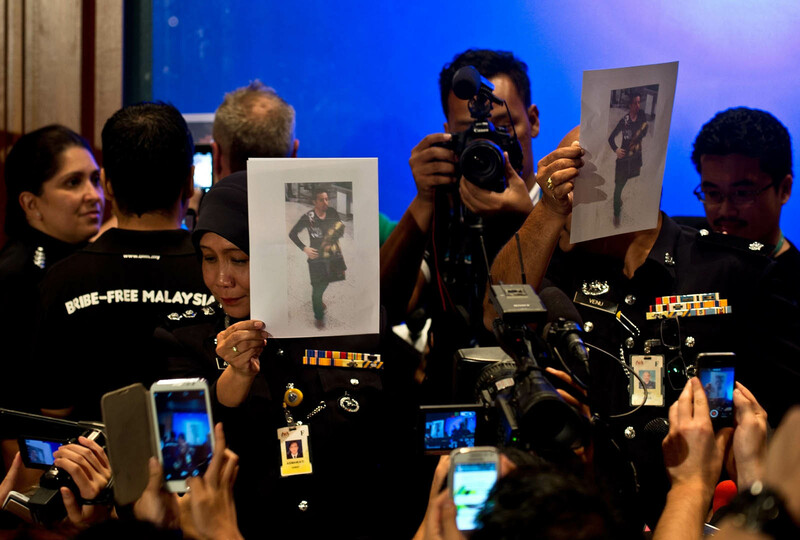 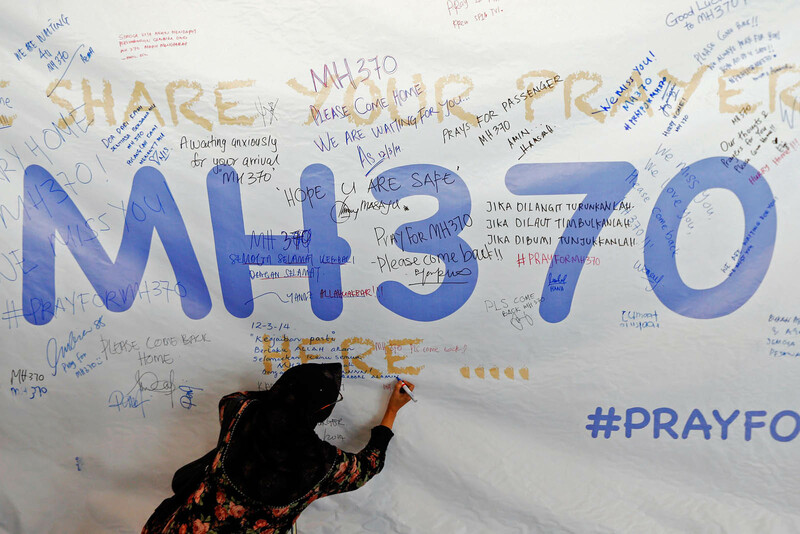 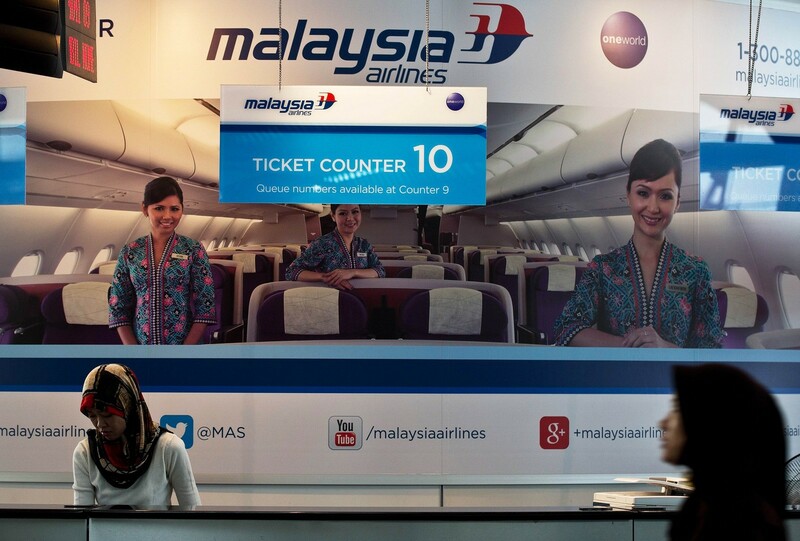 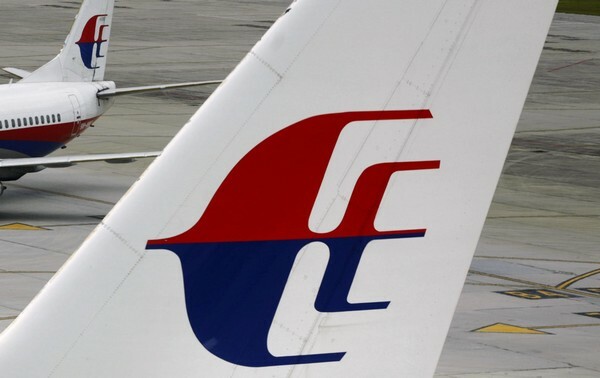 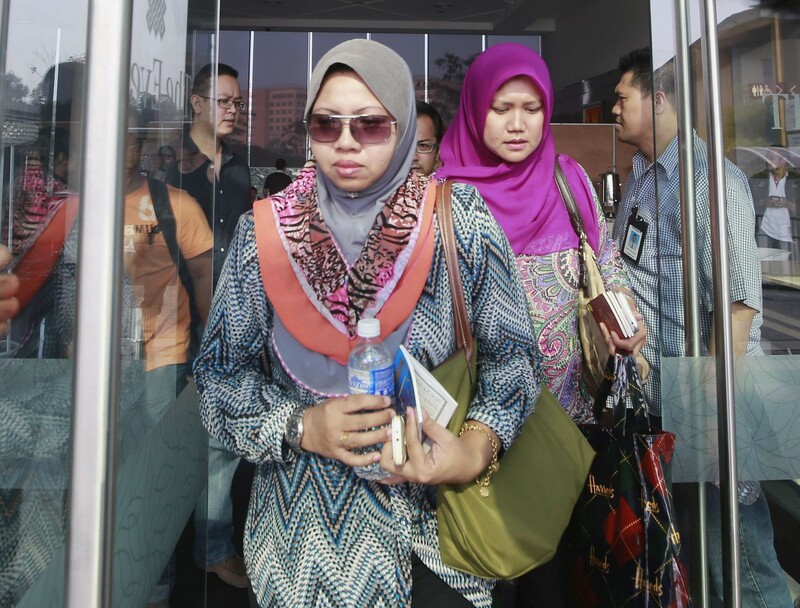 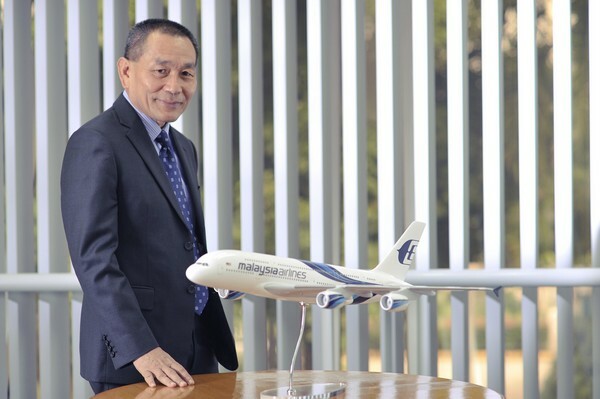 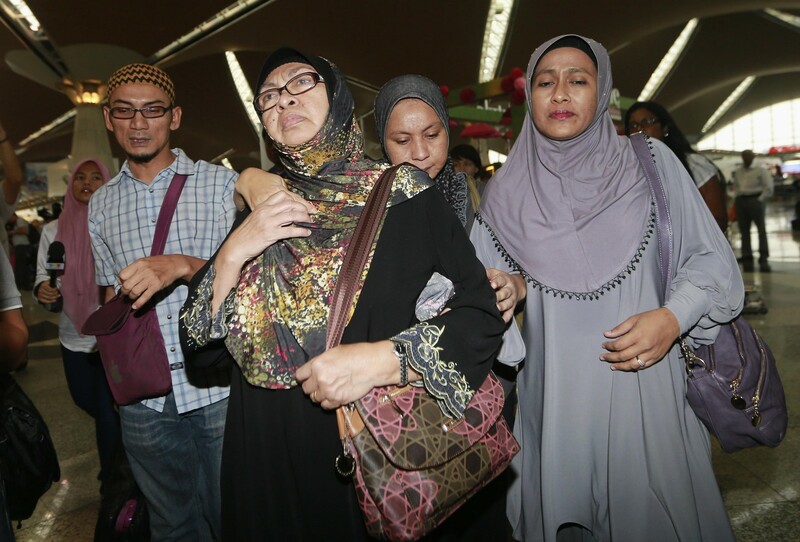 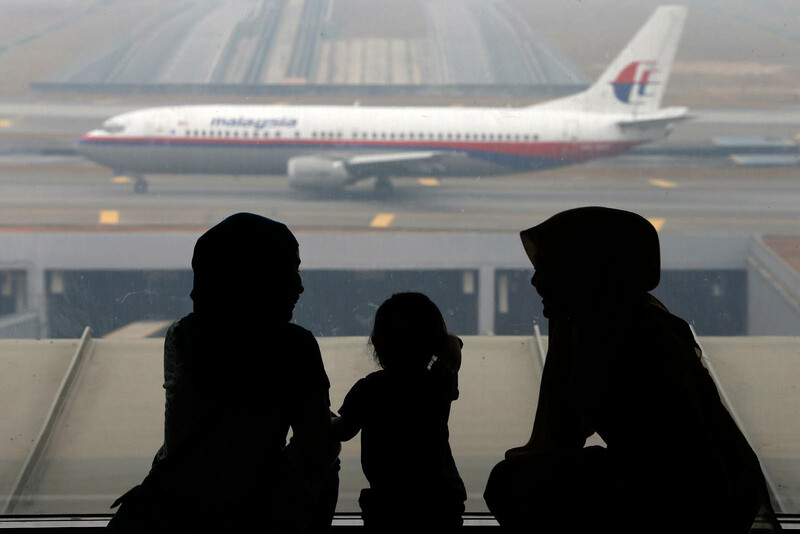 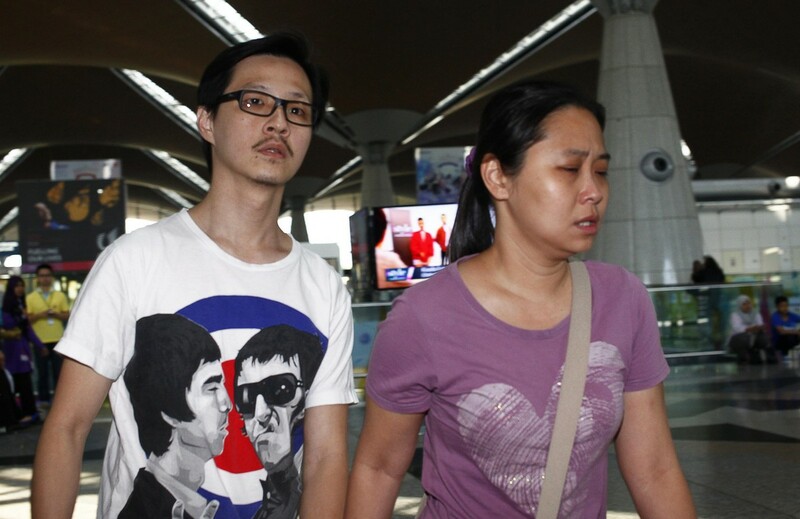 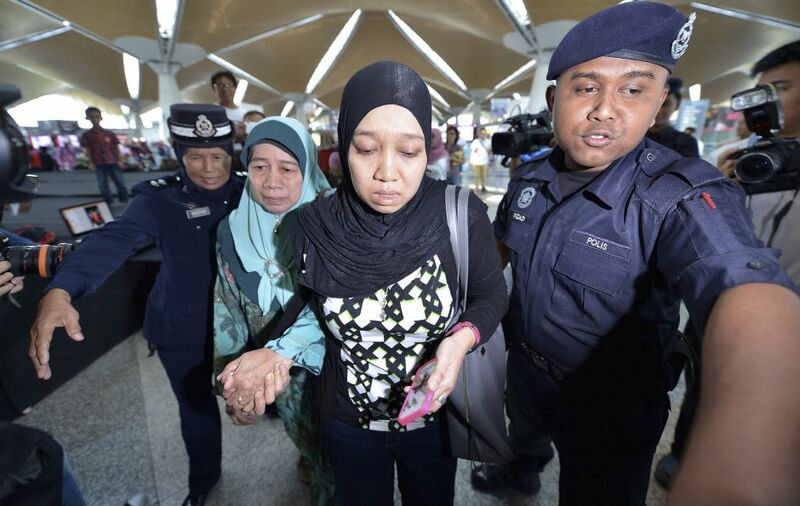 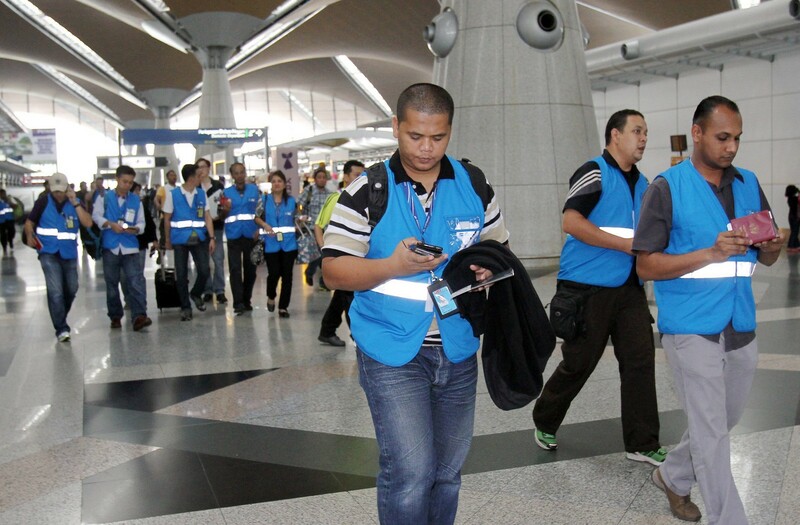 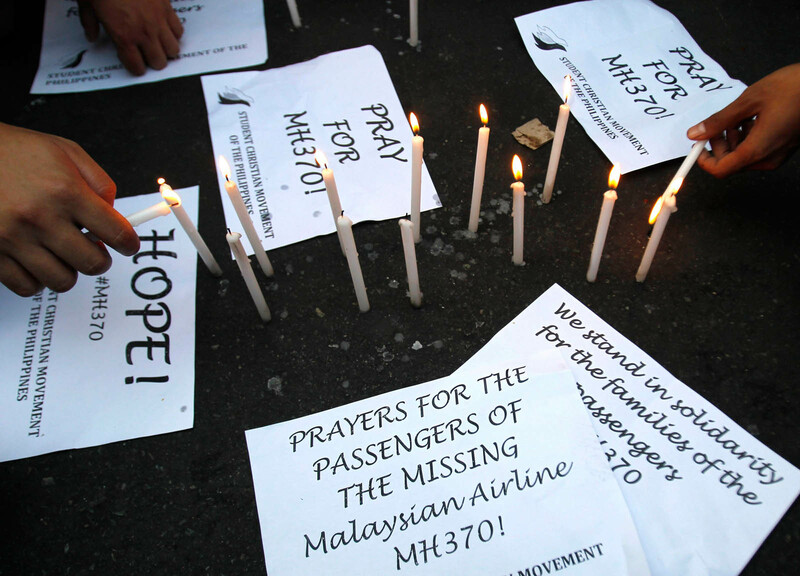 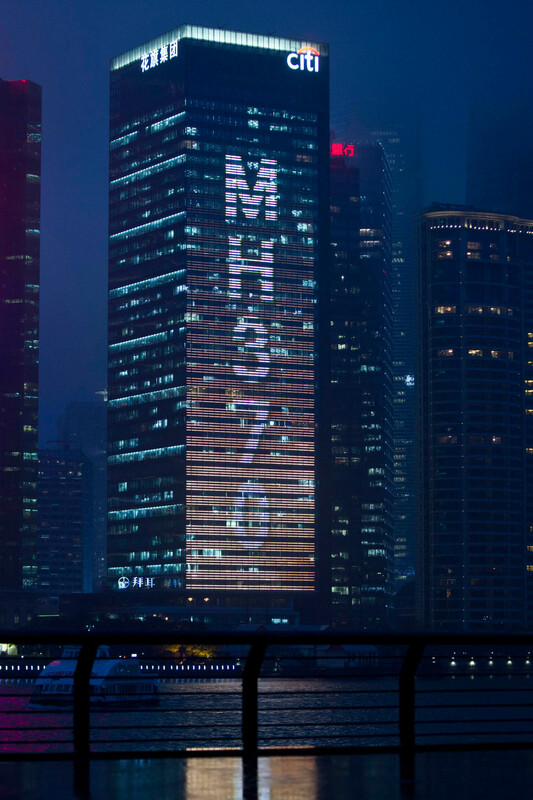 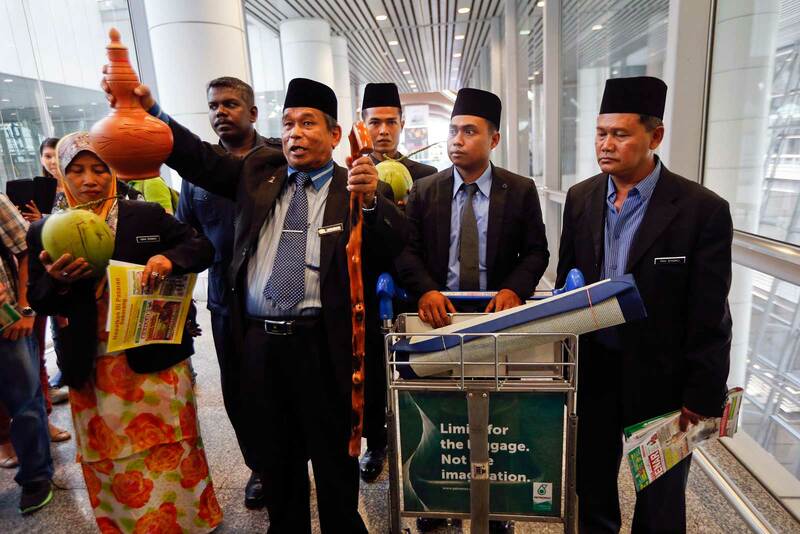 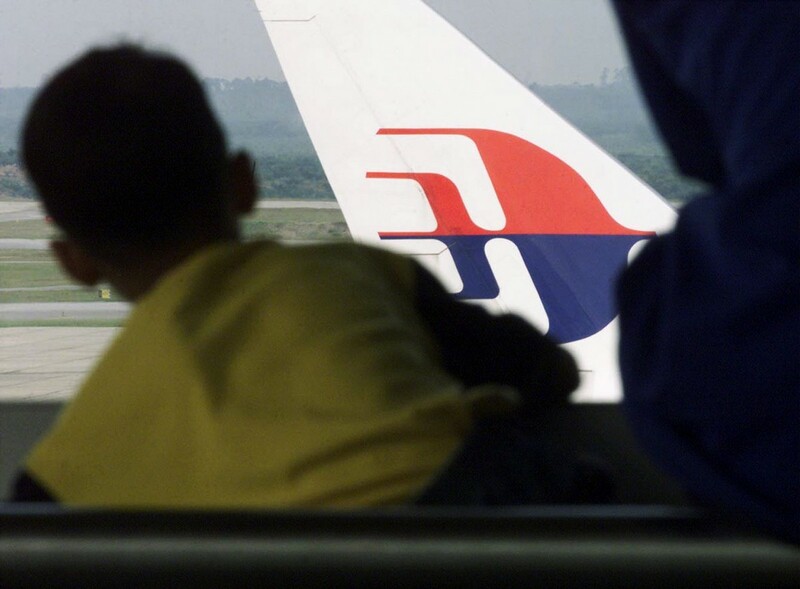 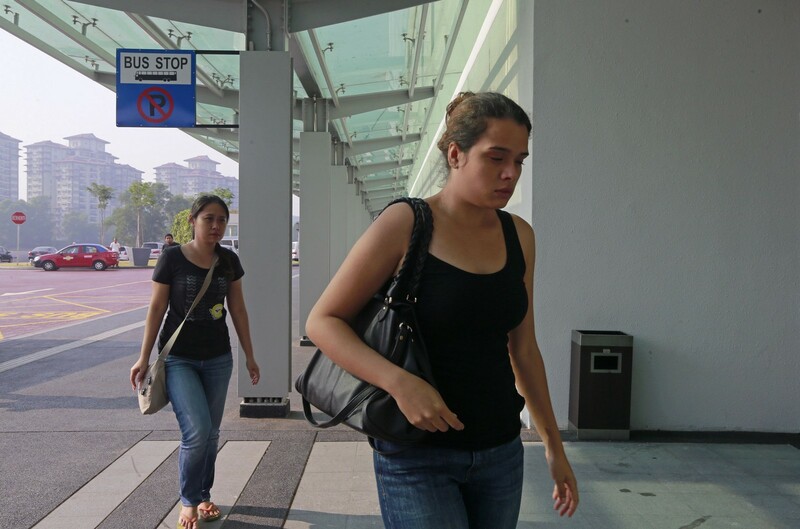 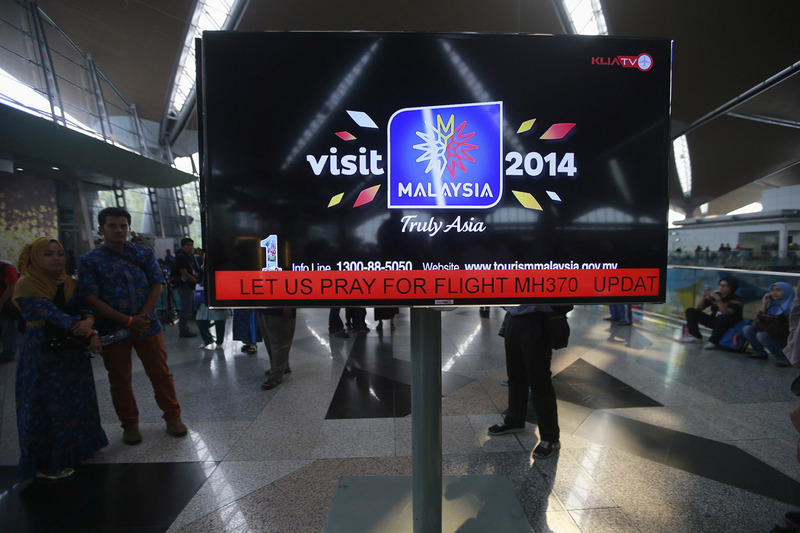 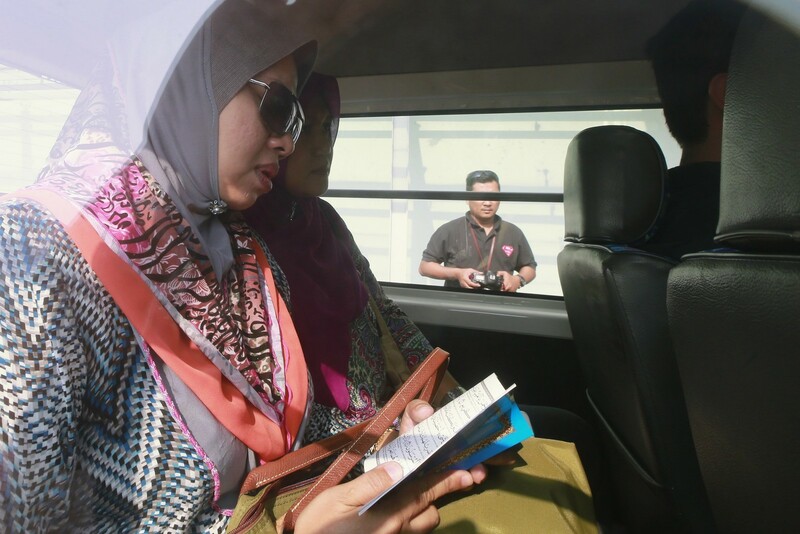 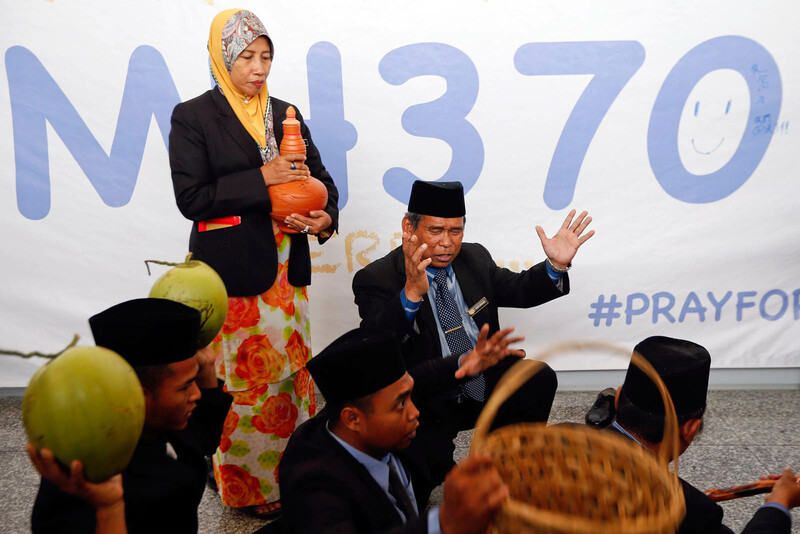 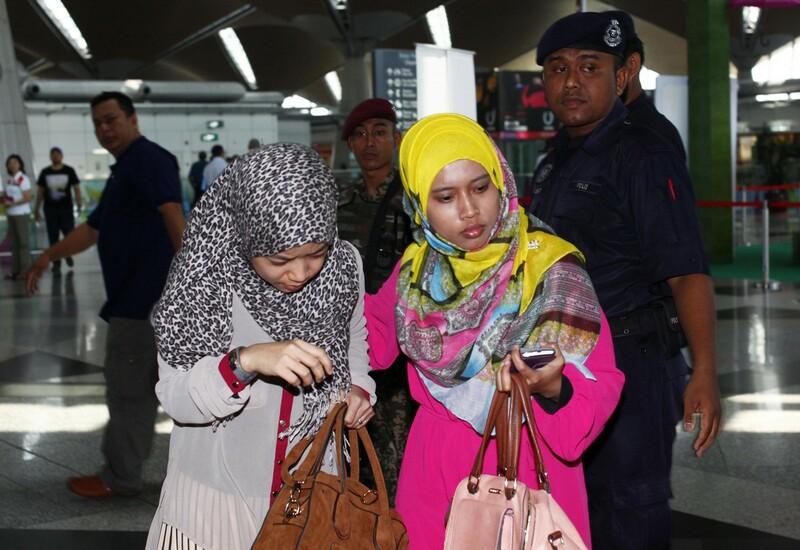 What happened next remains one of the most baffling puzzles in modern aviation history and the differing accounts put out by various Malaysian officials have drawn criticism of their handling of the crisis. 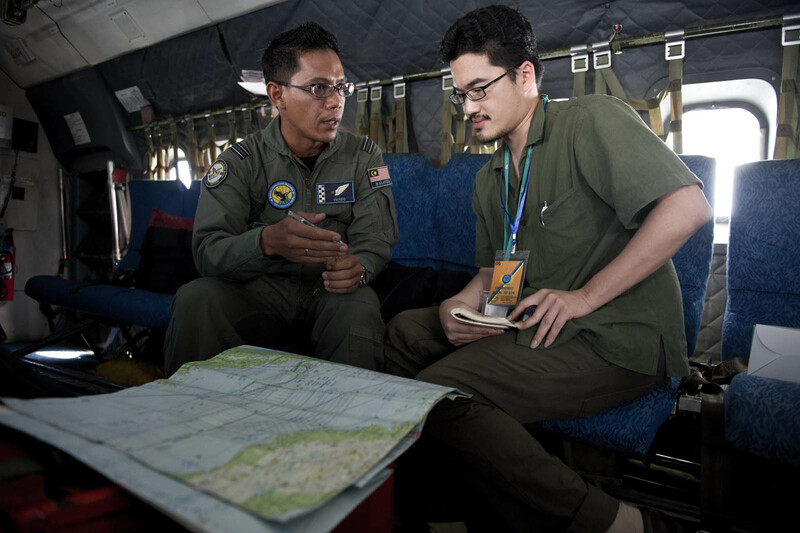 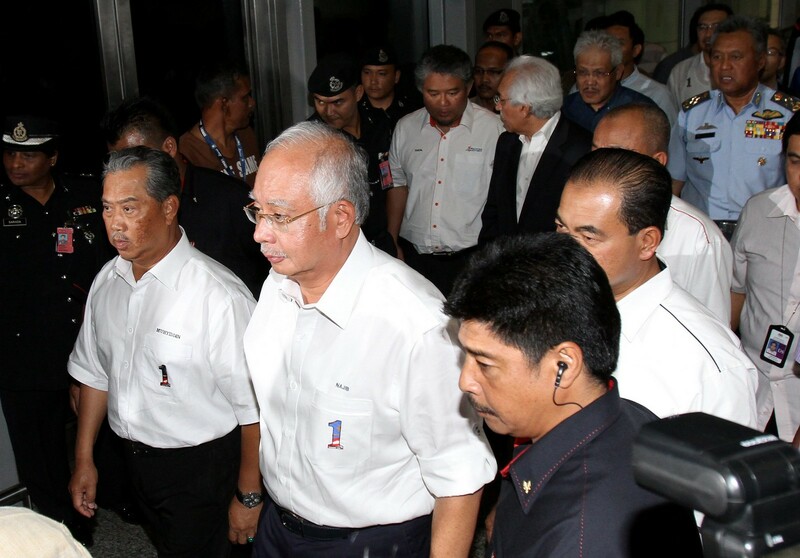 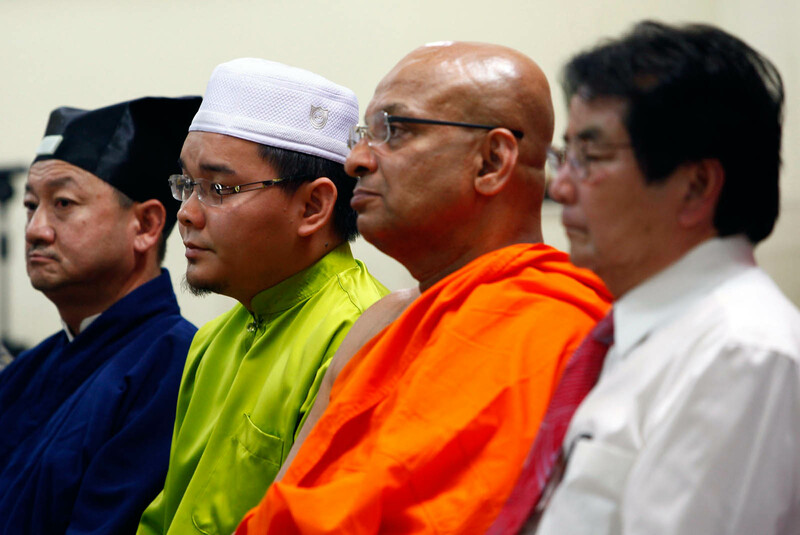 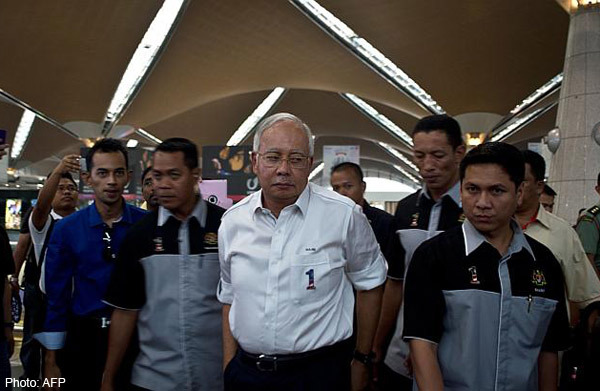 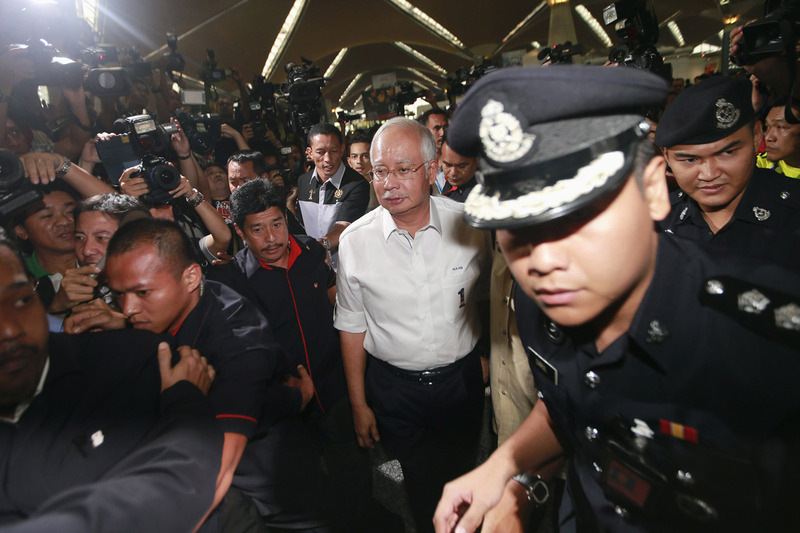 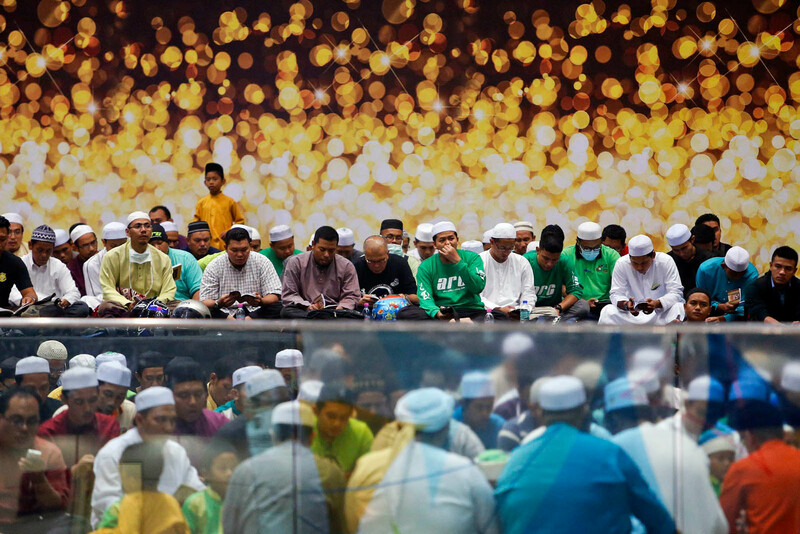 "The Malaysians deserve to be criticised - their handling of this has been atrocious," said Ernest Bower, a Southeast Asia specialist at the Center for Strategic and International Studies in Washington. 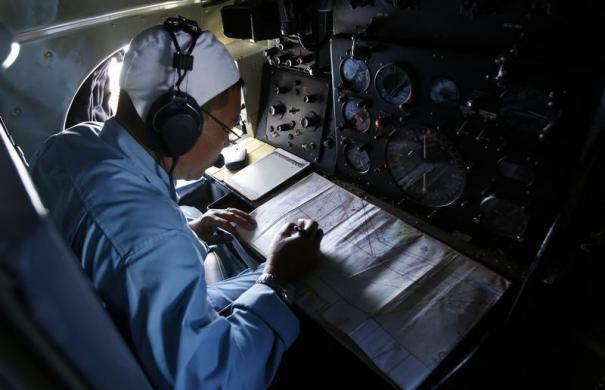 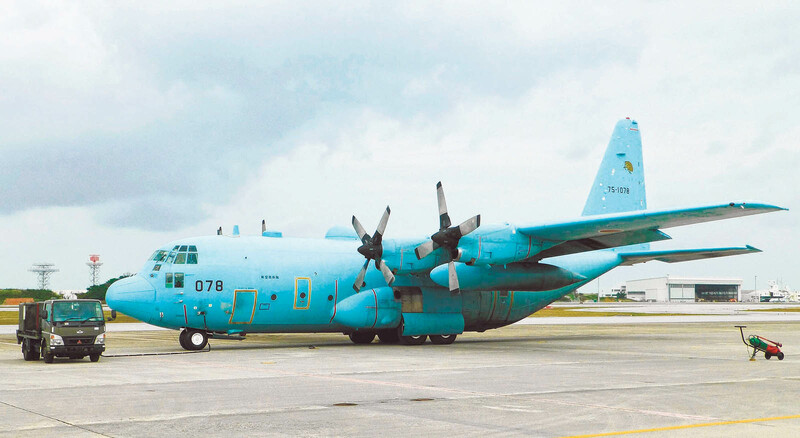 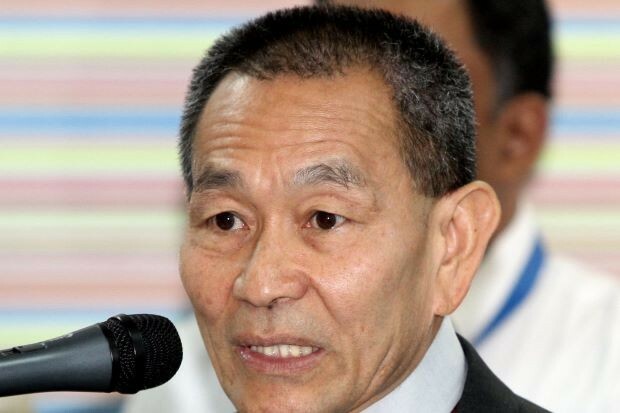 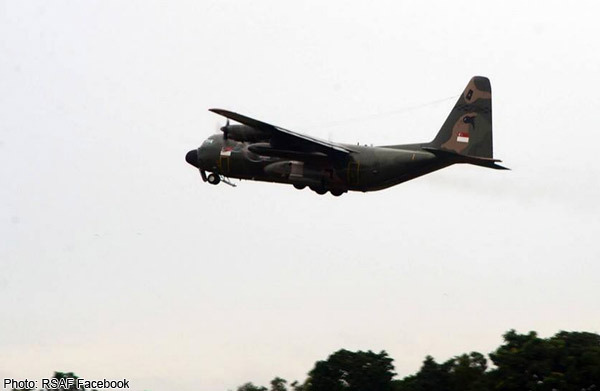 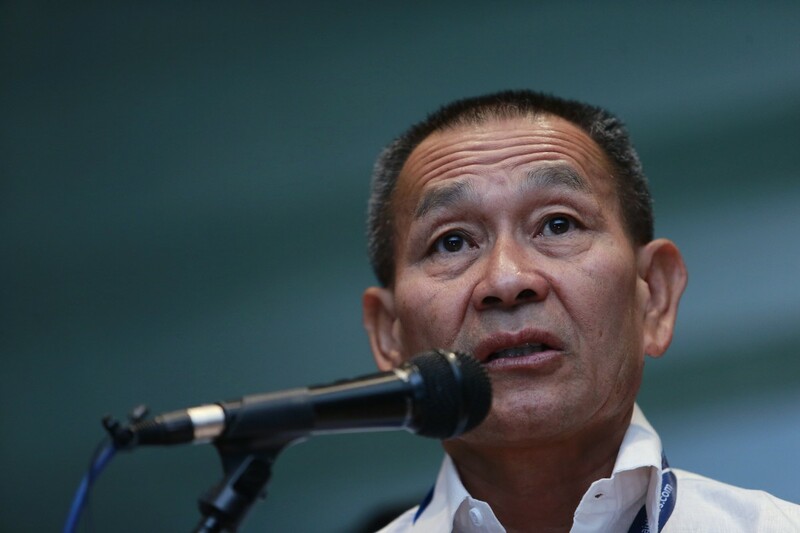 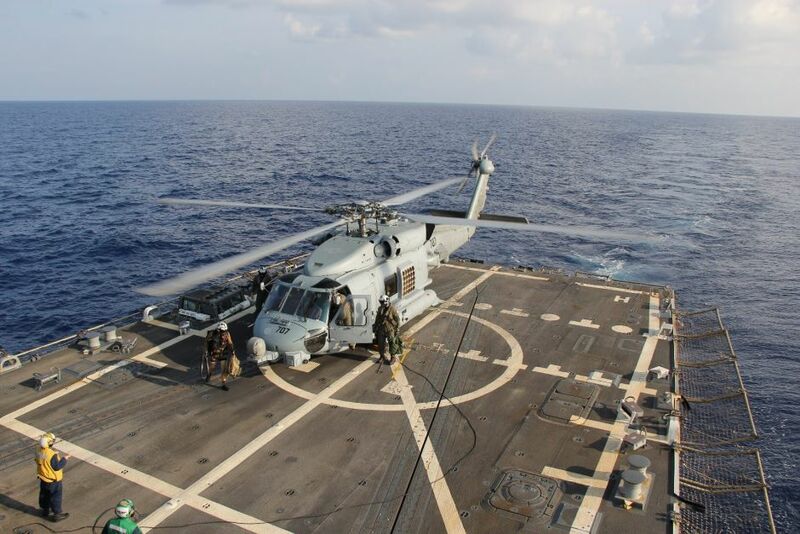 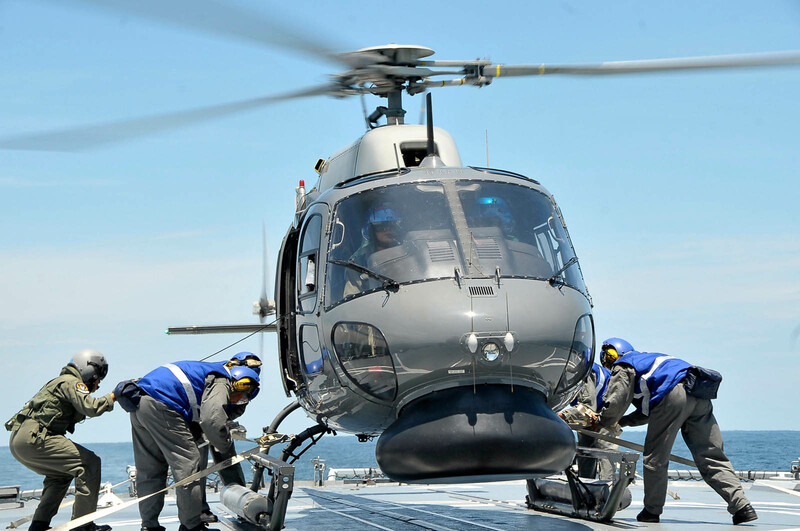 Rodzali Daud, the Malaysian air force chief, told a news conference on Wednesday that an aircraft was plotted on military radar at 2:15 a.m., 200 miles (320 km) northwest of Penang Island off Malaysia's west coast at the northern tip of the Strait of Malacca. 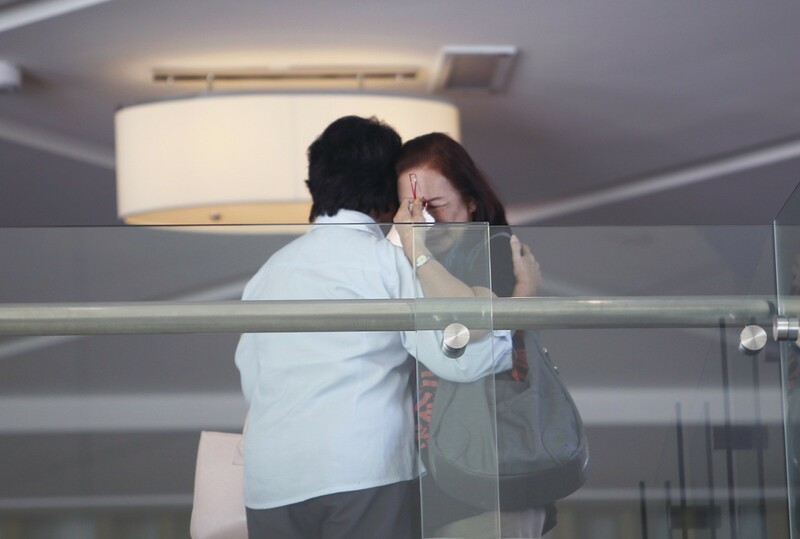 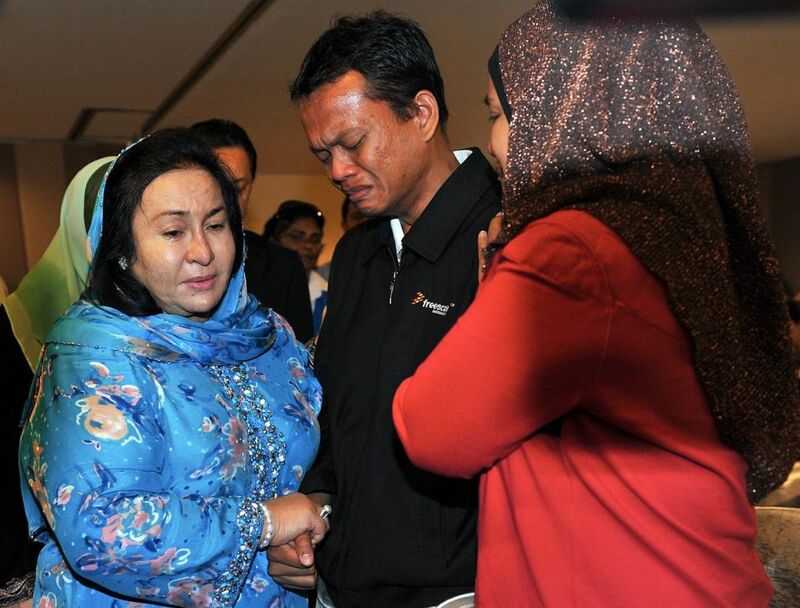 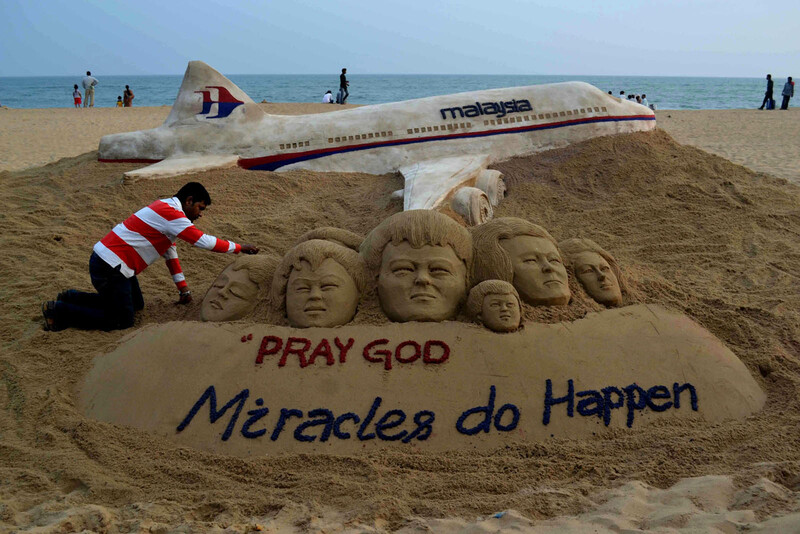 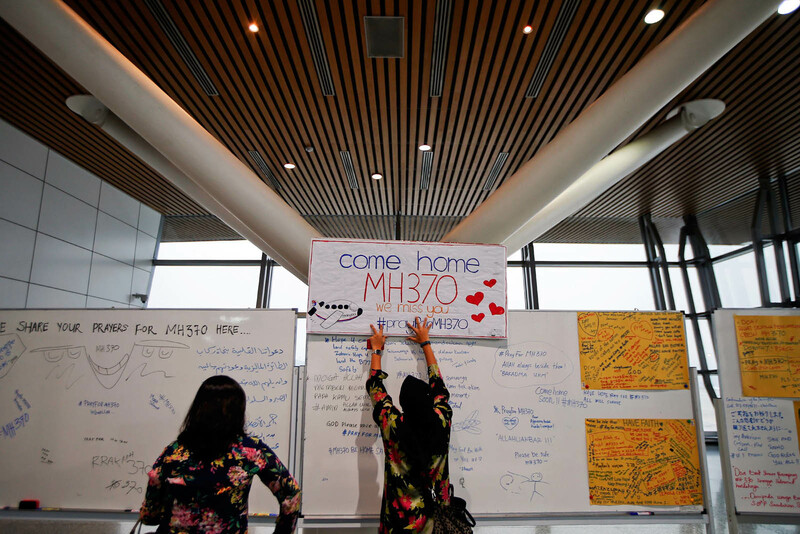 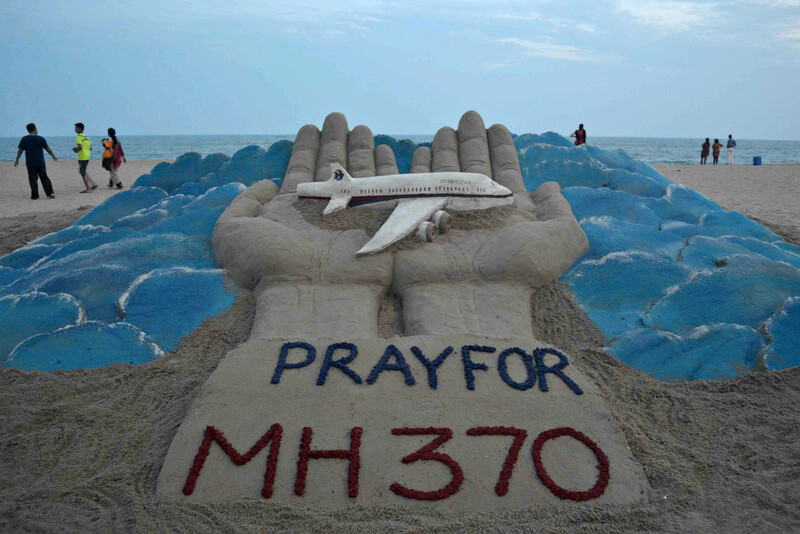 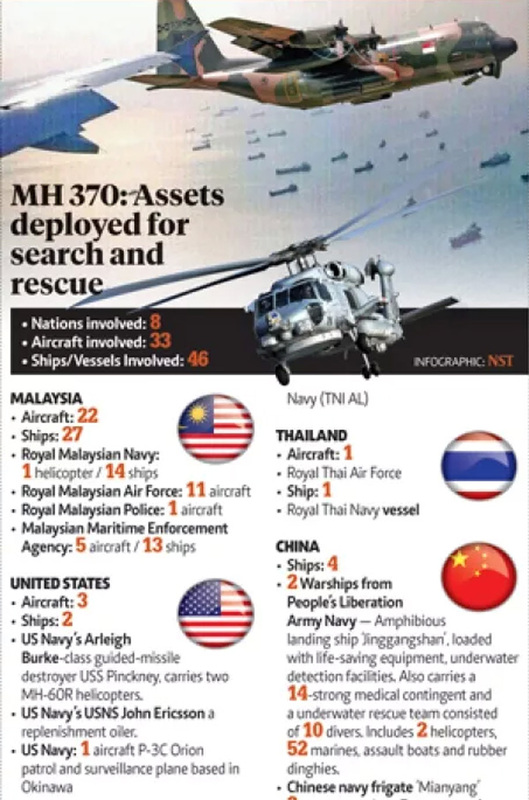 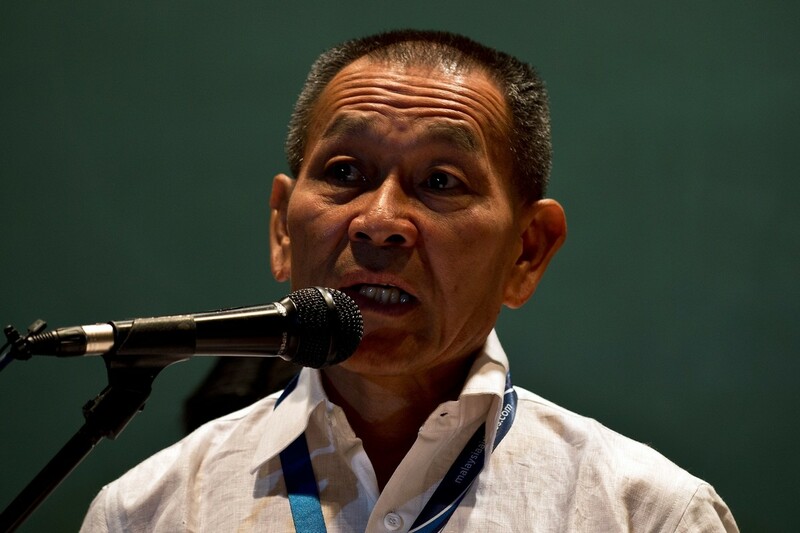 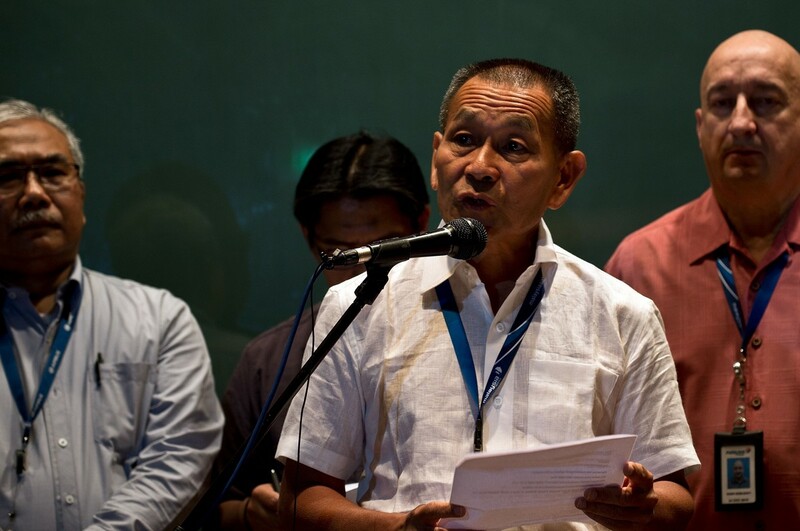 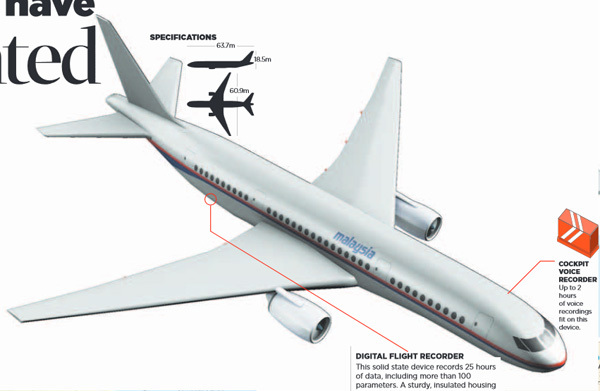 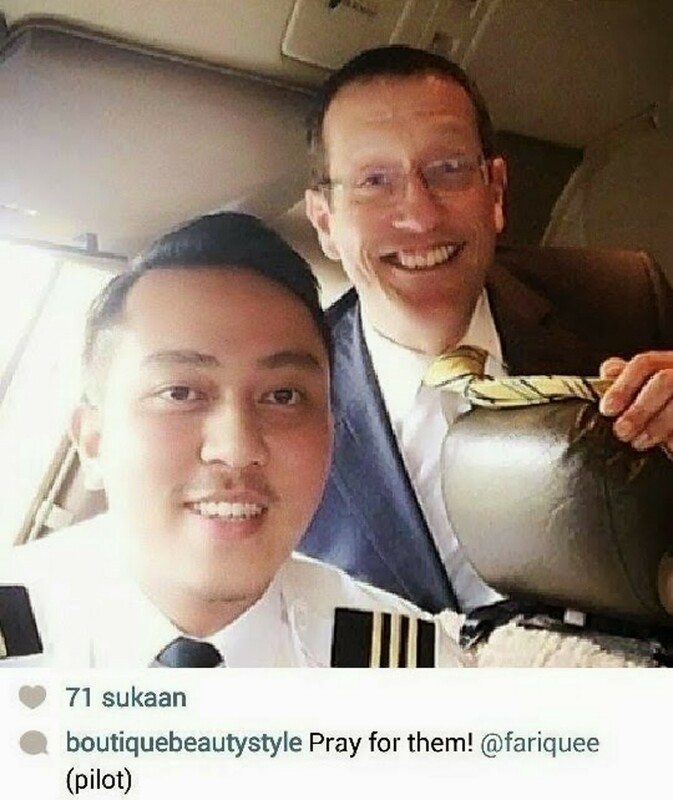 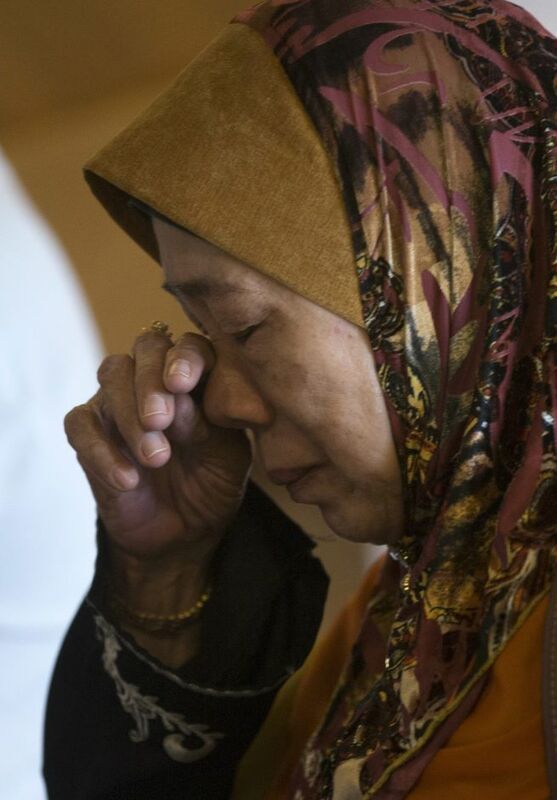 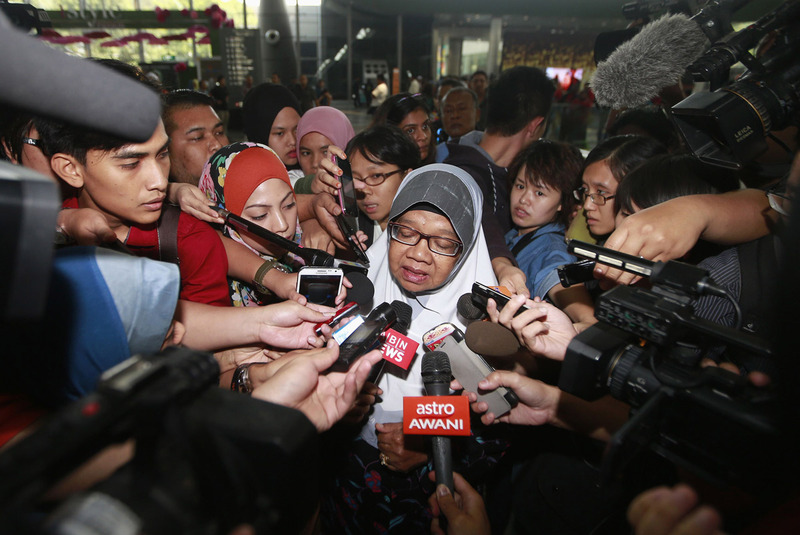 But there has been no confirmation that the unidentified plane was Flight MH370, Rodzali said, and Malaysia was sharing the data with international civilian and military authorities, including those from the United States. 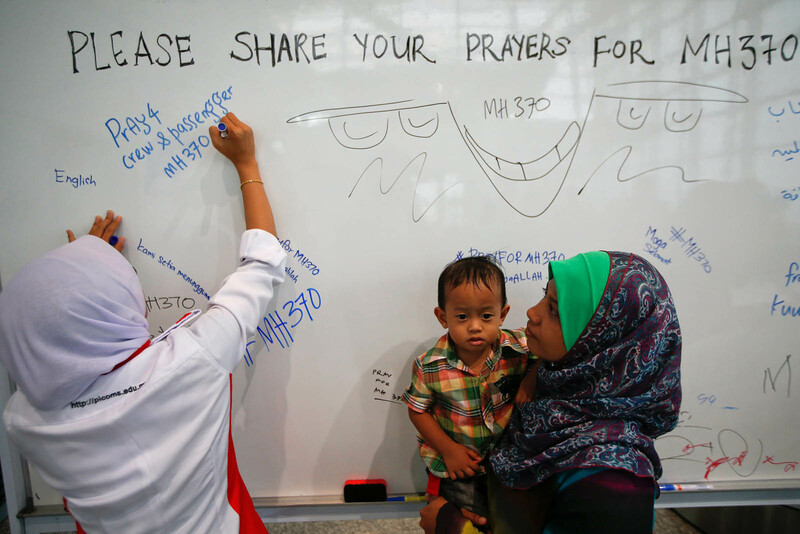 "We are corroborating this," he added. 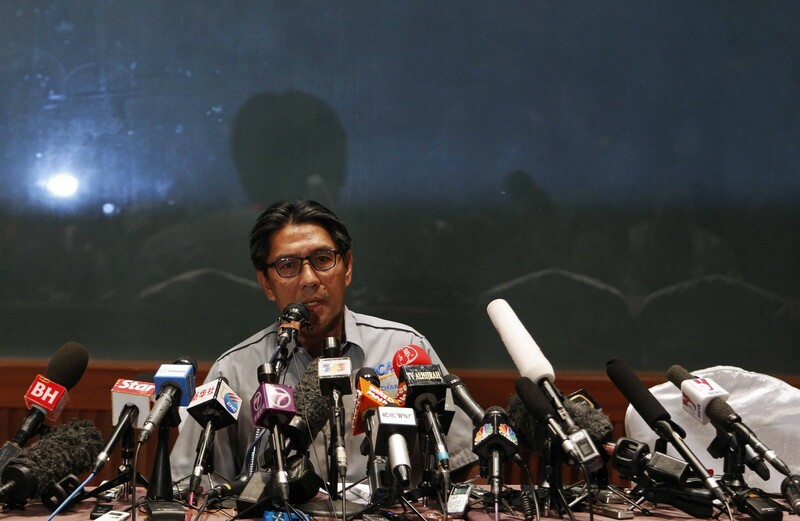 "We are still working with the experts." 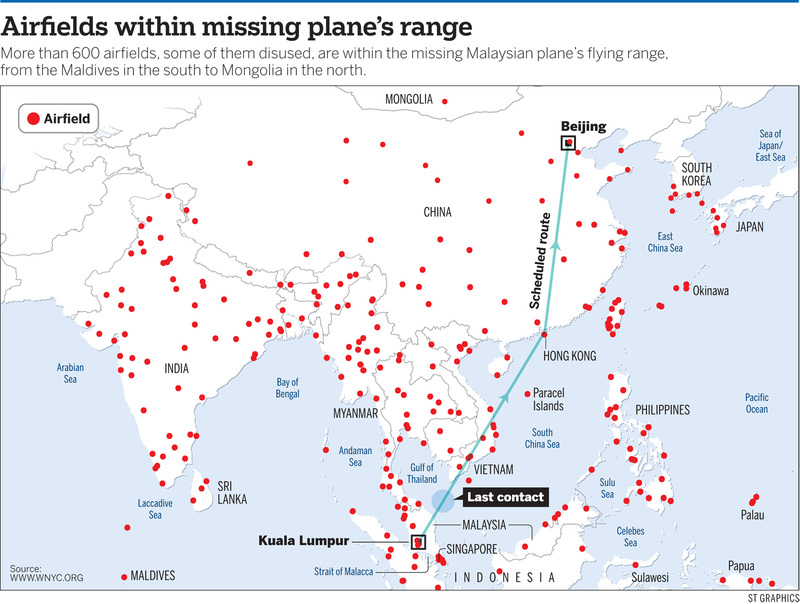 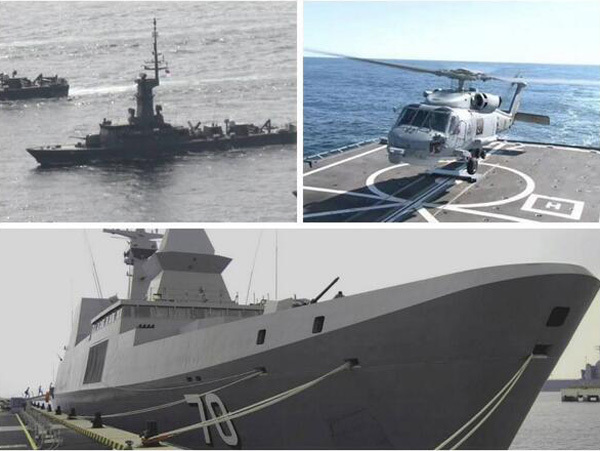 AGONISING WAIT According to the data cited by Rodzali, if the radar had spotted the missing plane, the aircraft would have flown for 45 minutes and dropped only about 5,000 feet (1,500 metres) in altitude since its sighting on civilian radar in the Gulf of Thailand. 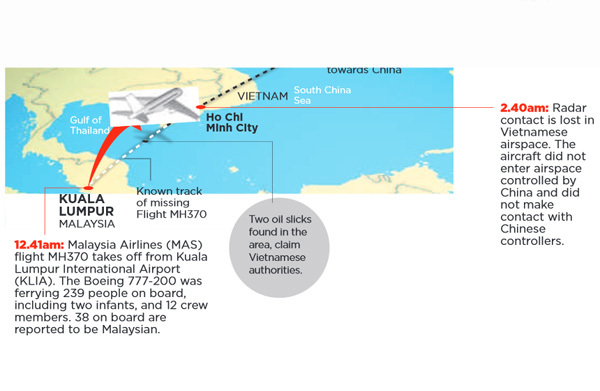 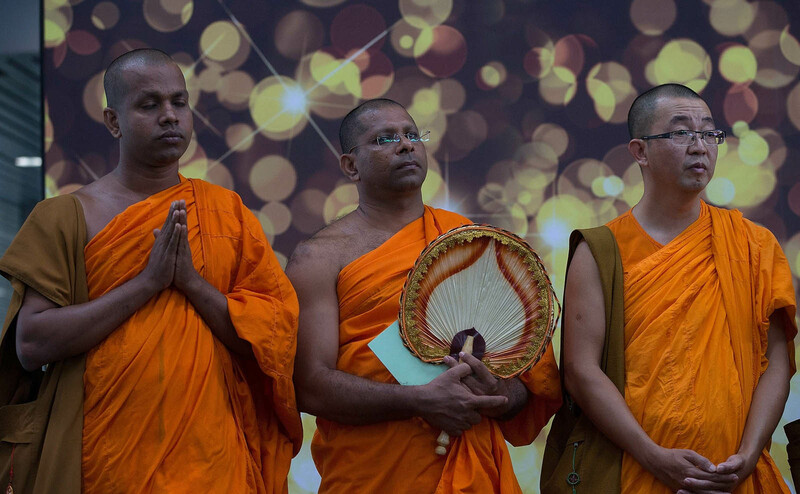 There was no word on which direction it was then headed, but if this sighting was correct, the plane would have turned sharply west from its original course, travelling hundreds of miles over the Malay Peninsula from the Gulf of Thailand to the Andaman Sea. 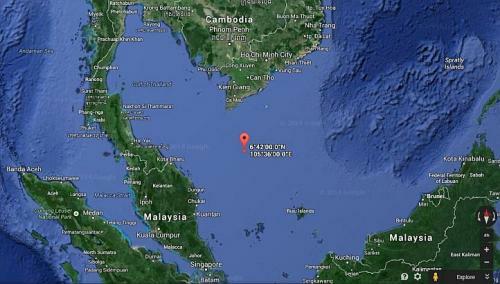 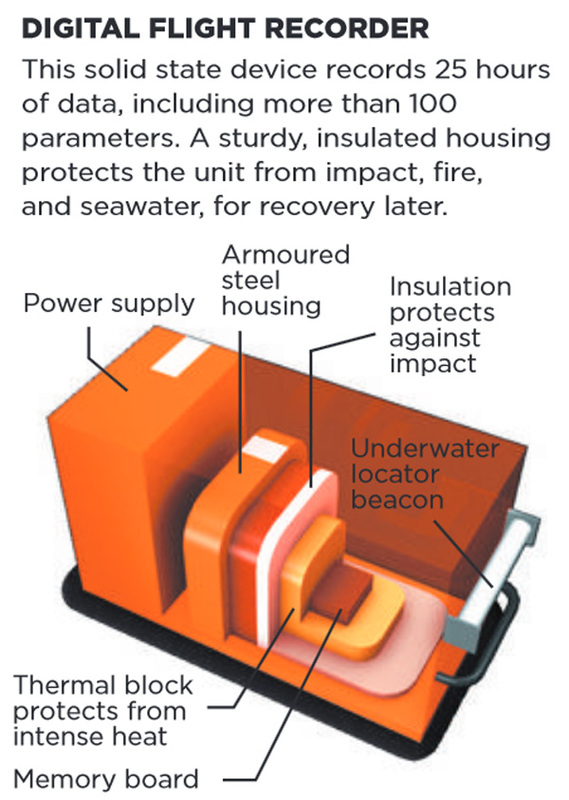 This would put it about 200 miles northwest of Penang, in the northern part of the Strait of Malacca, roughly south of Phuket and east of the tip of Indonesia's Aceh province and India's Nicobar island chain.